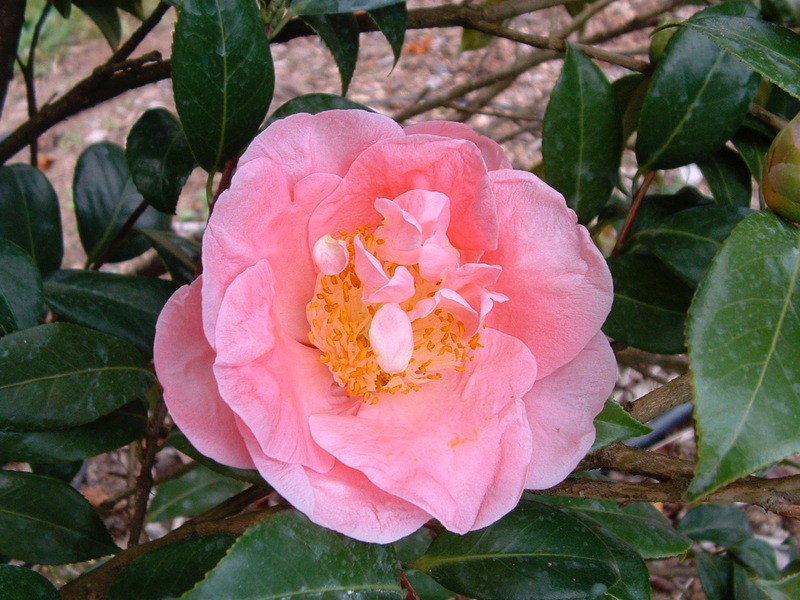 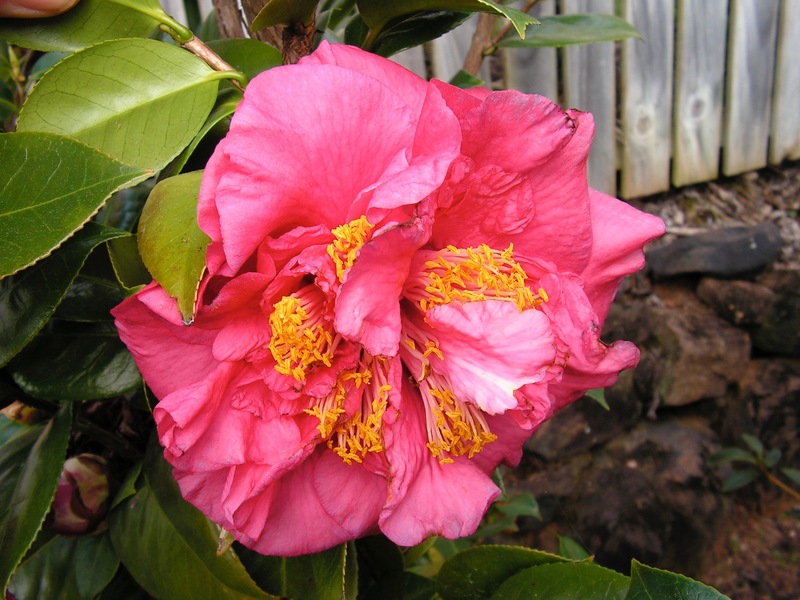 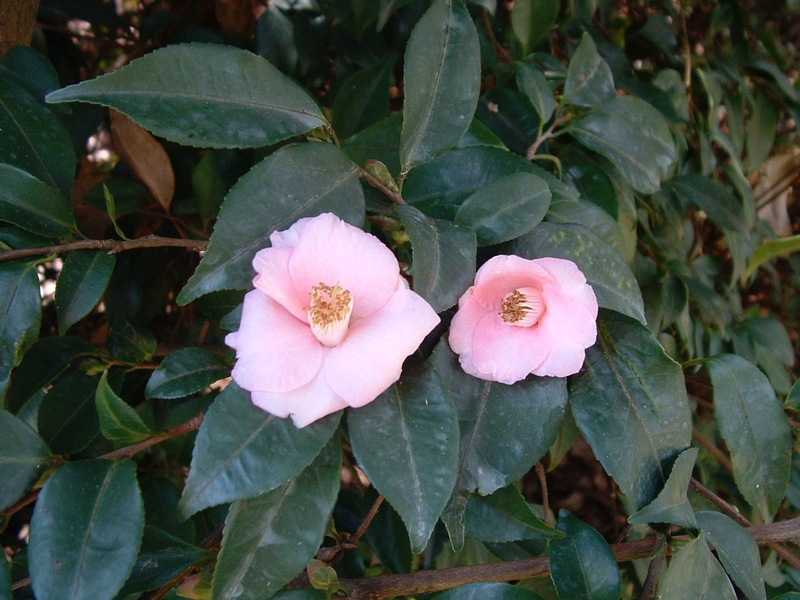 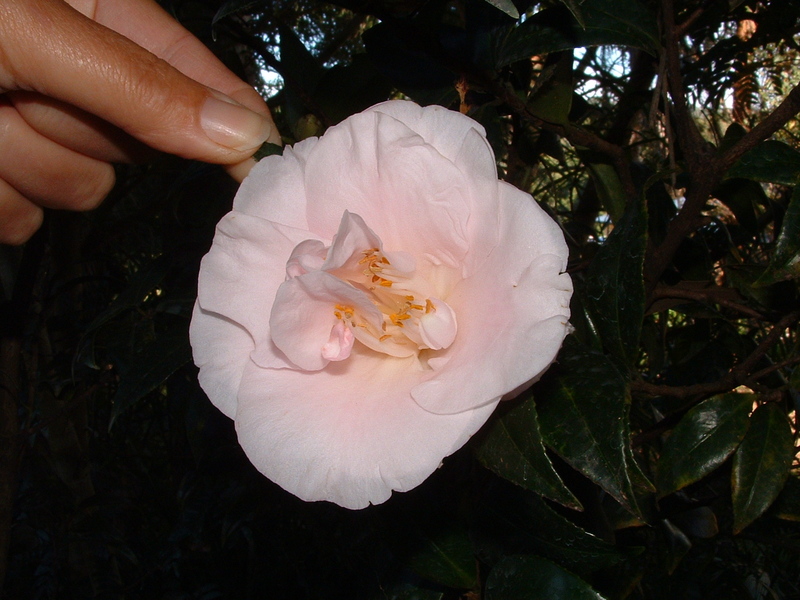 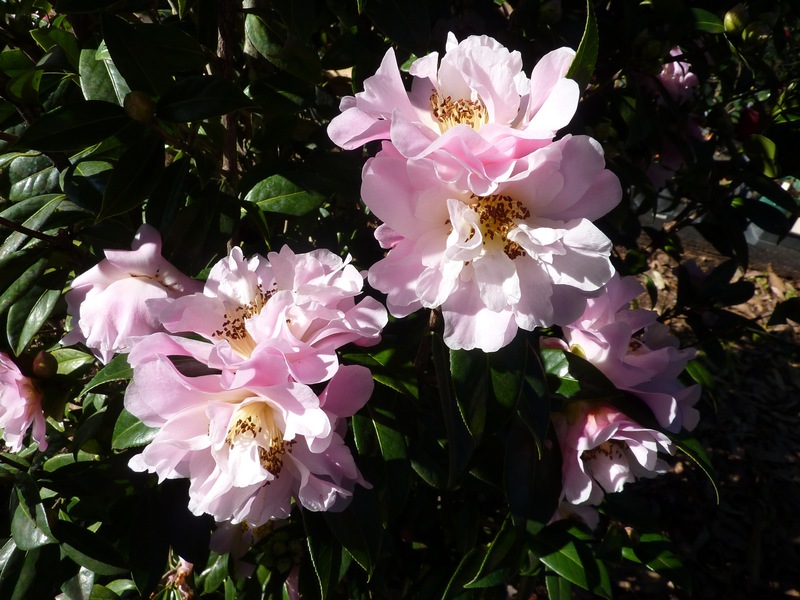 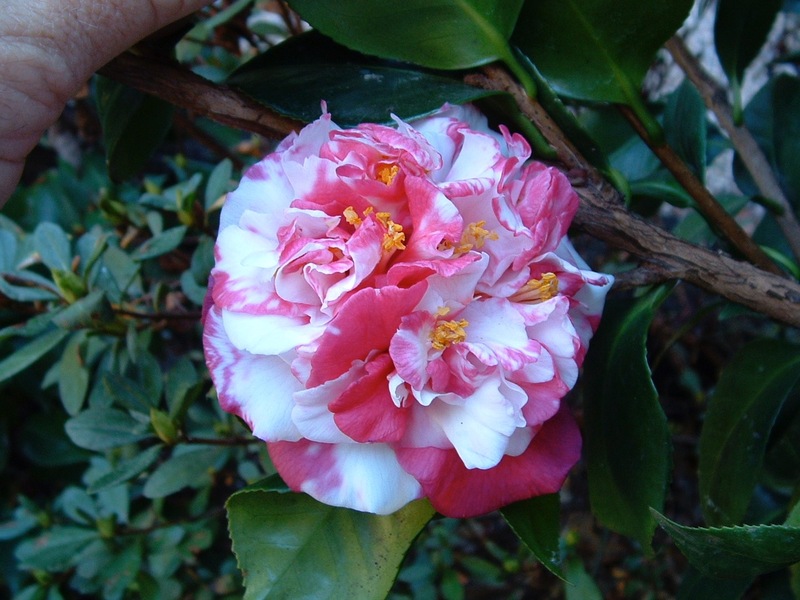 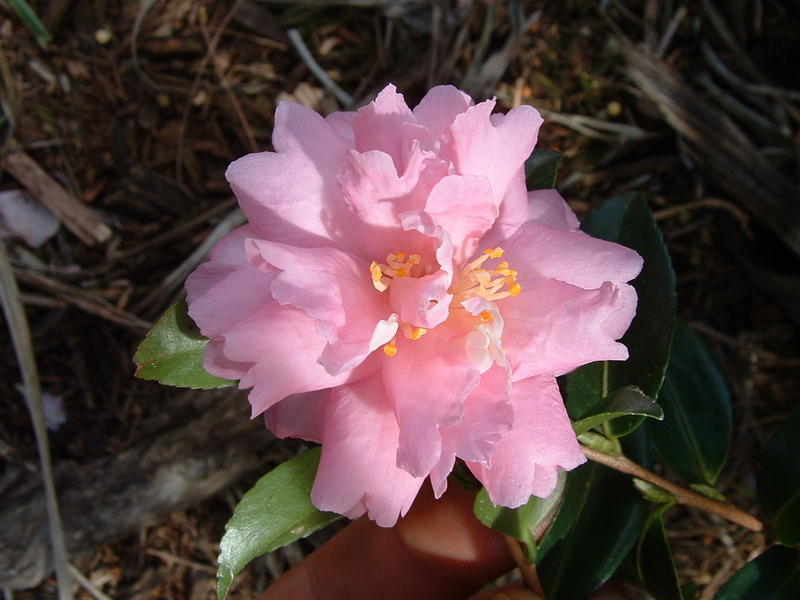 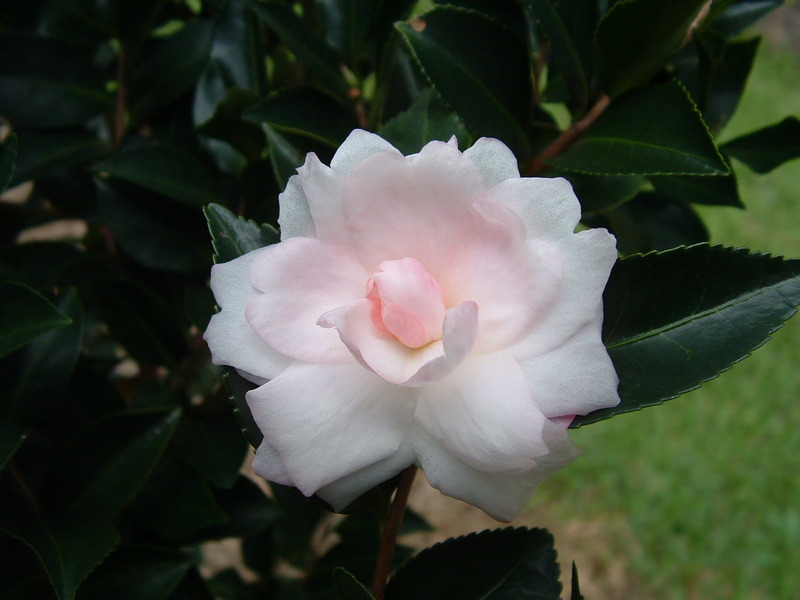 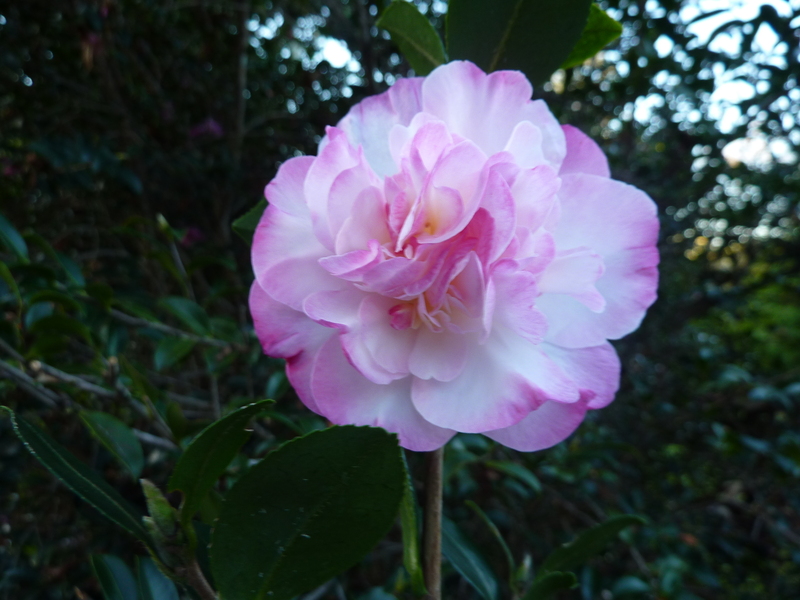 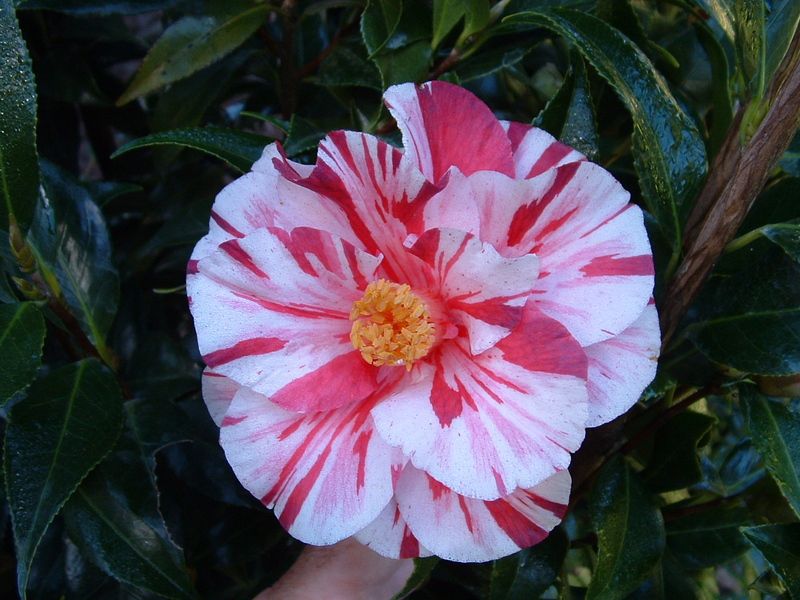 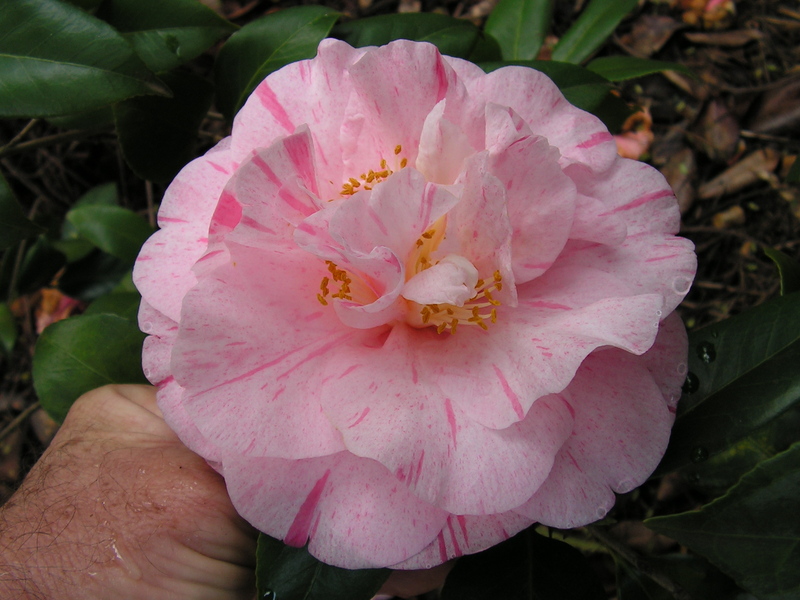 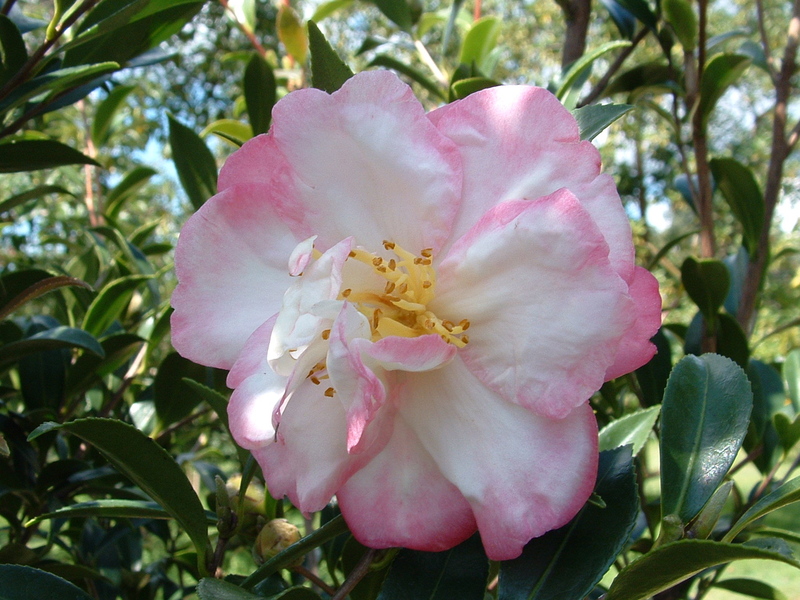 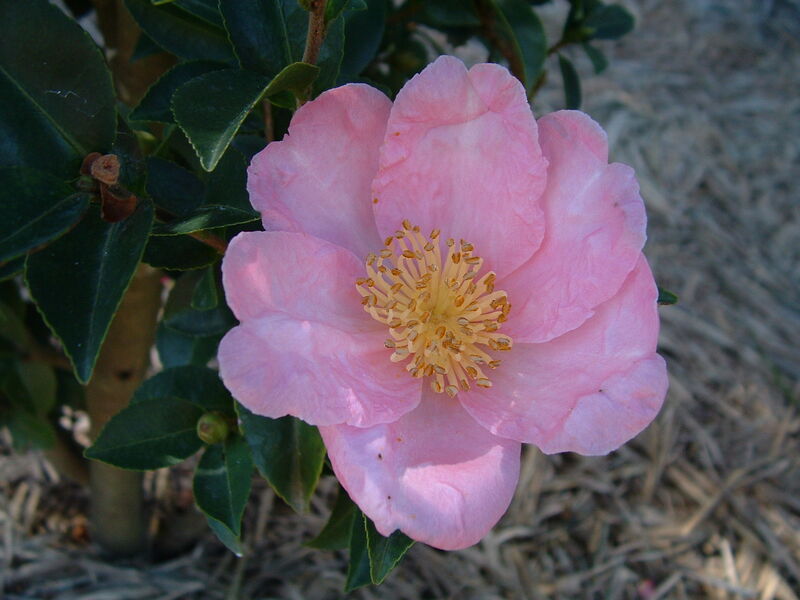 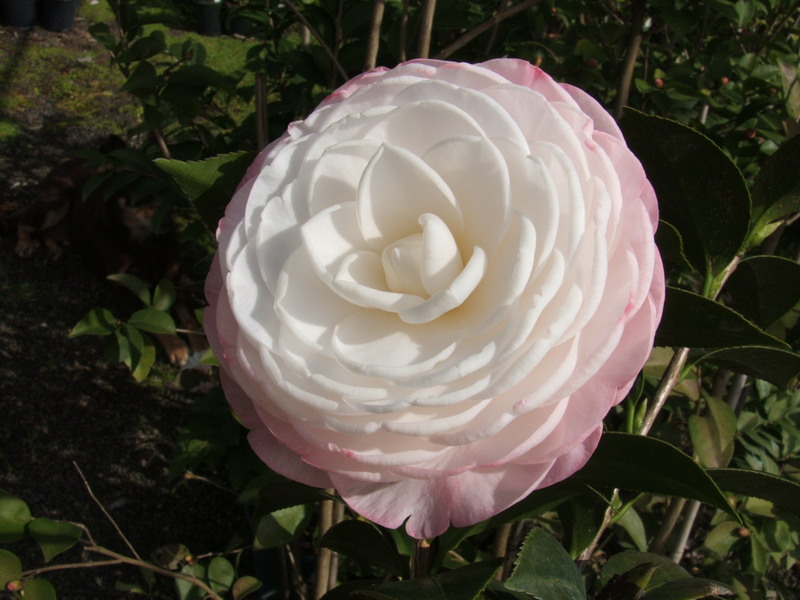 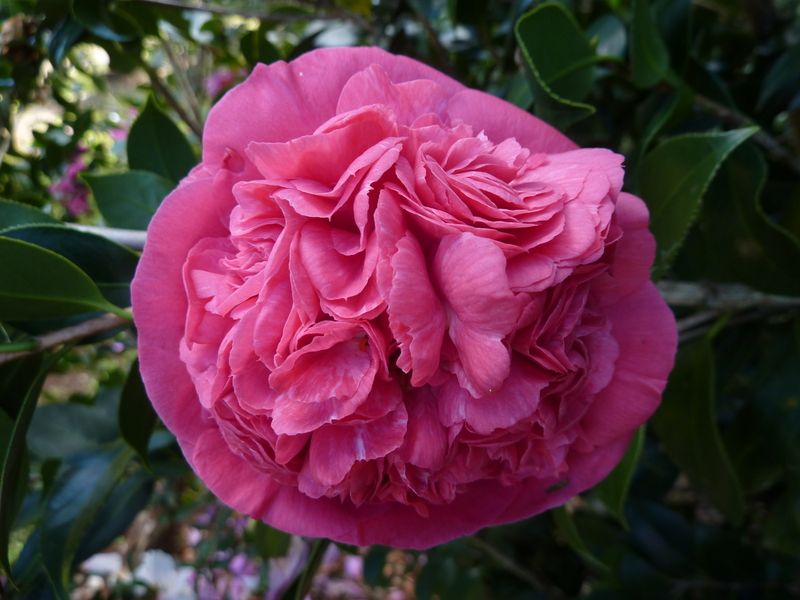 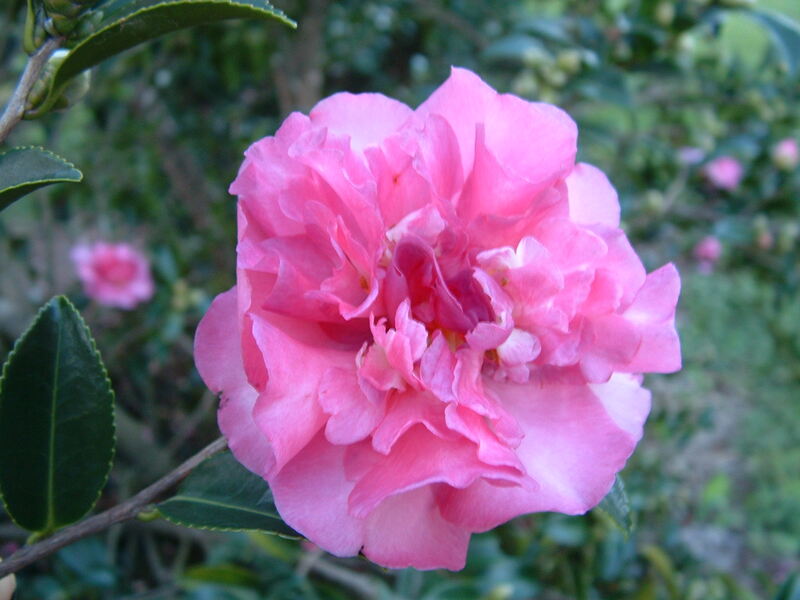 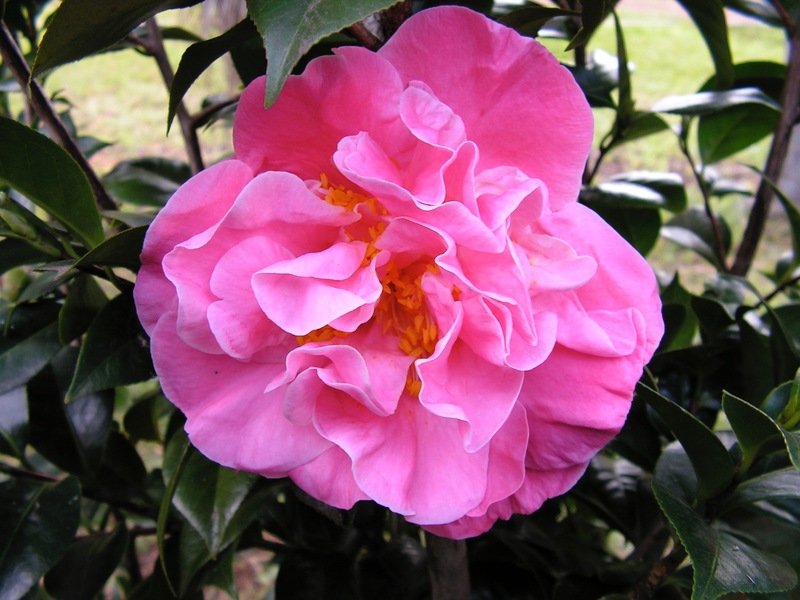 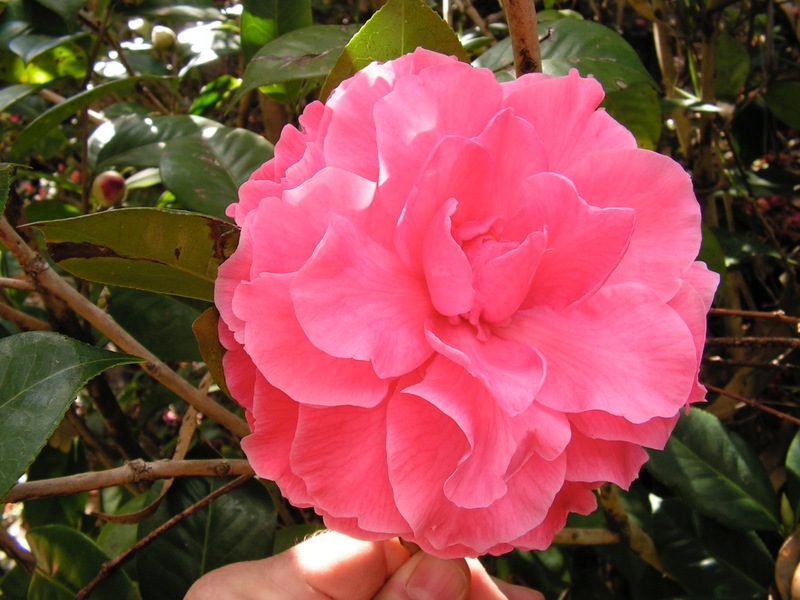 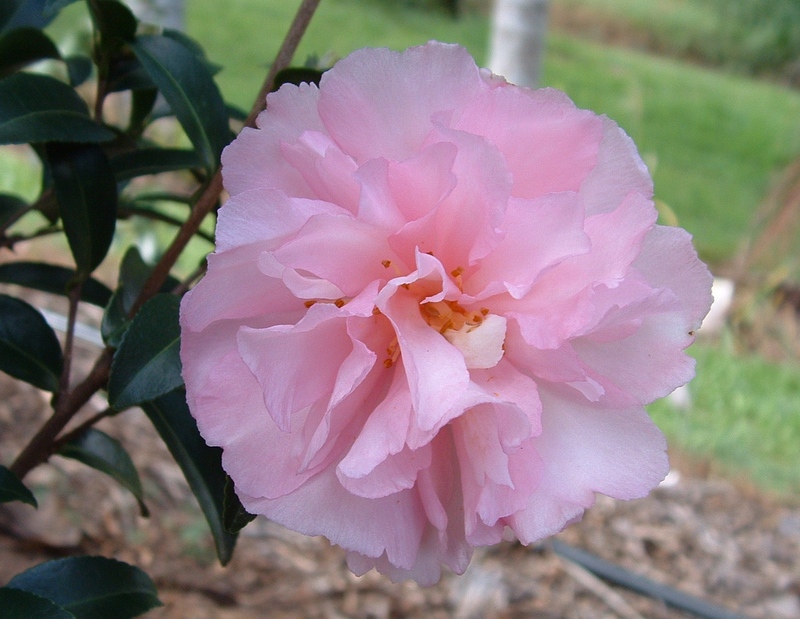 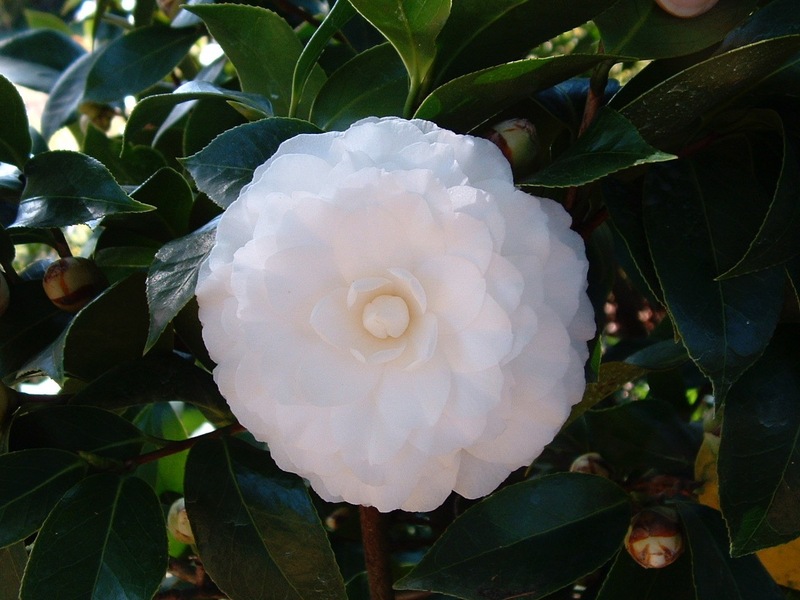 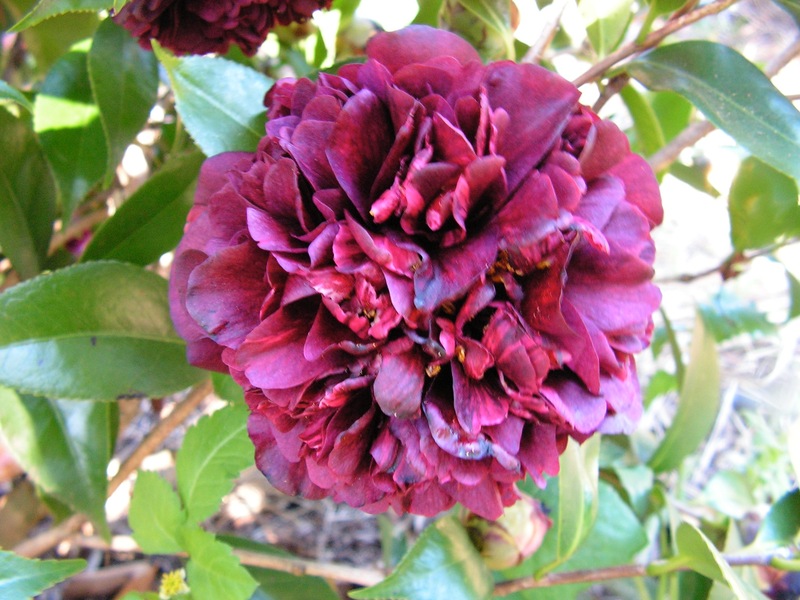 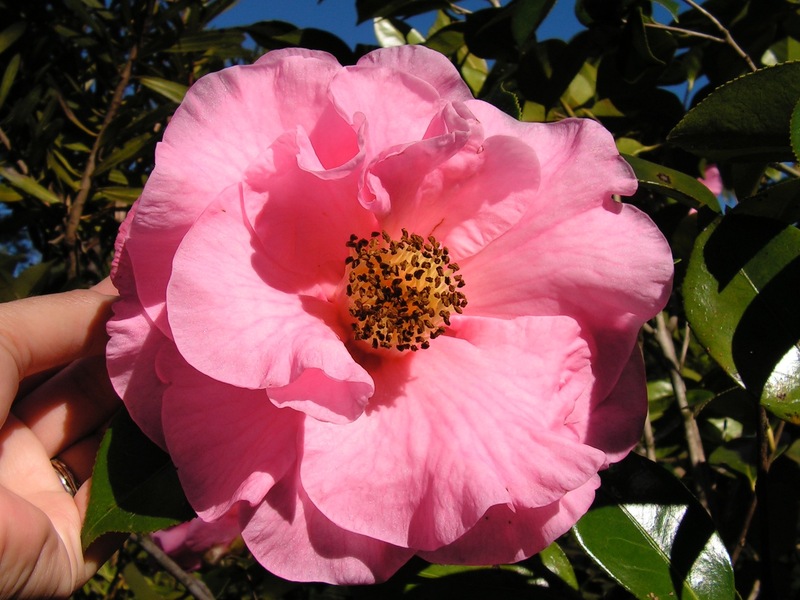 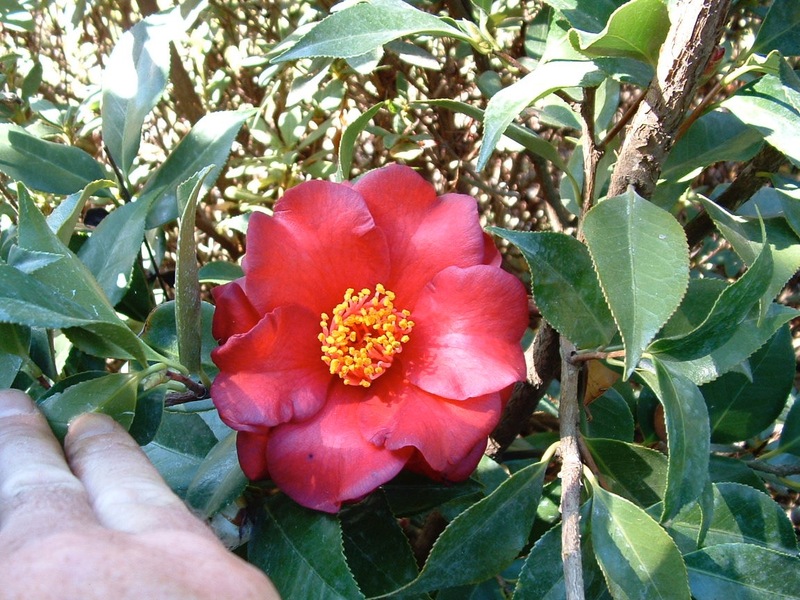 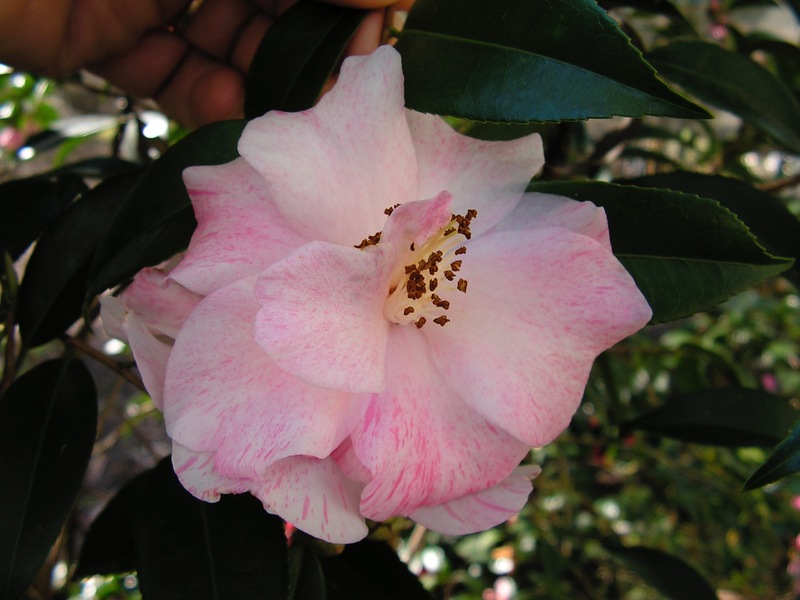 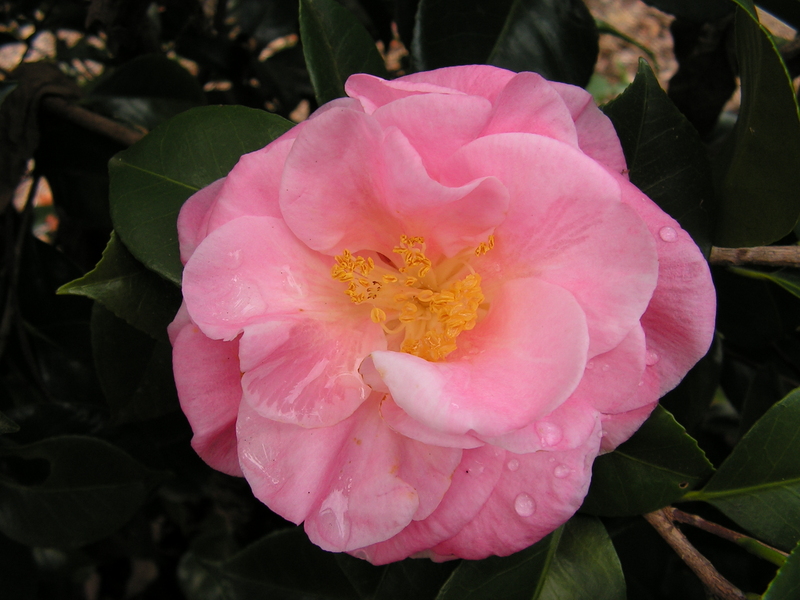 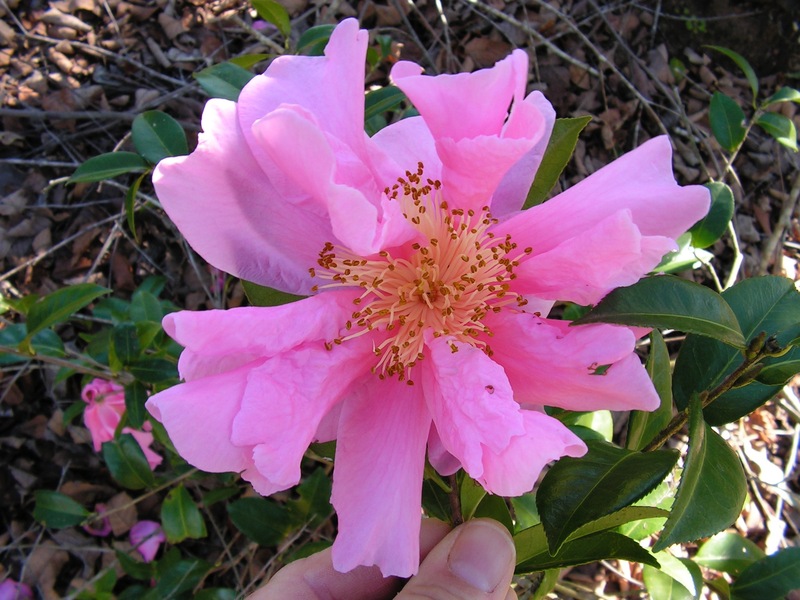 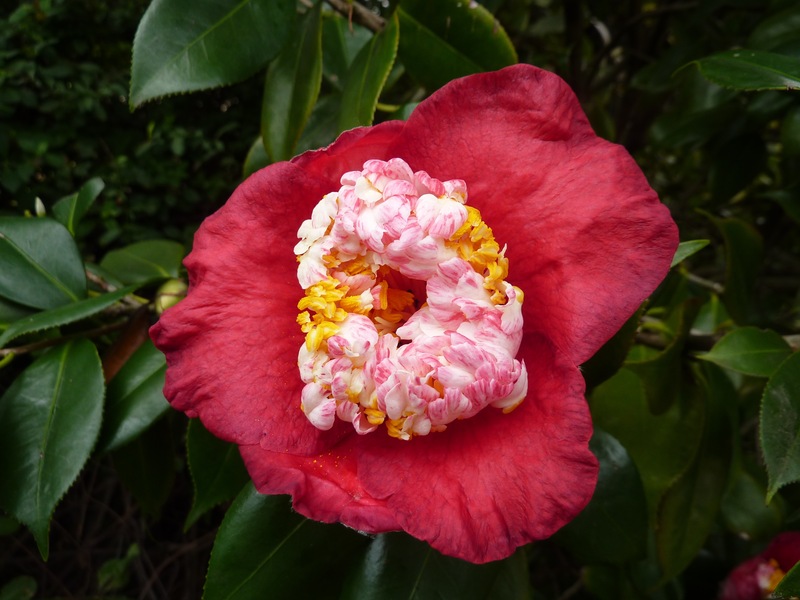 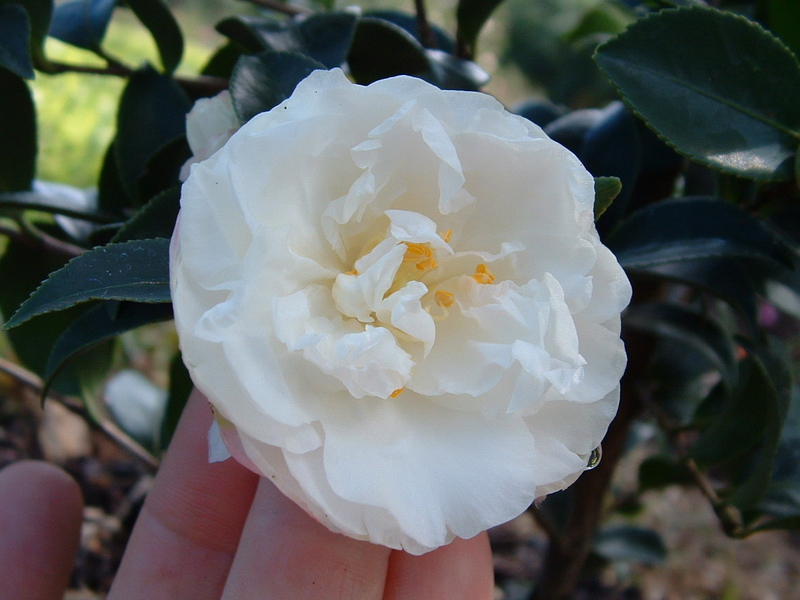 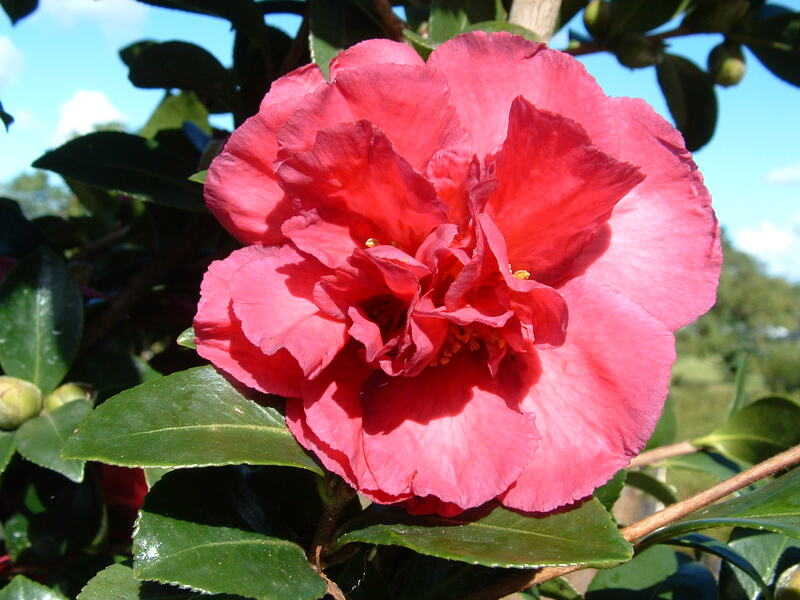 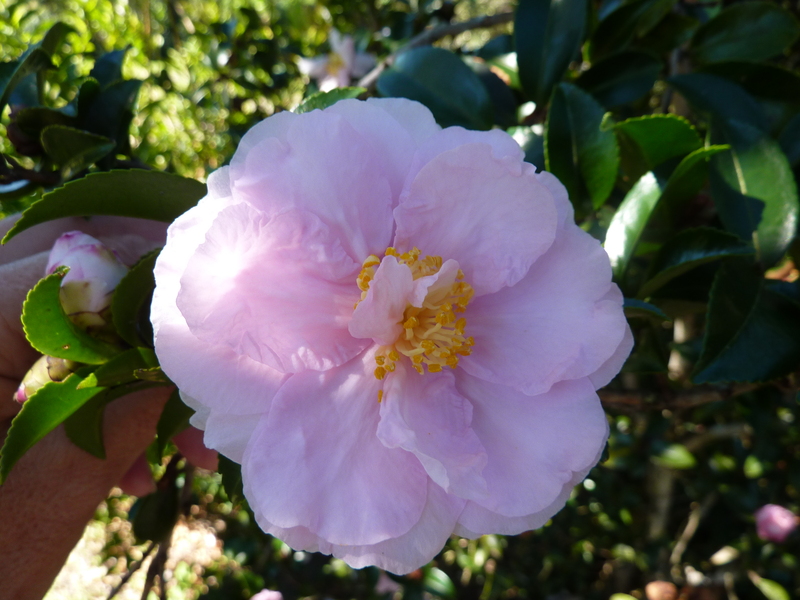 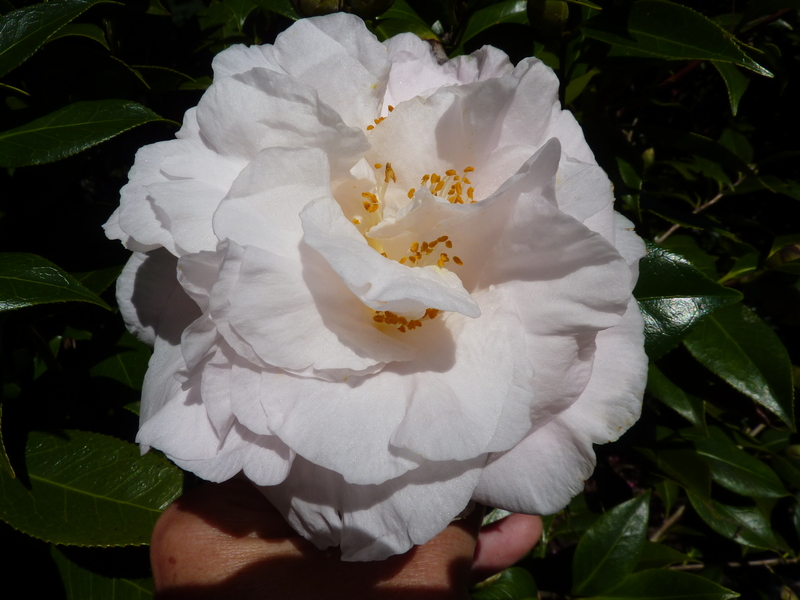 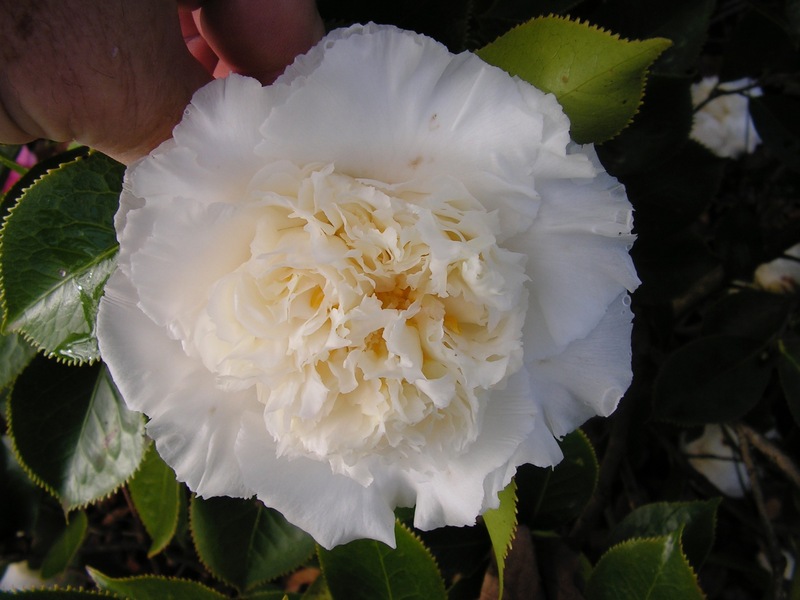 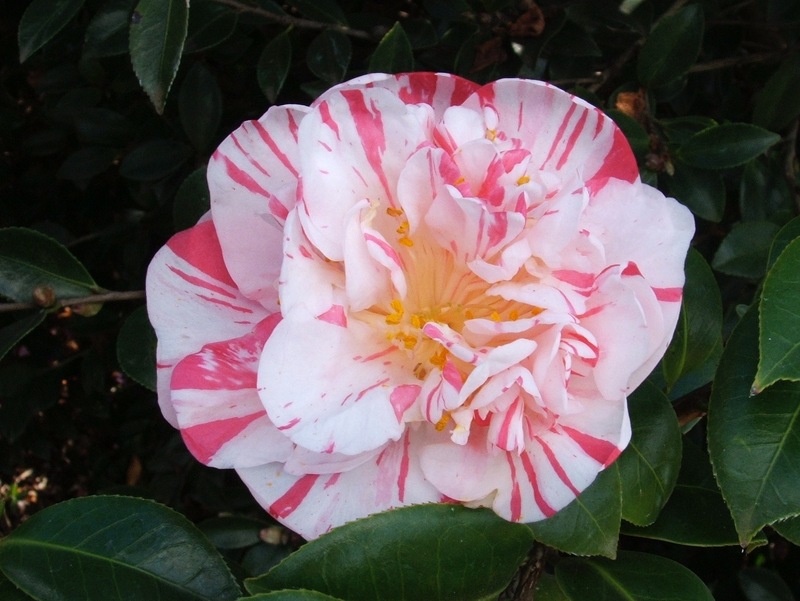 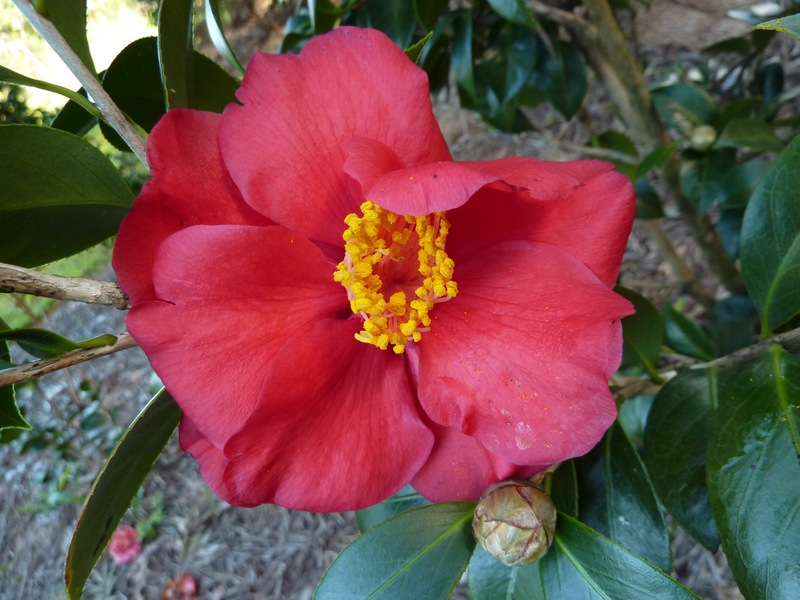 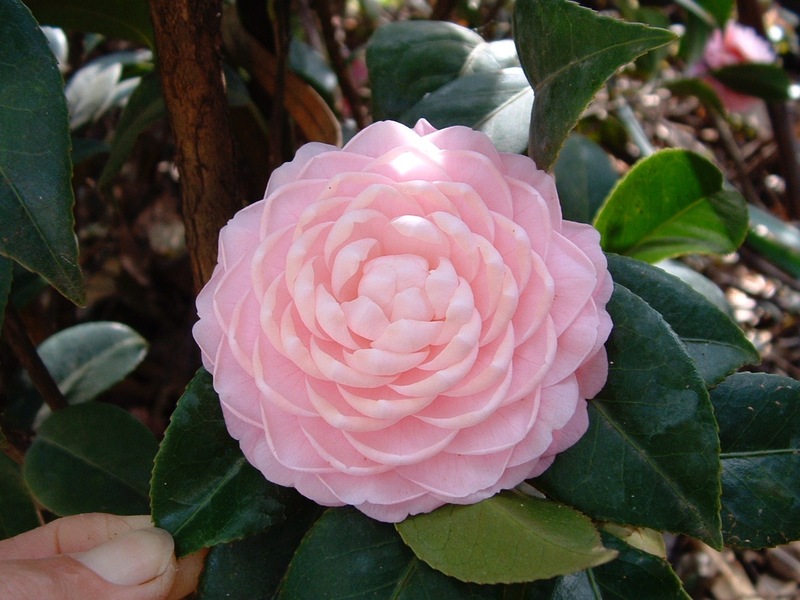 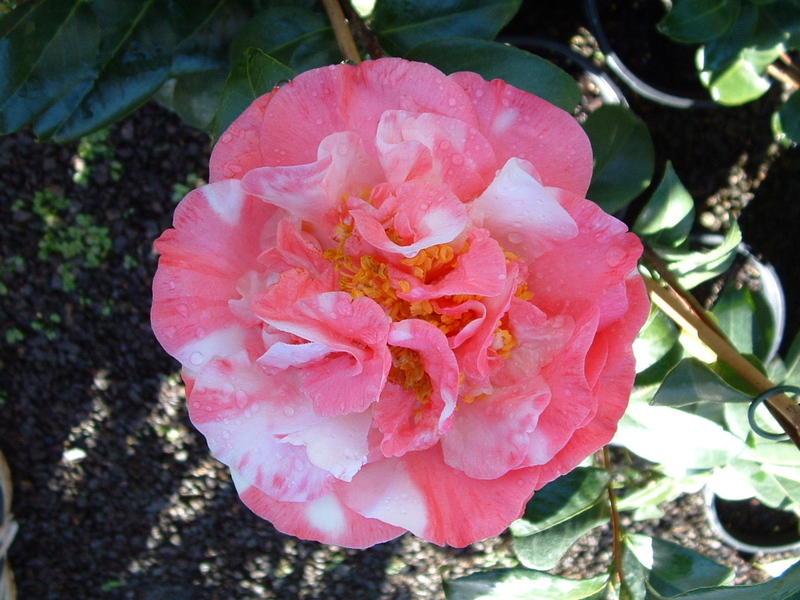 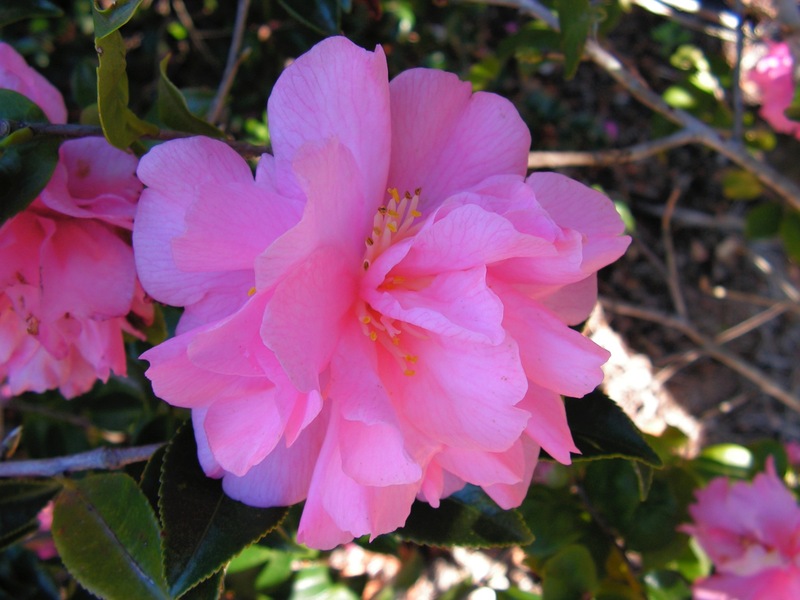 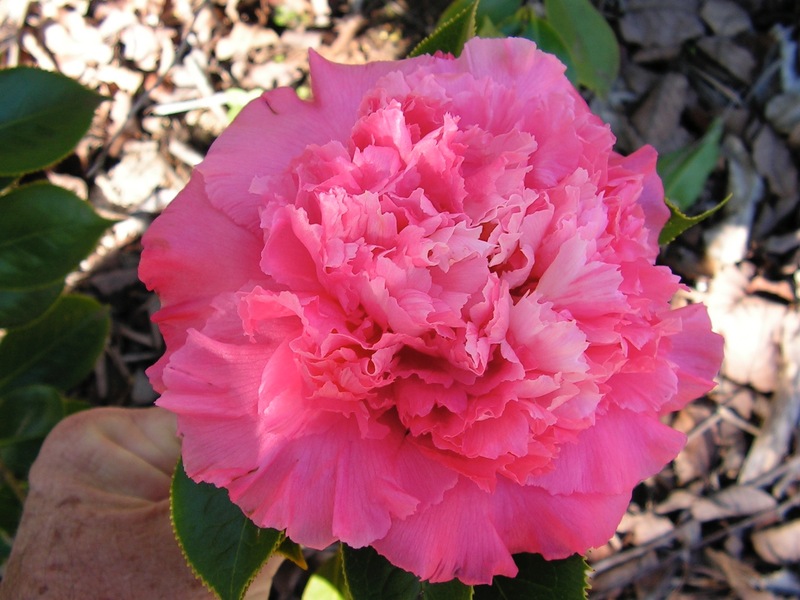 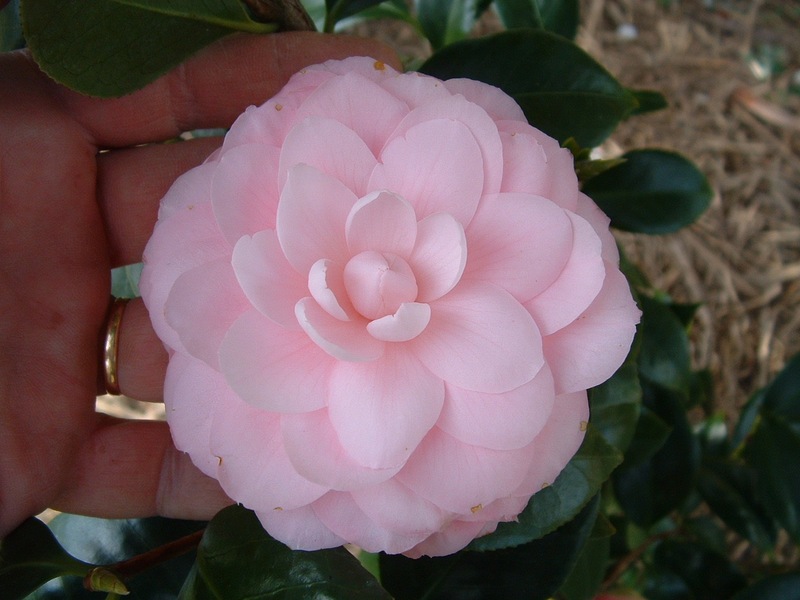 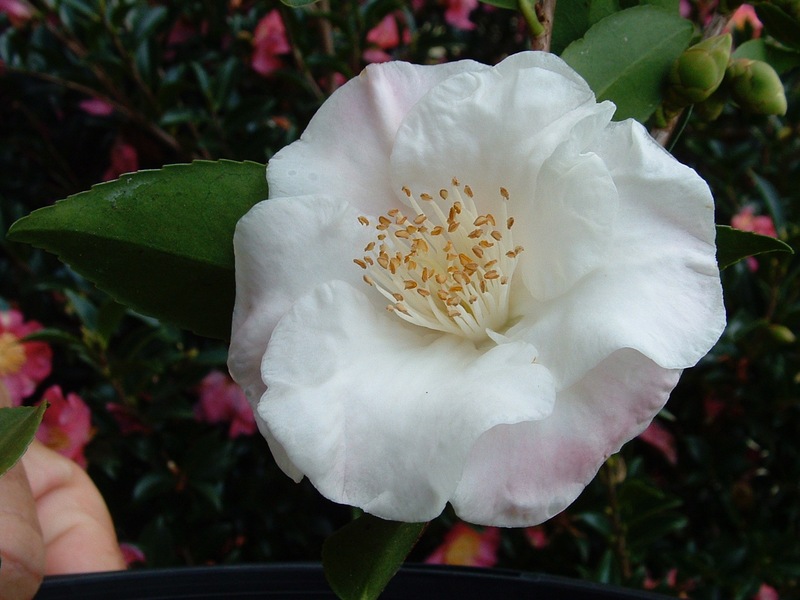 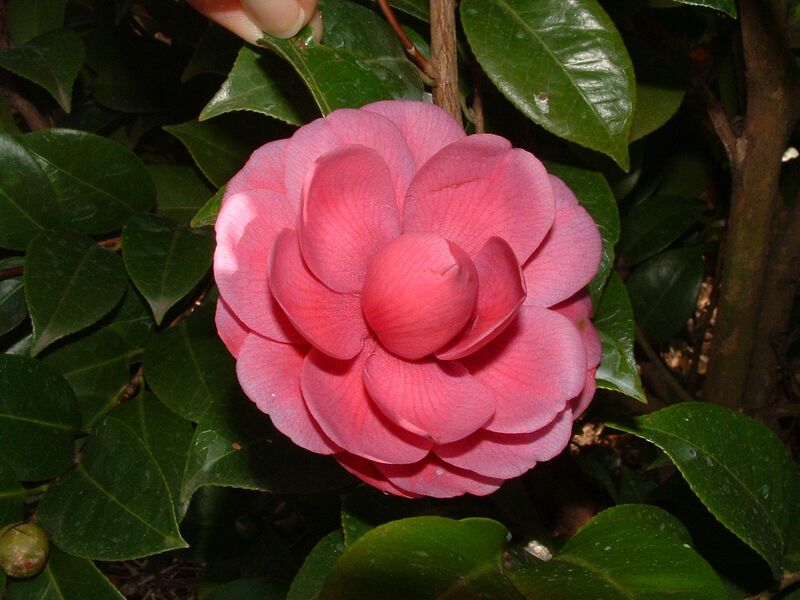 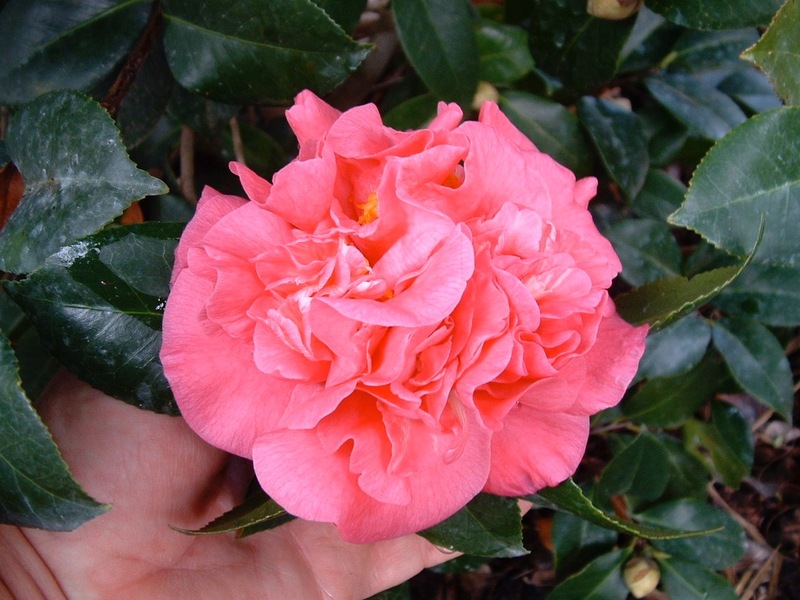 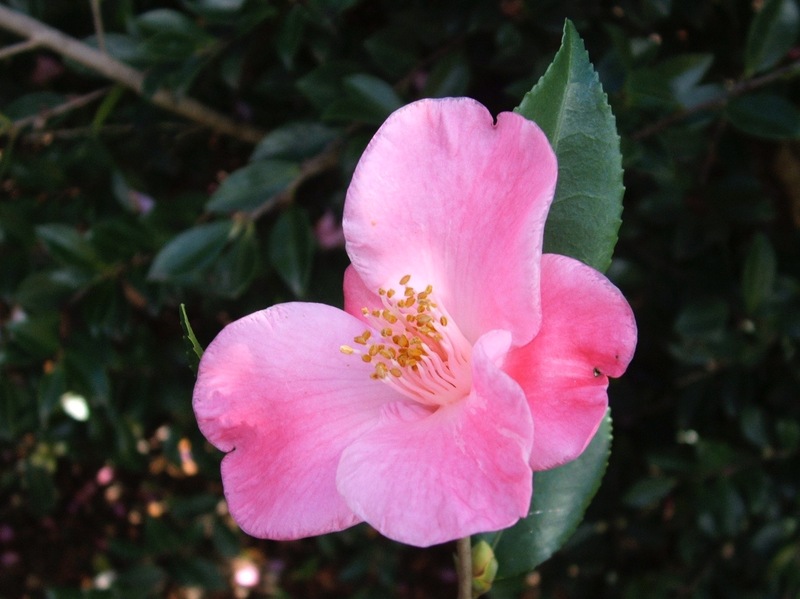 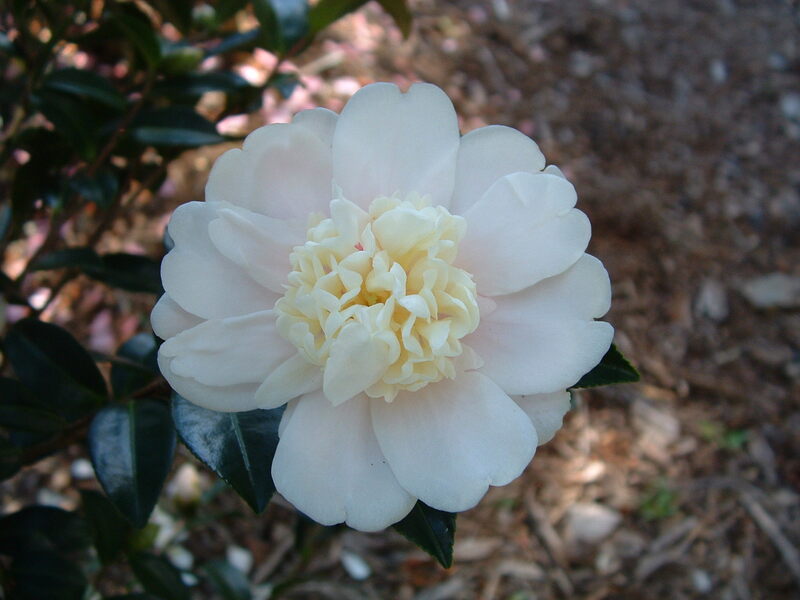 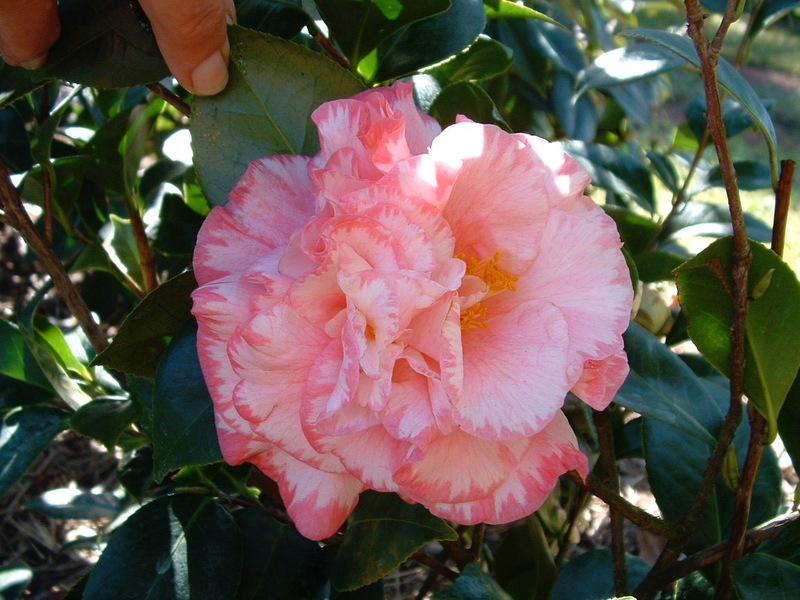 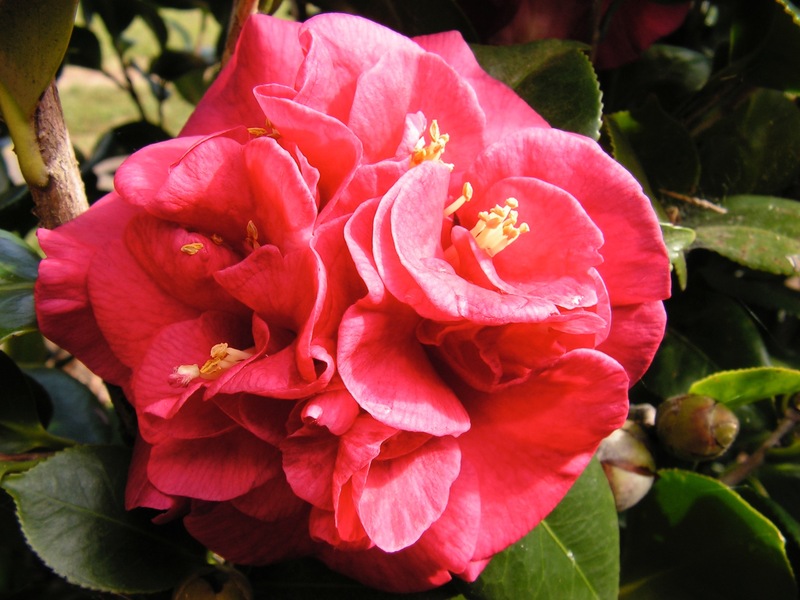 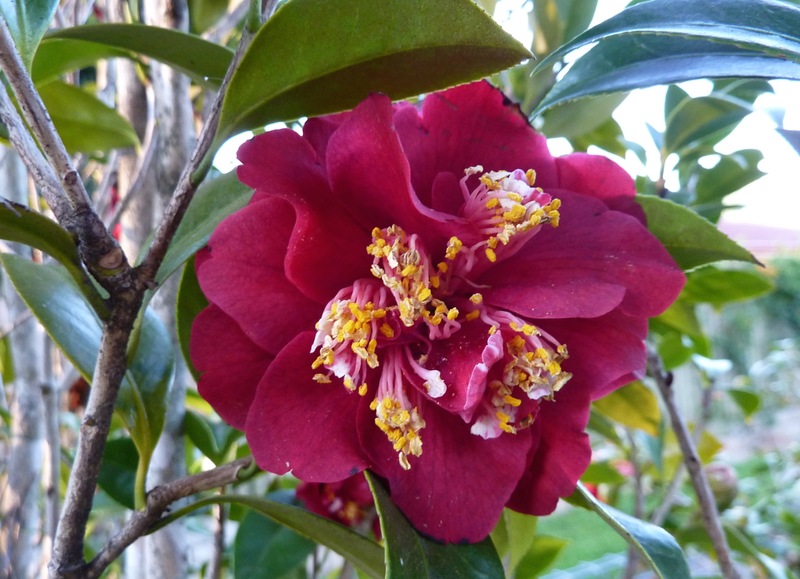 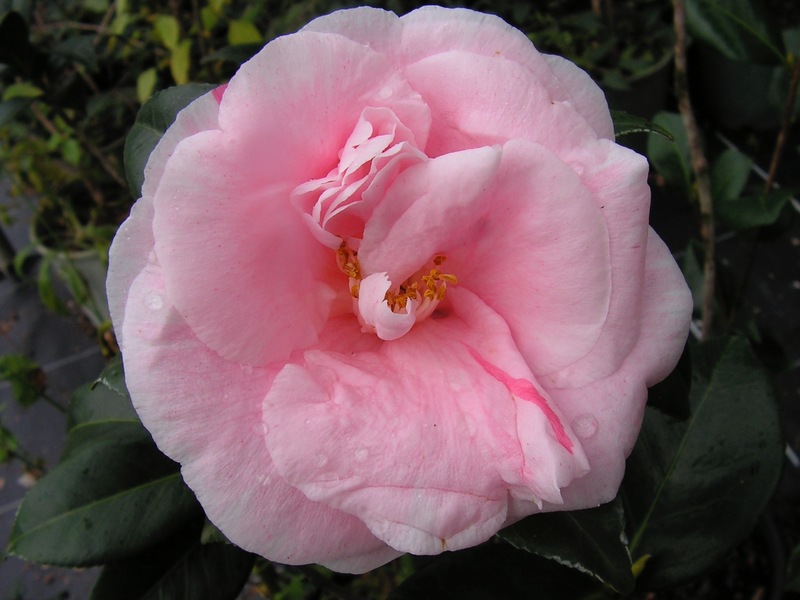 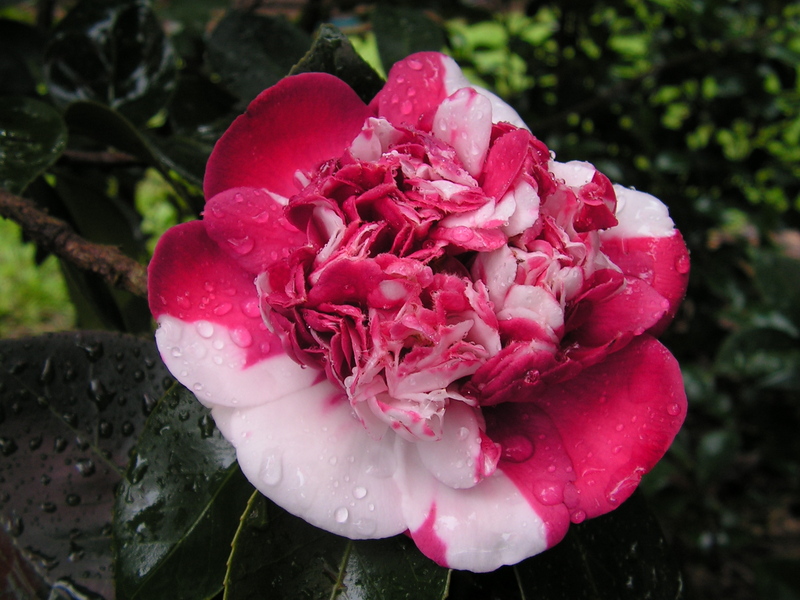 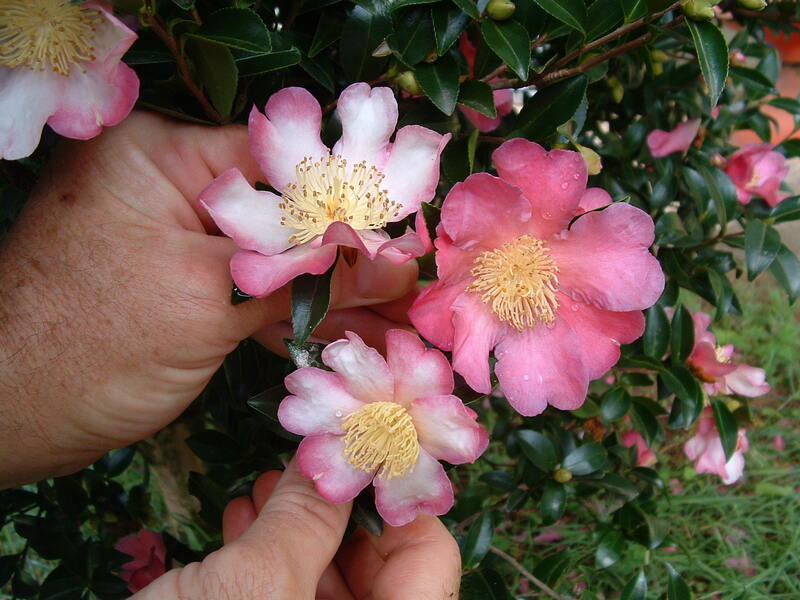 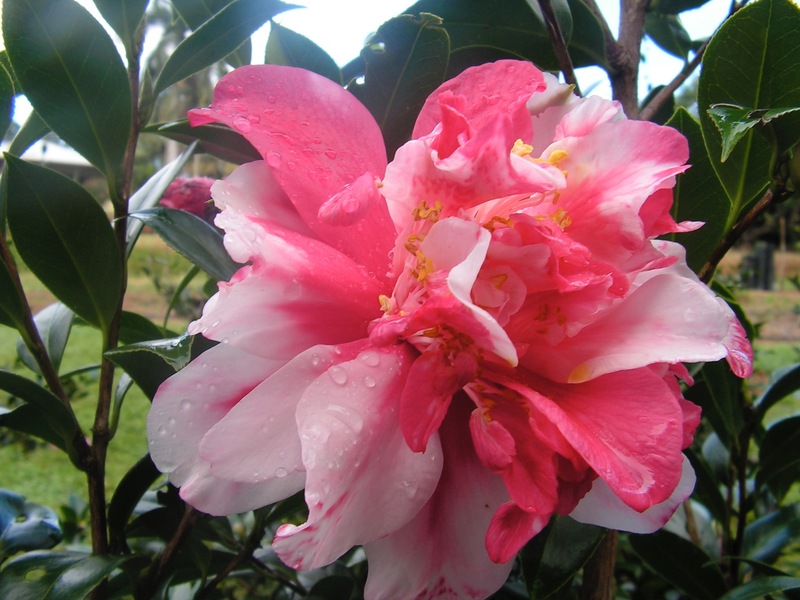 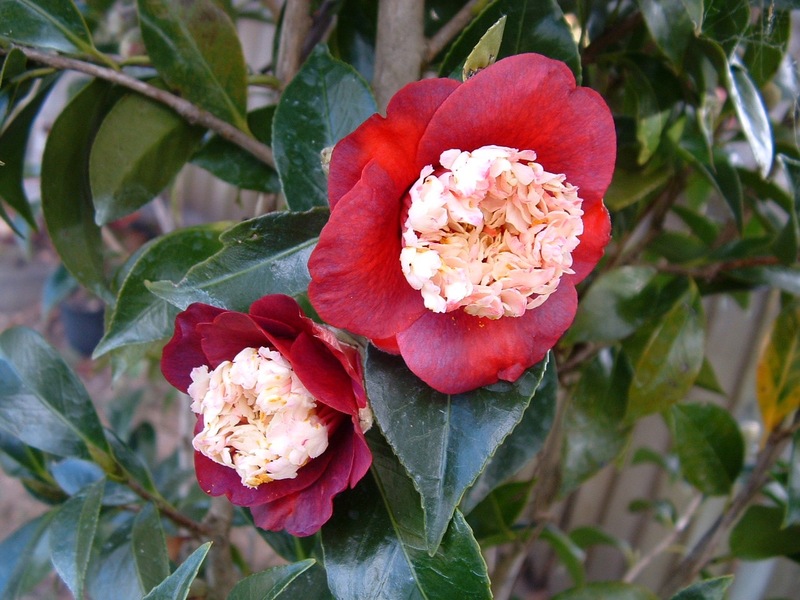 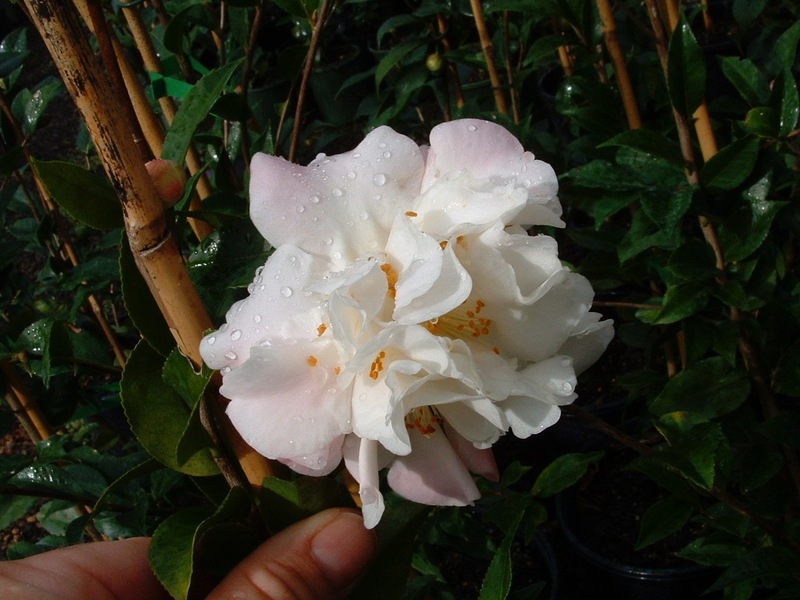 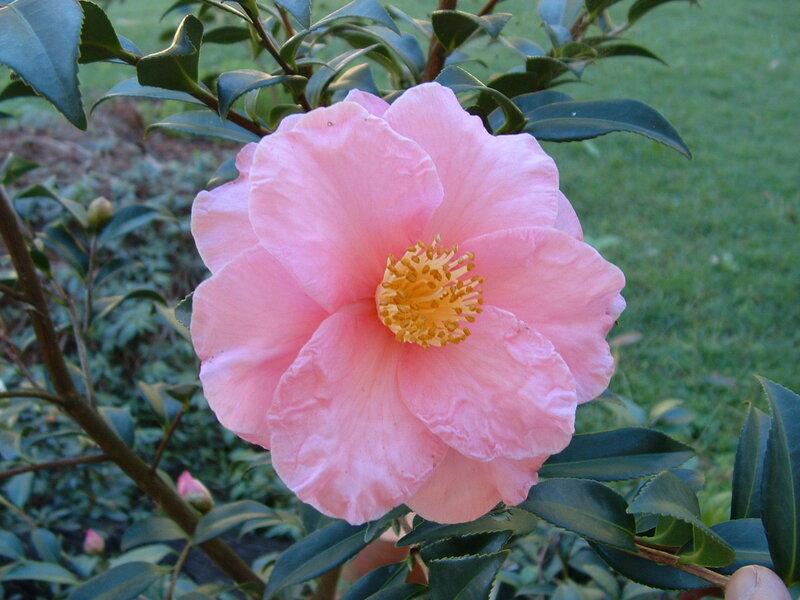 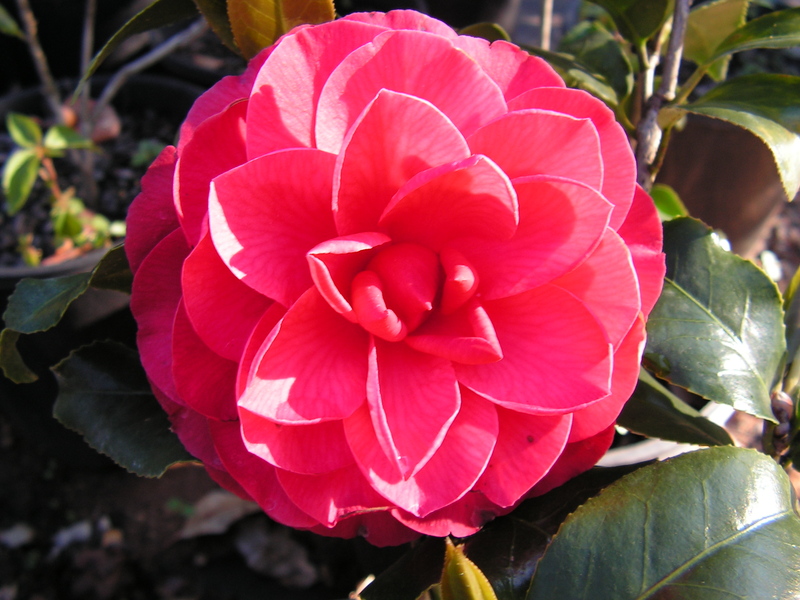 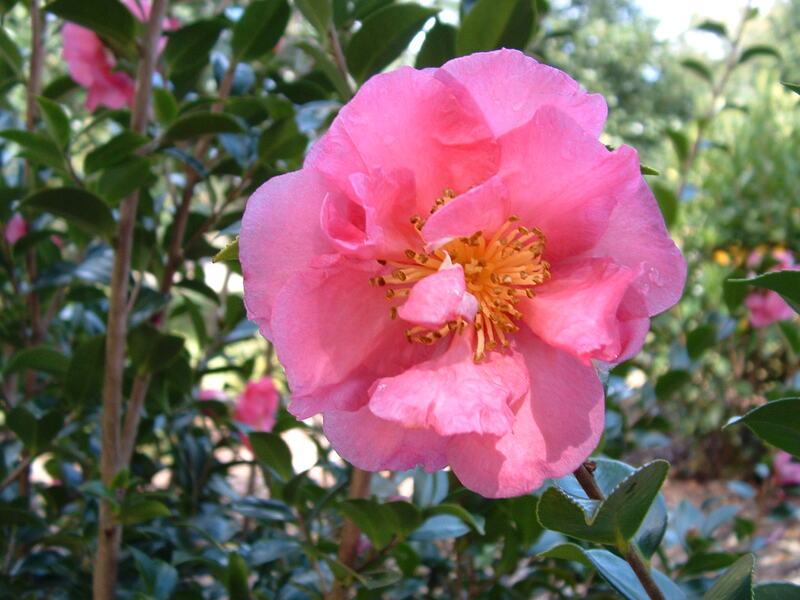 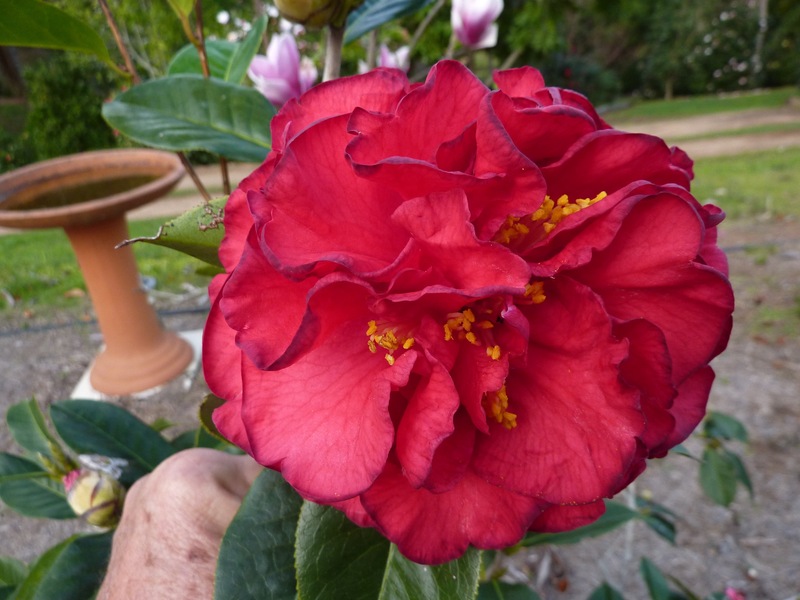 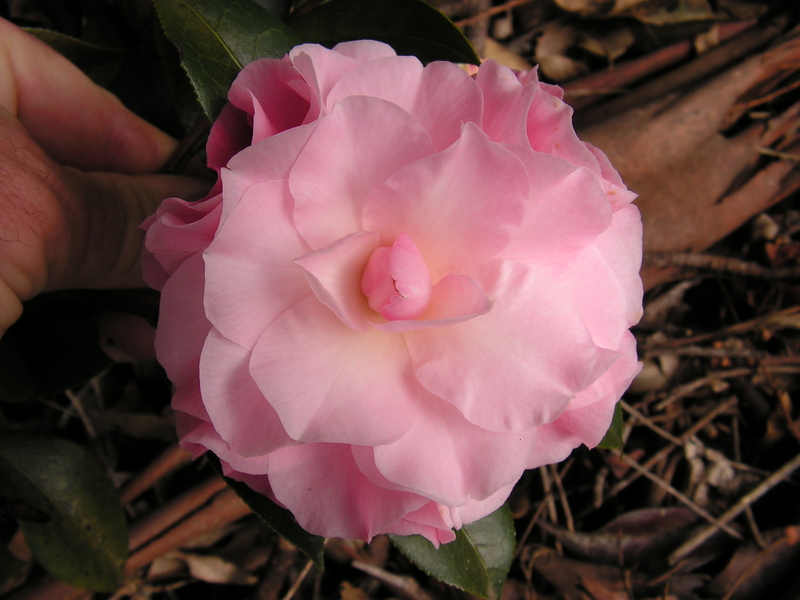 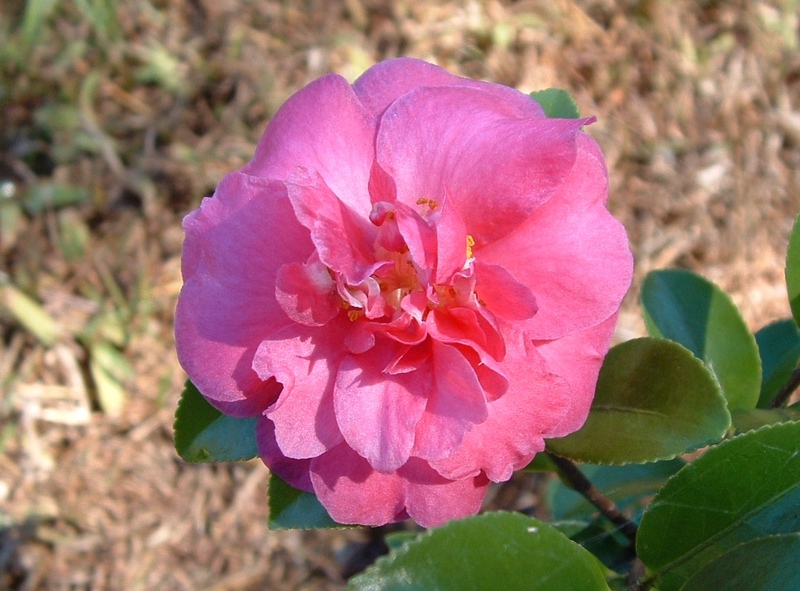 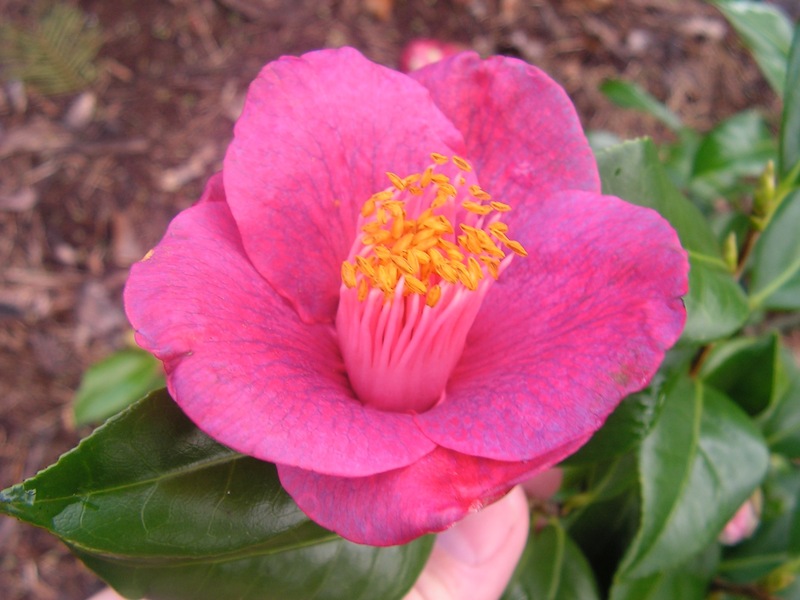 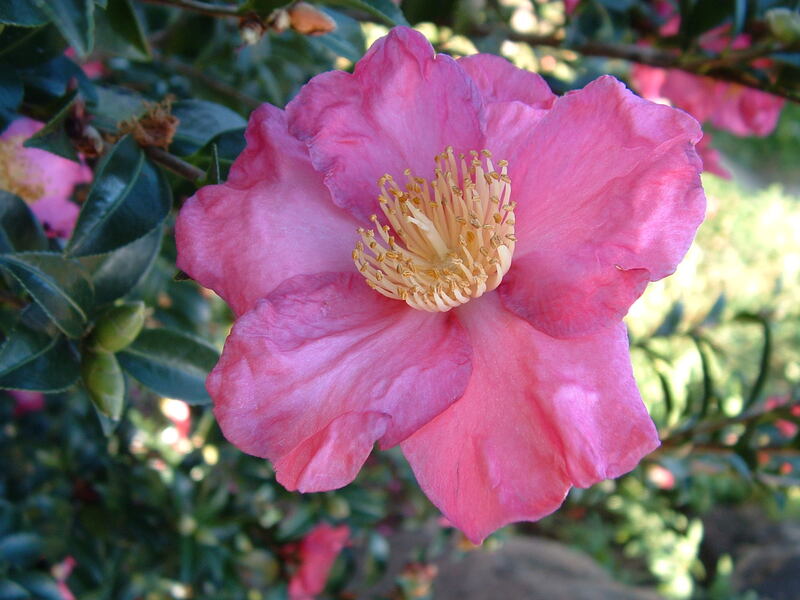 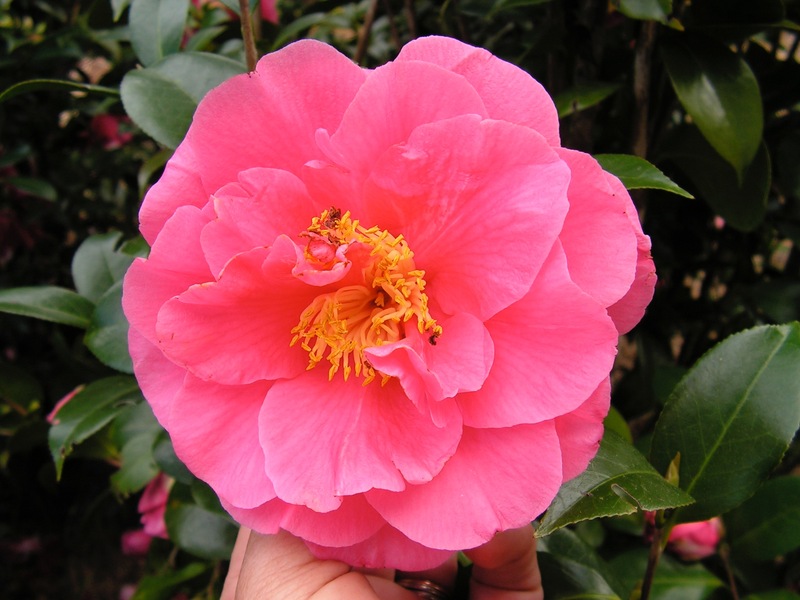 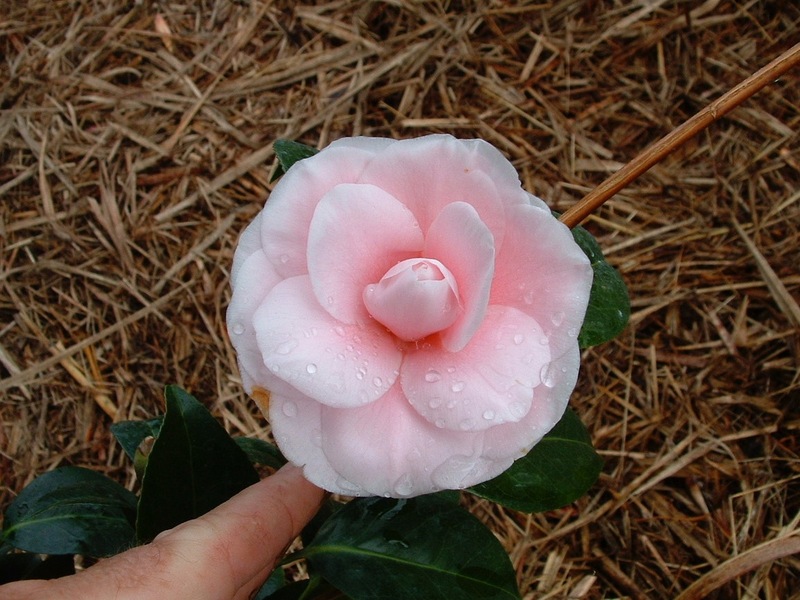 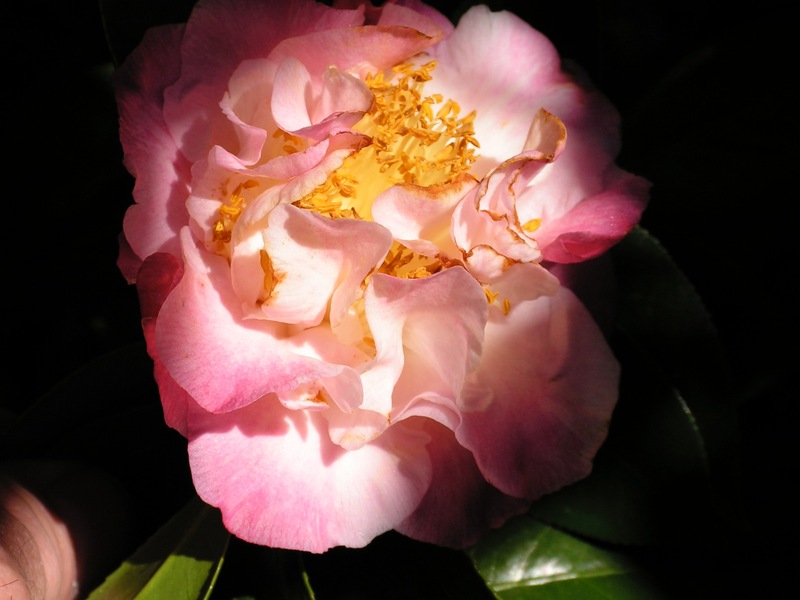 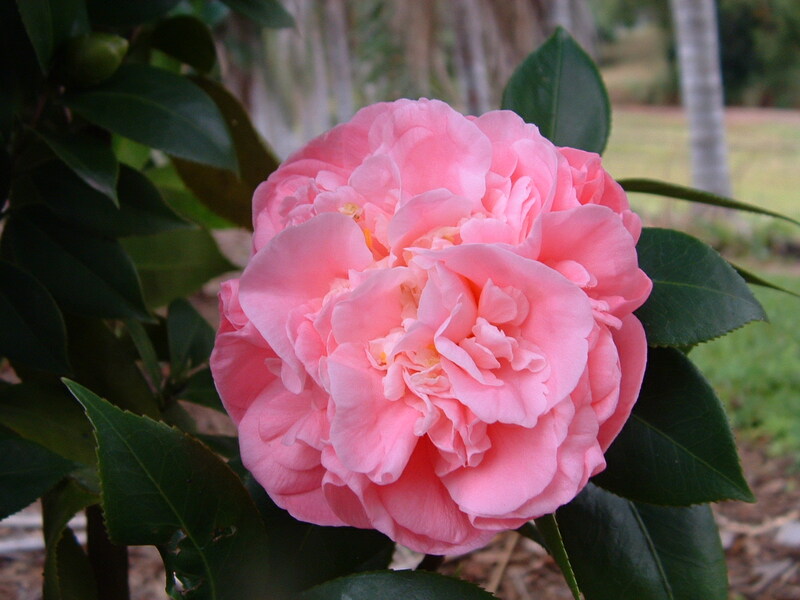 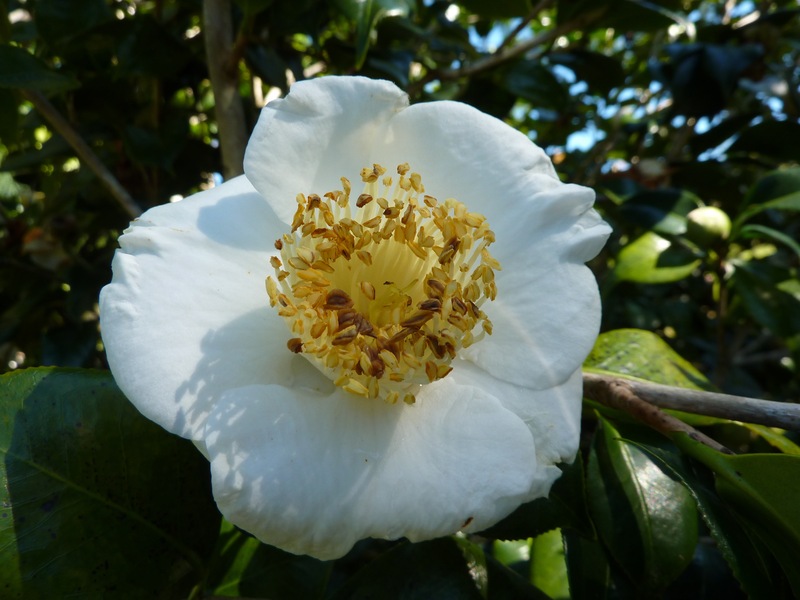 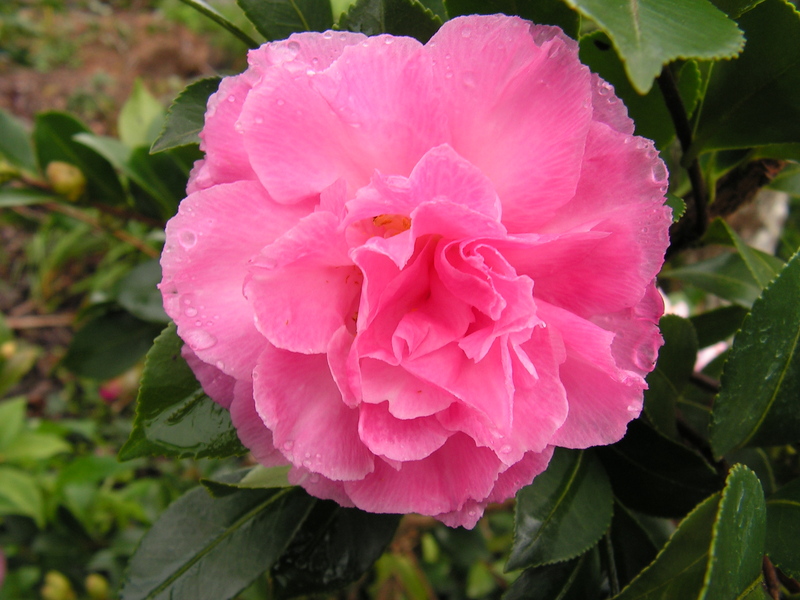 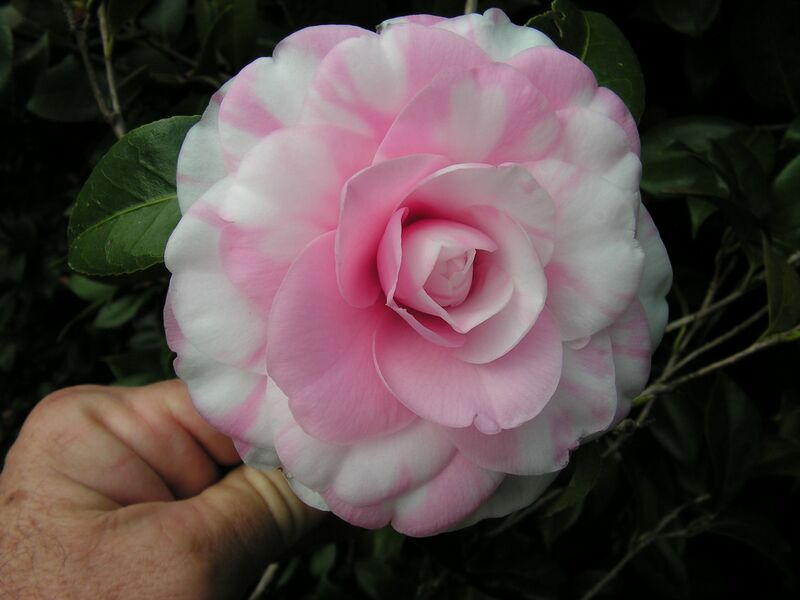 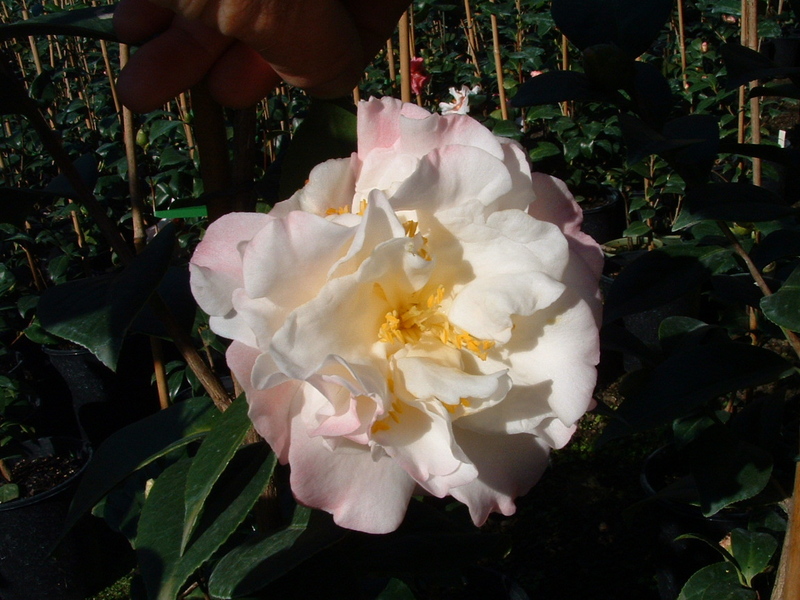 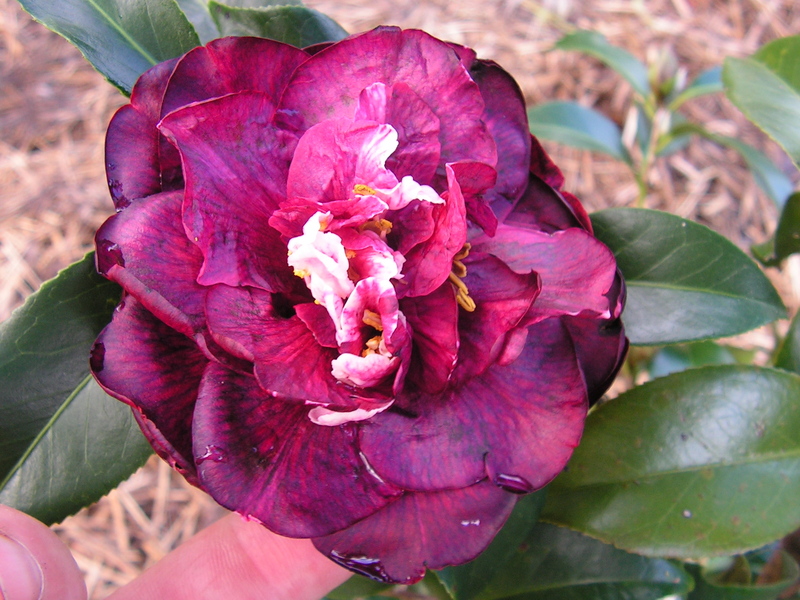 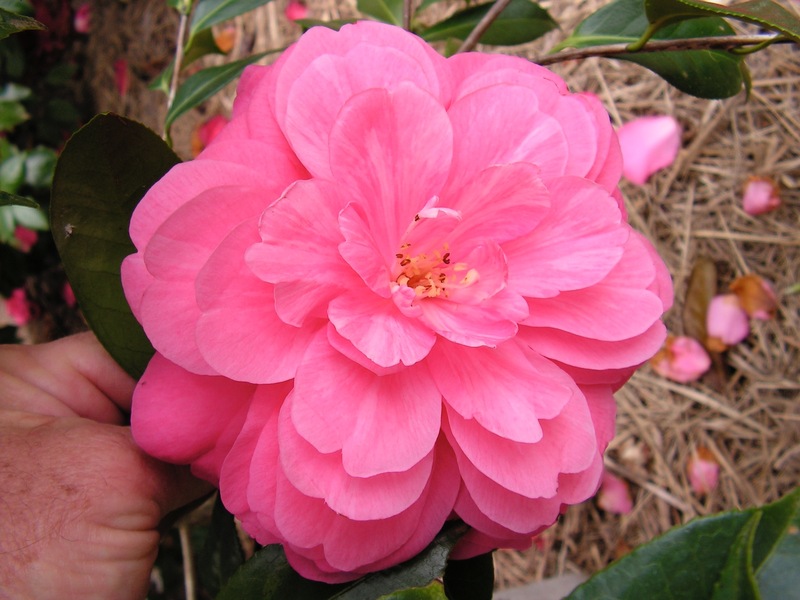 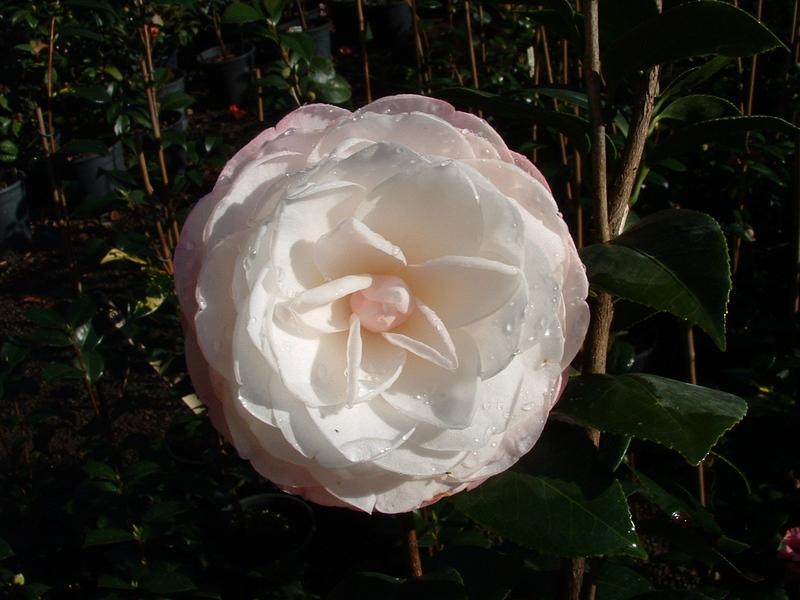 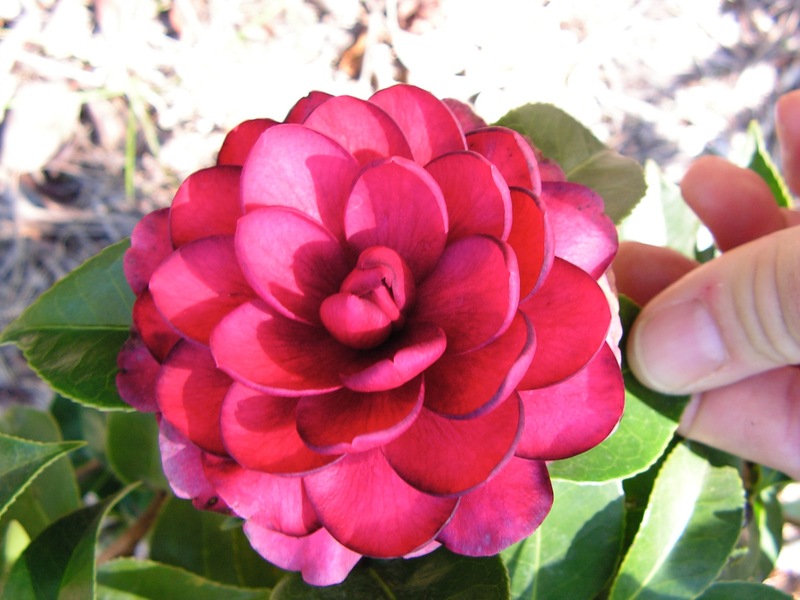 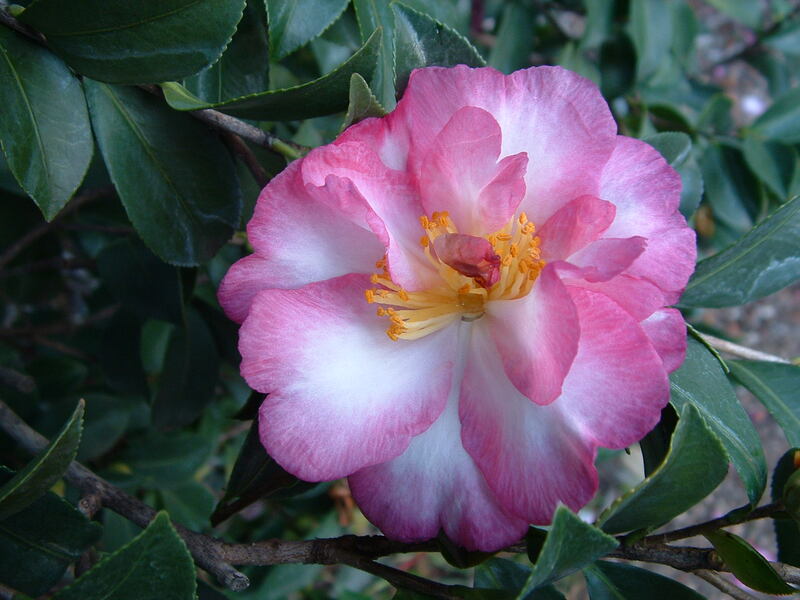 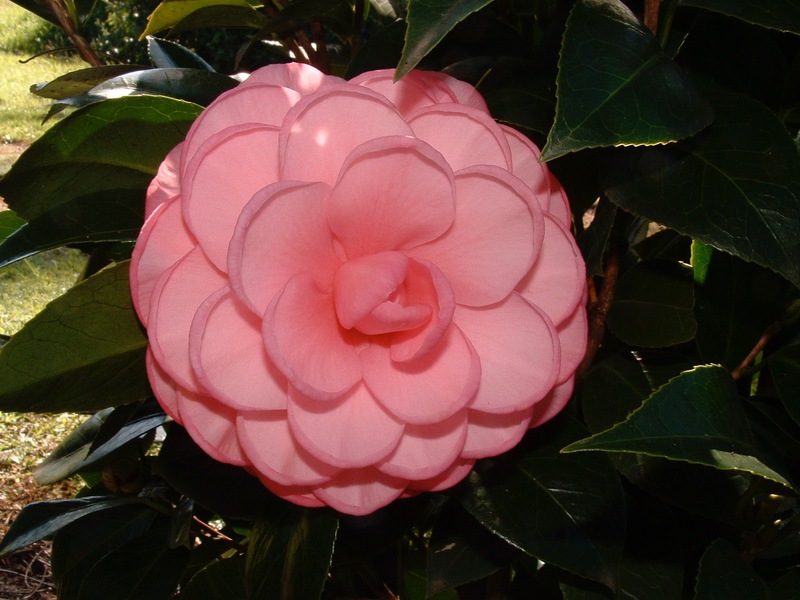 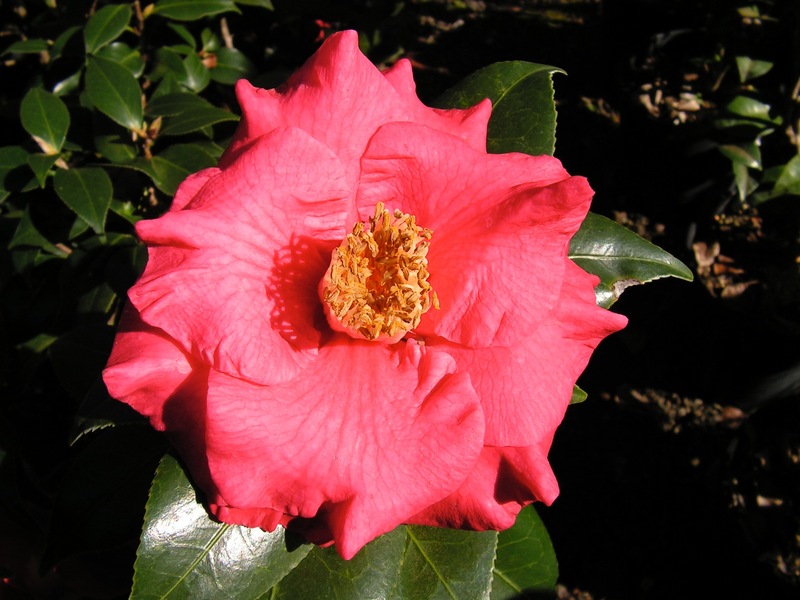 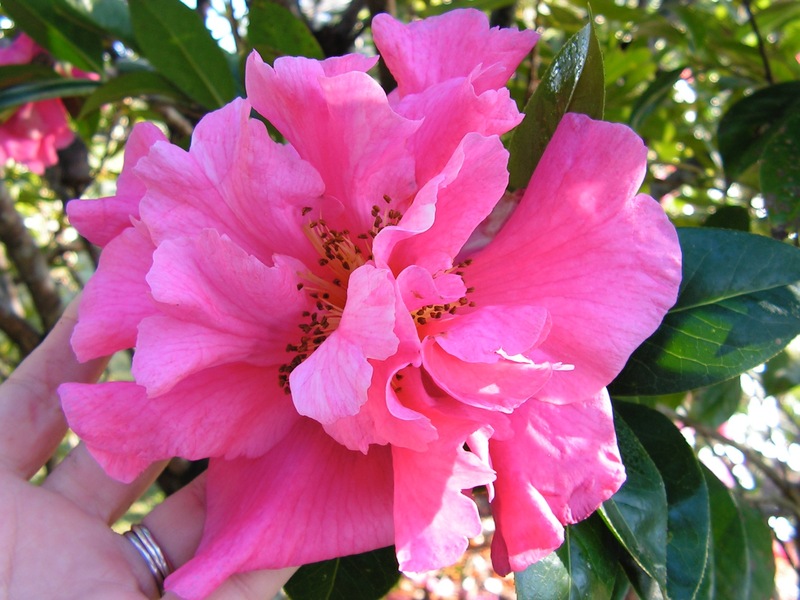 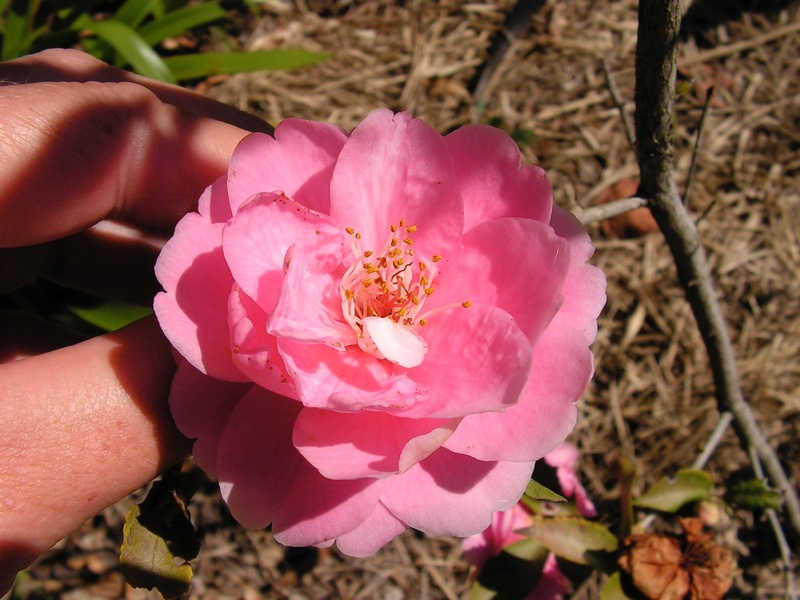 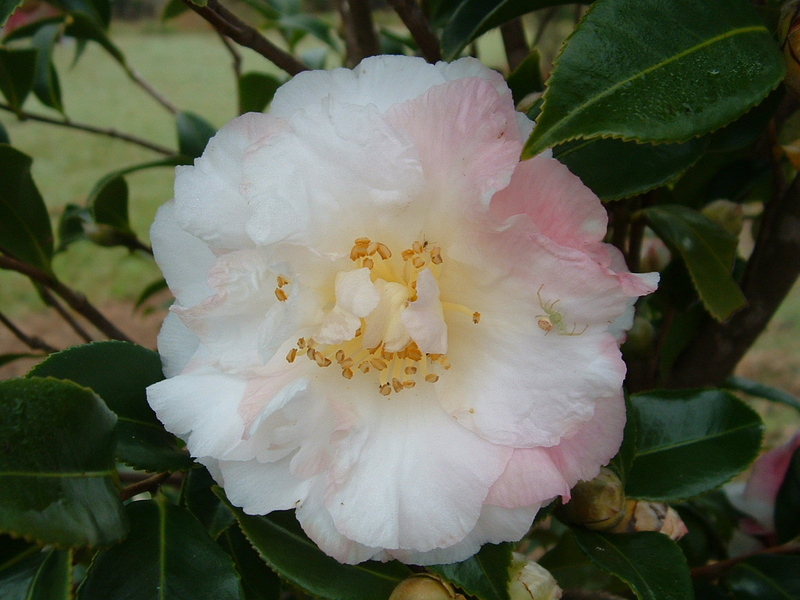 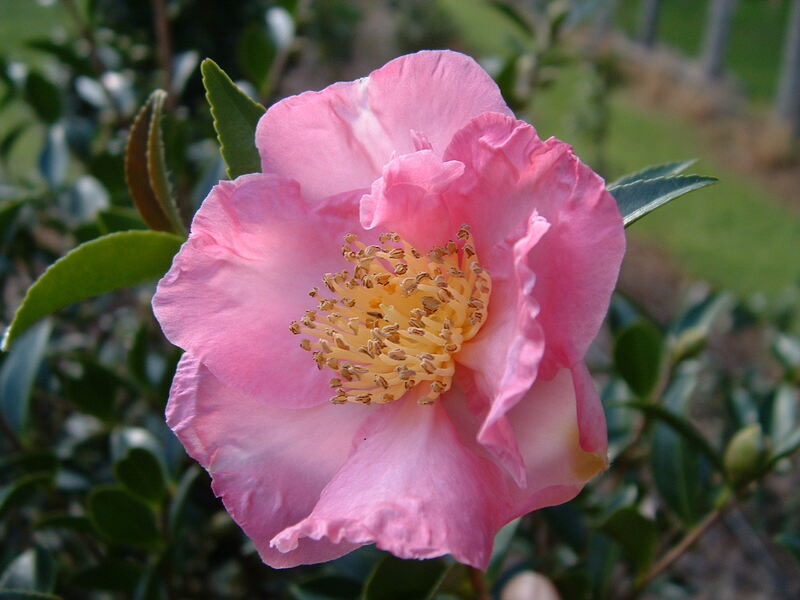 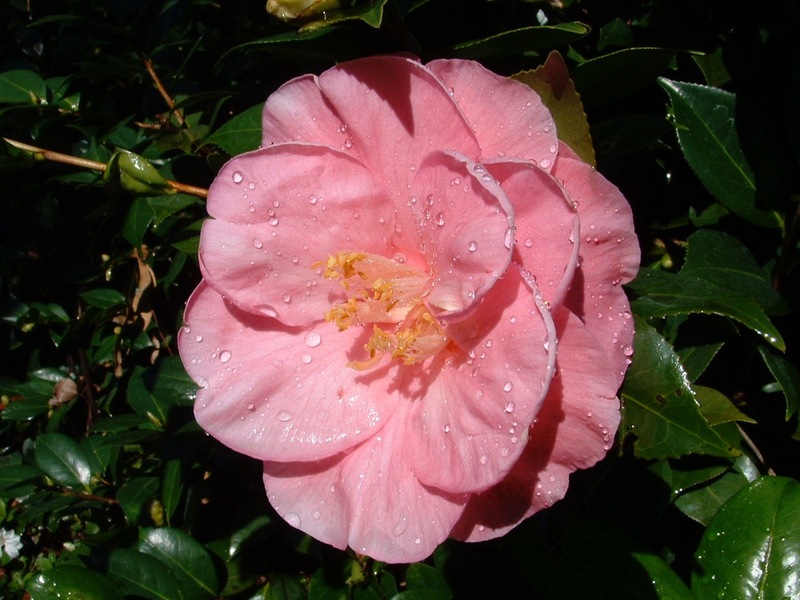 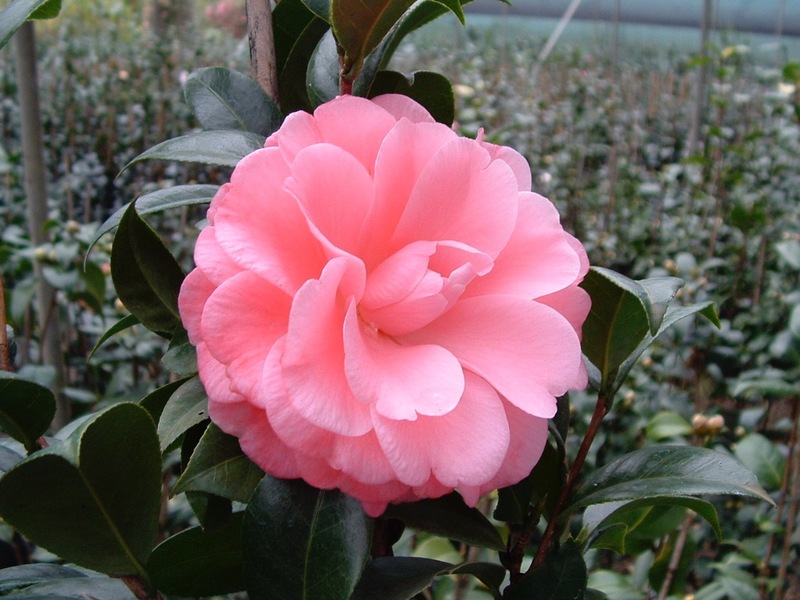 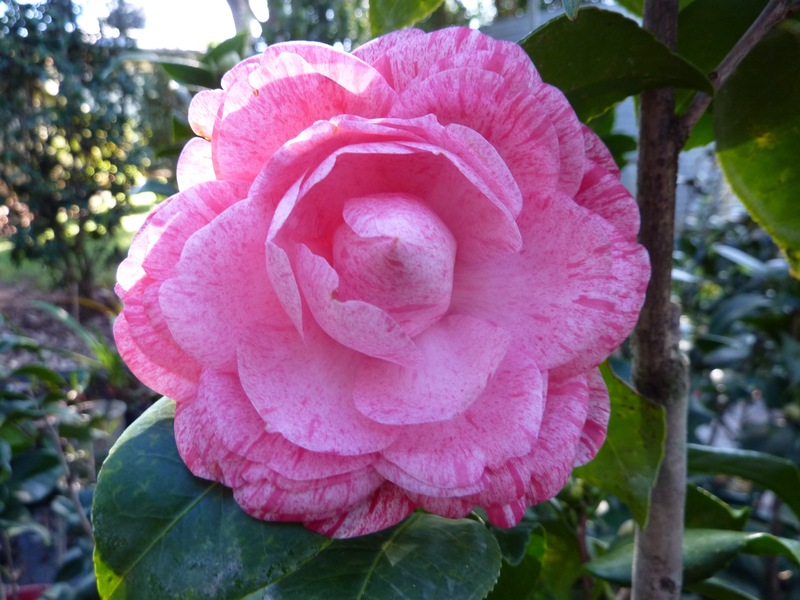 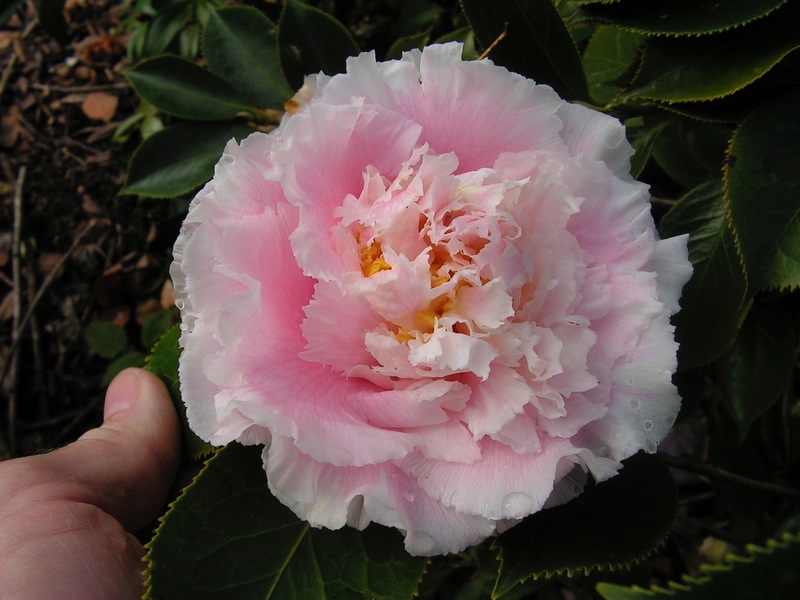 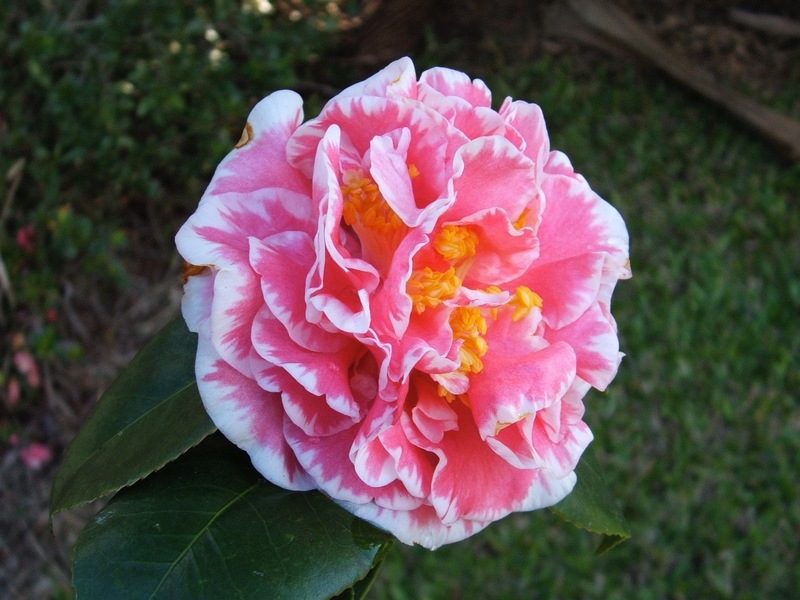 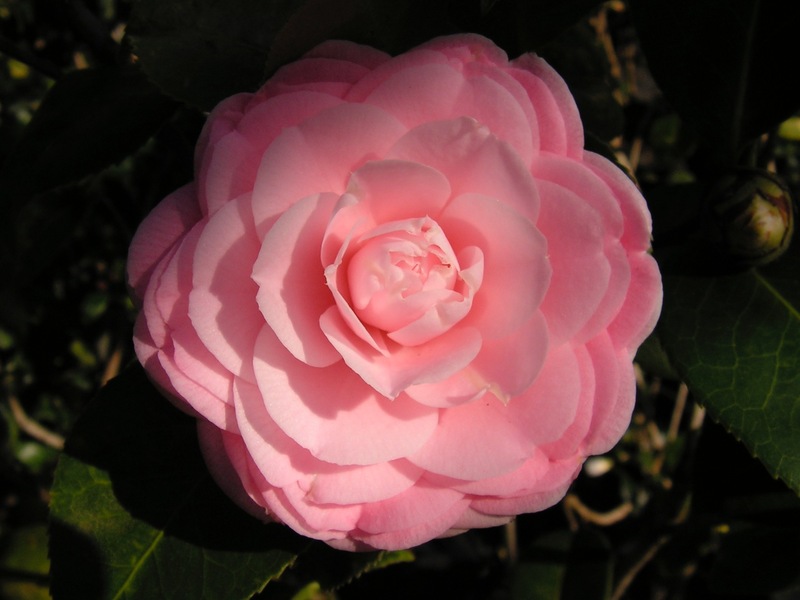 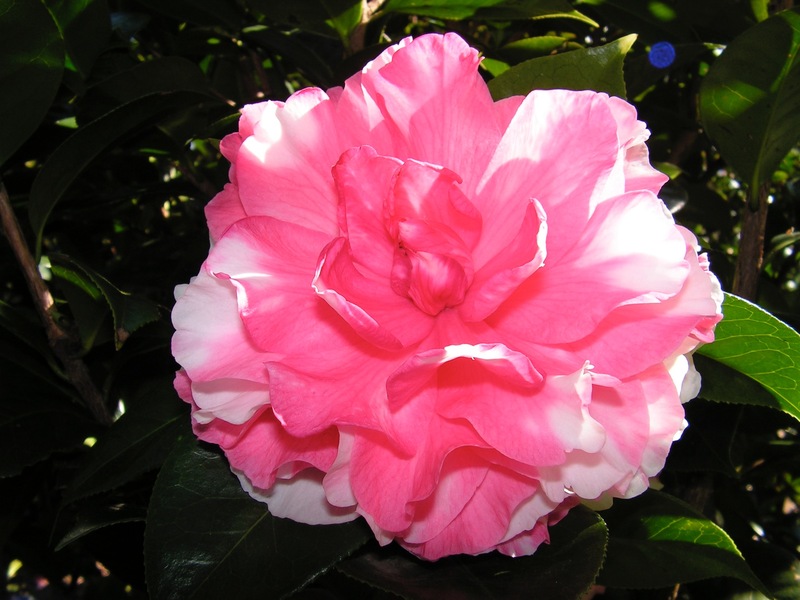 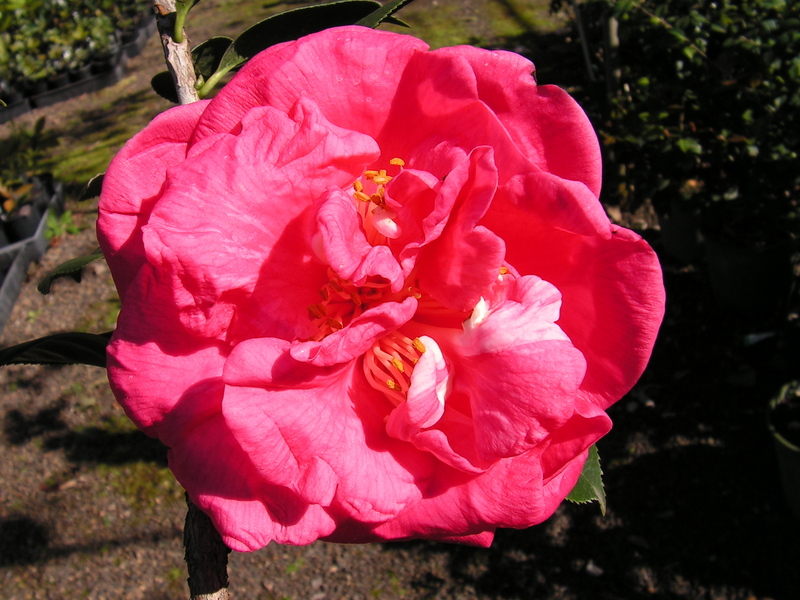 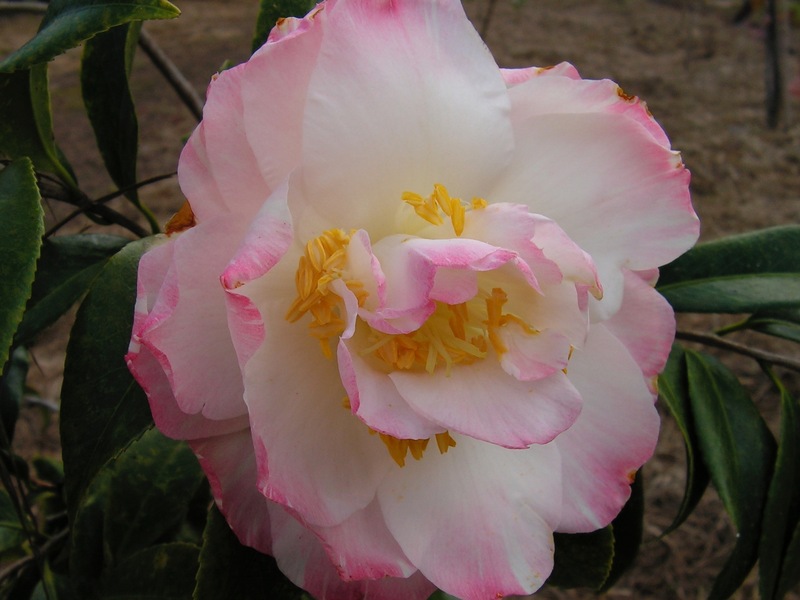 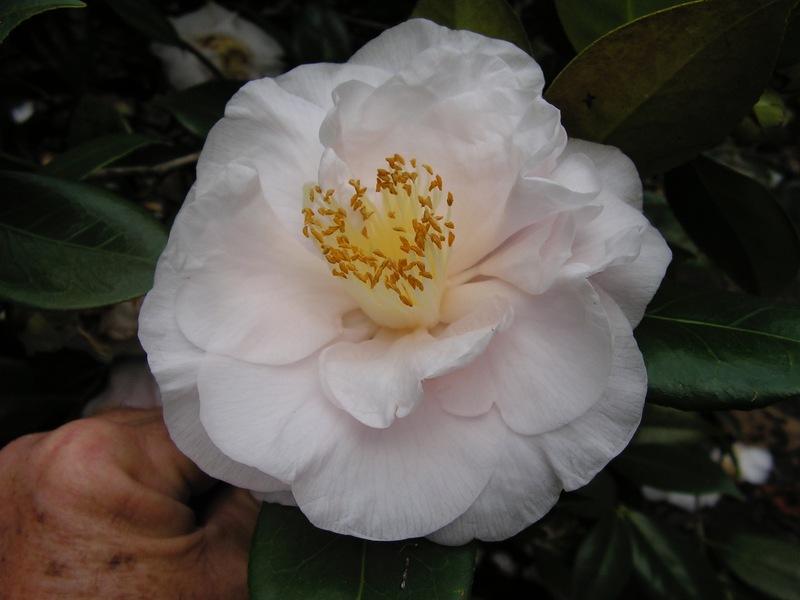 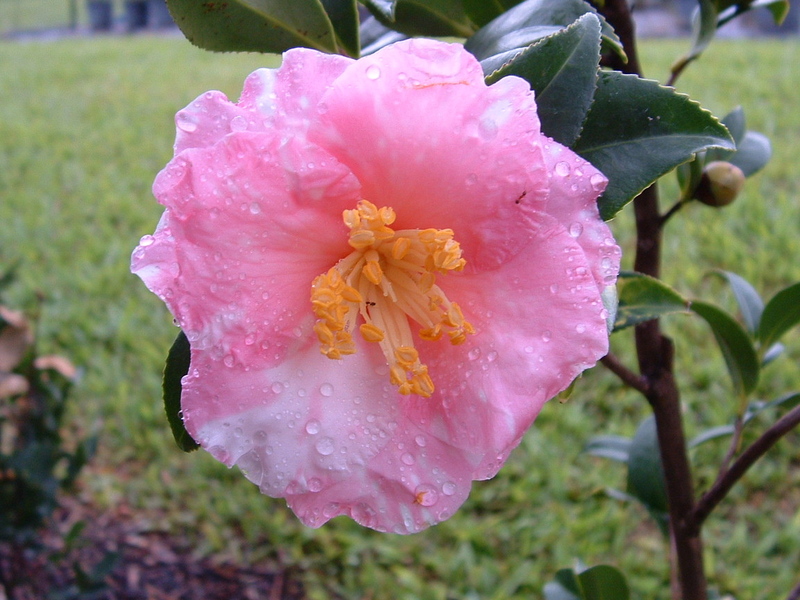 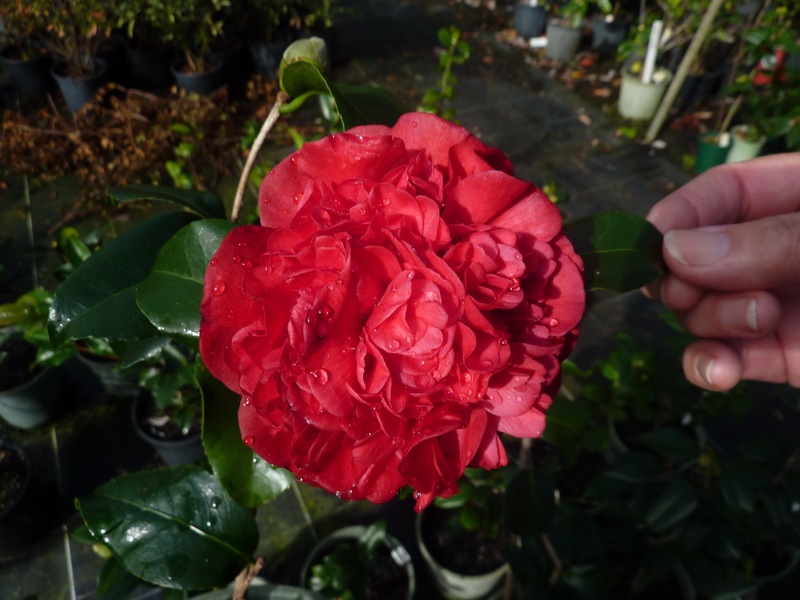 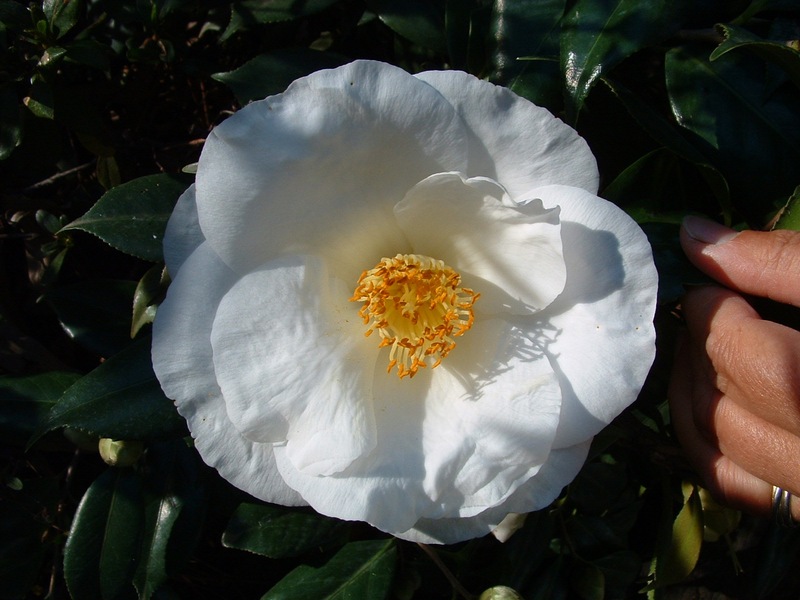 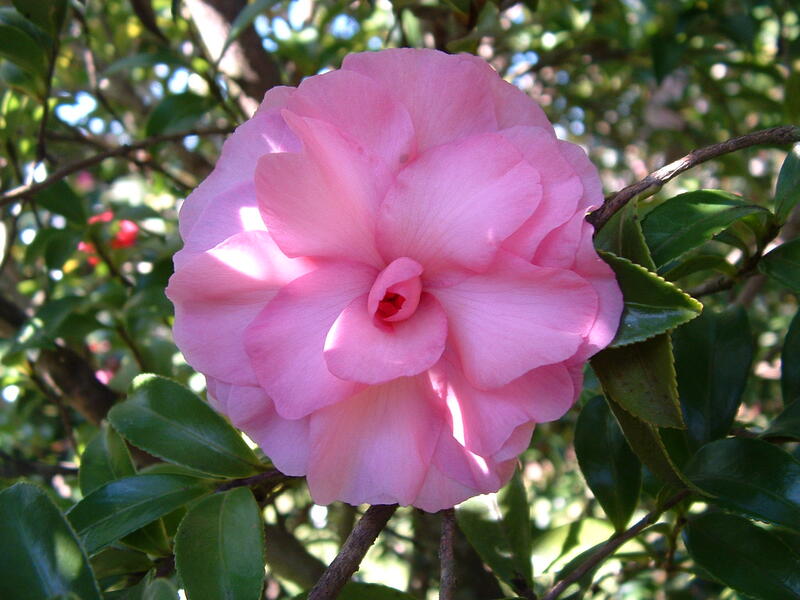 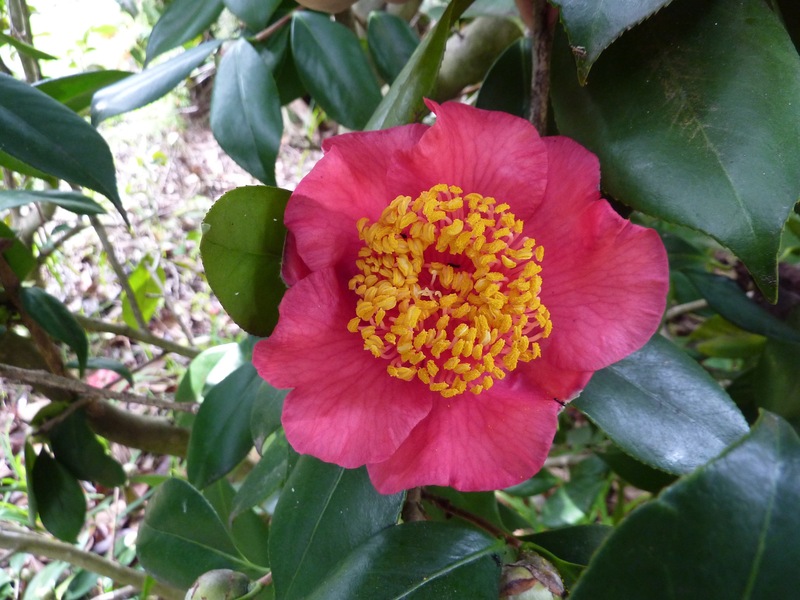 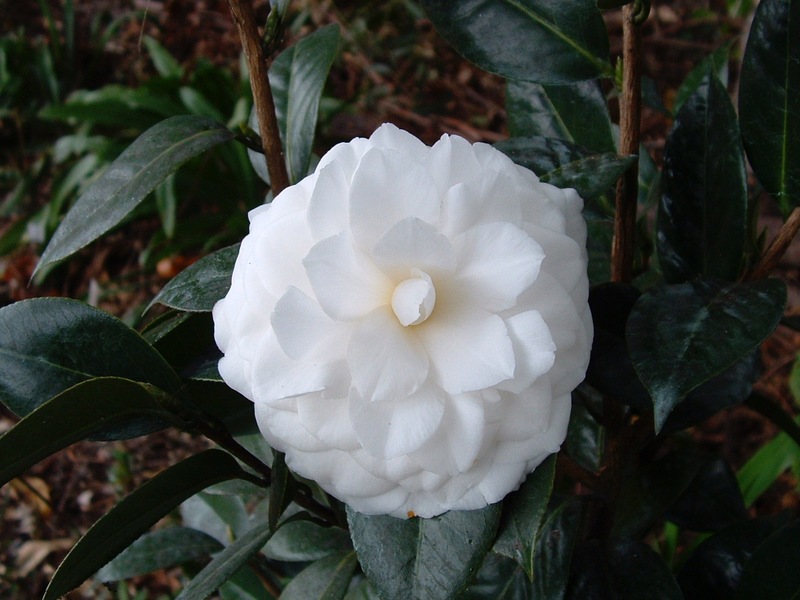 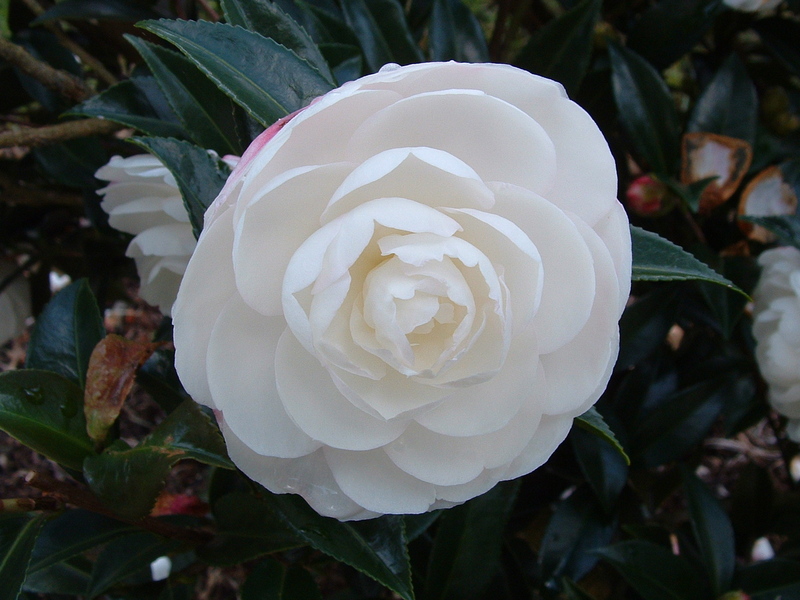 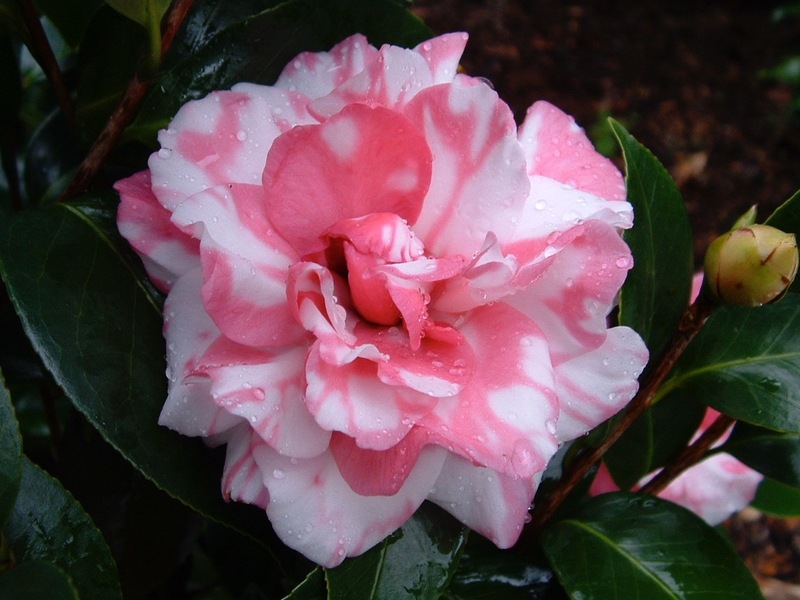 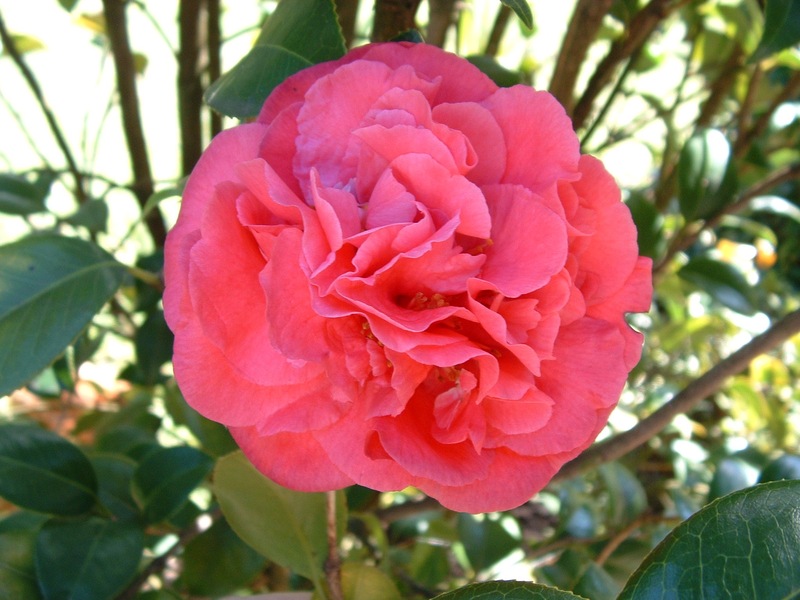 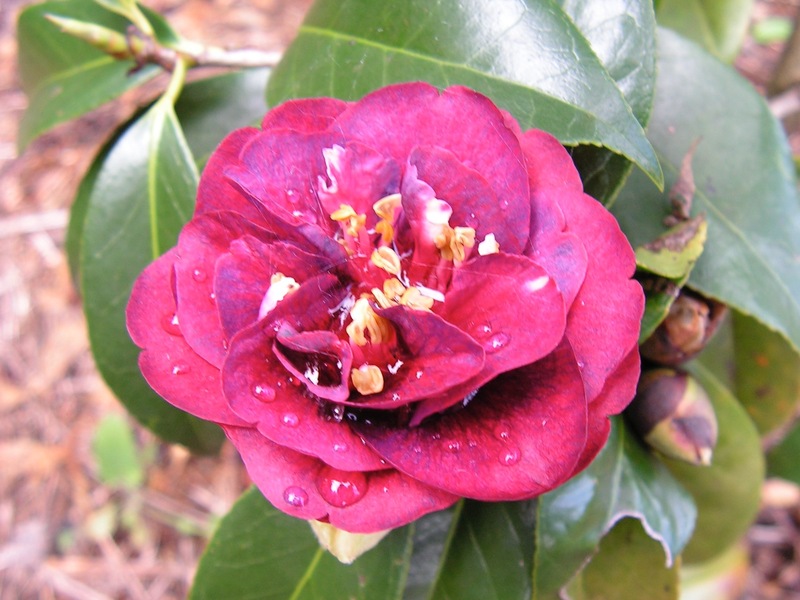 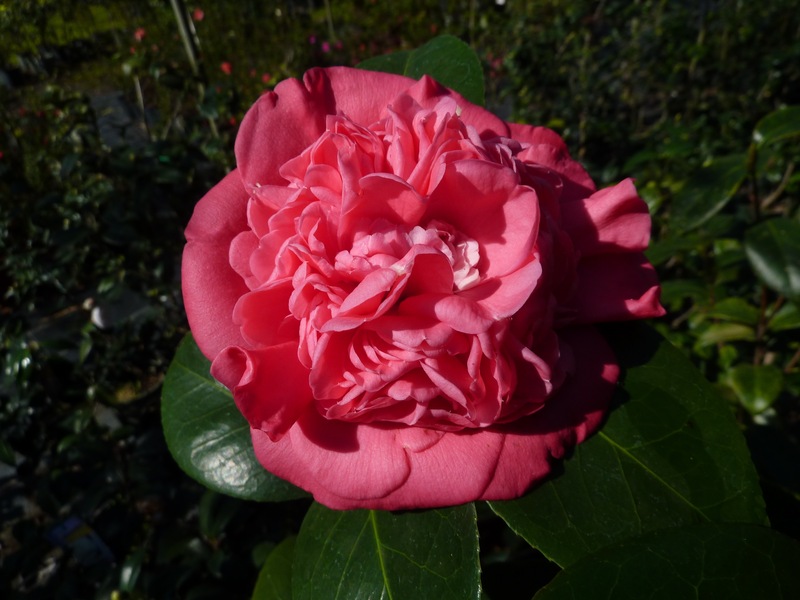 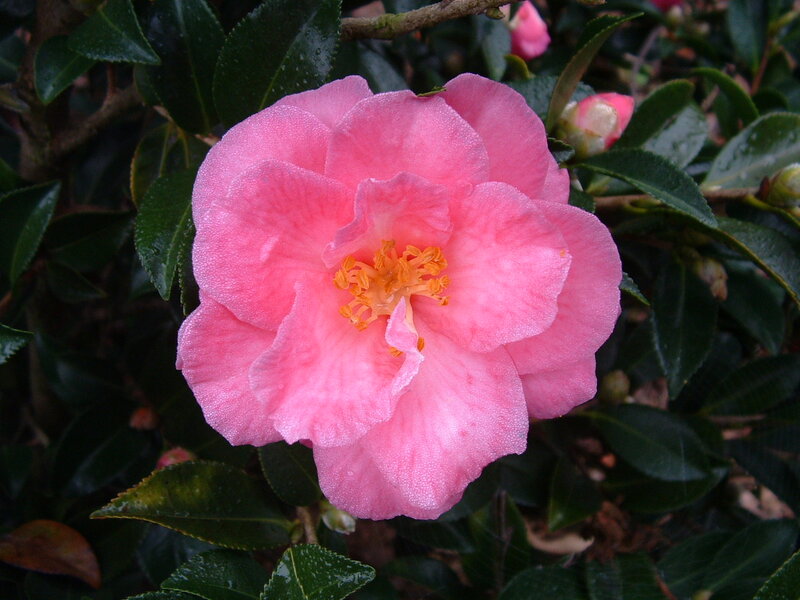 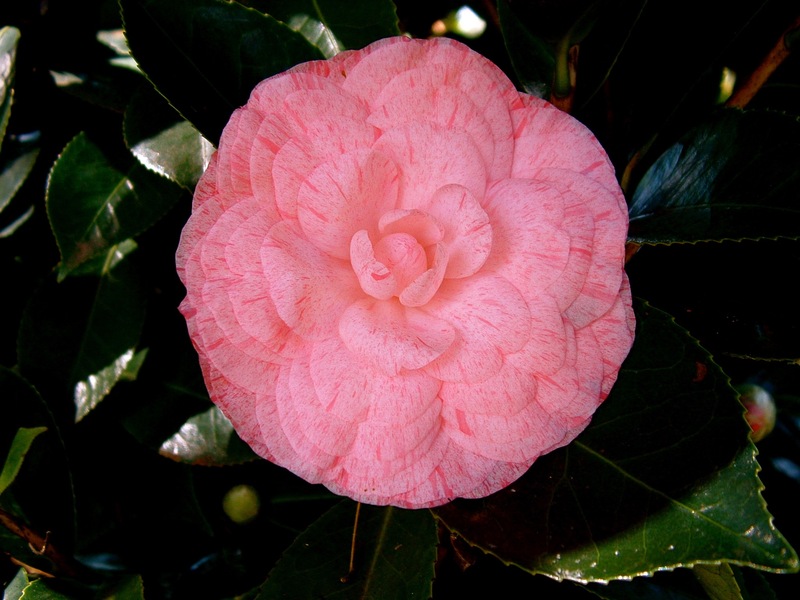 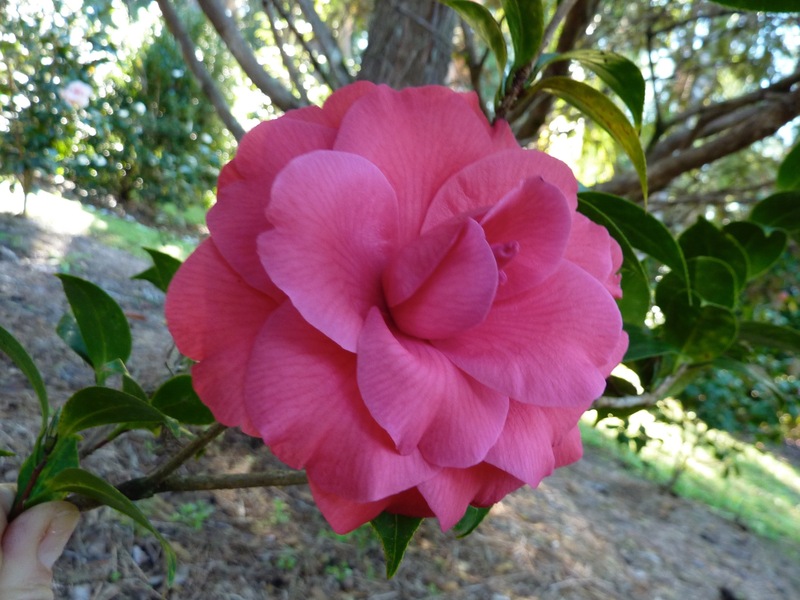 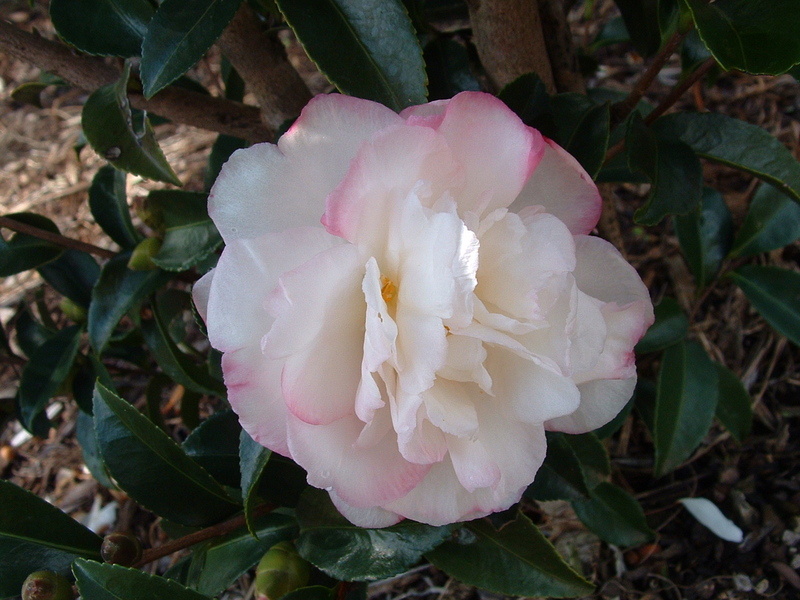 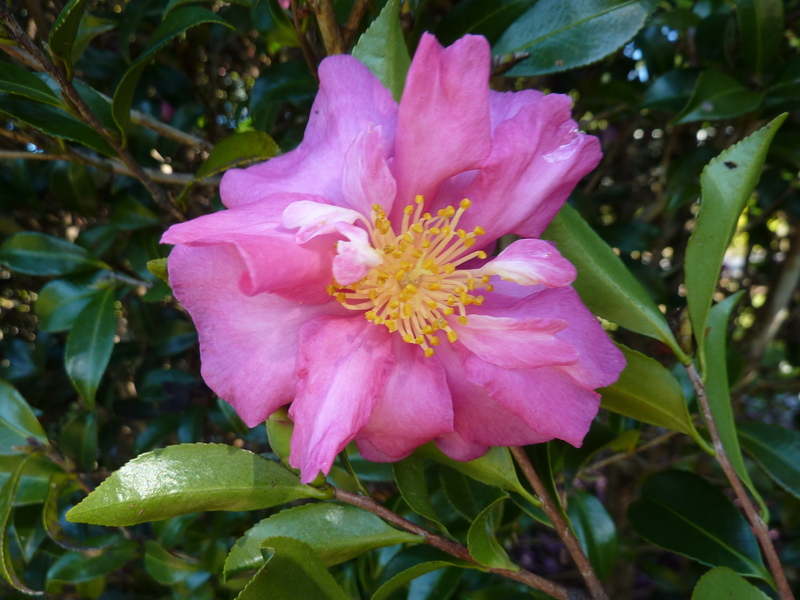 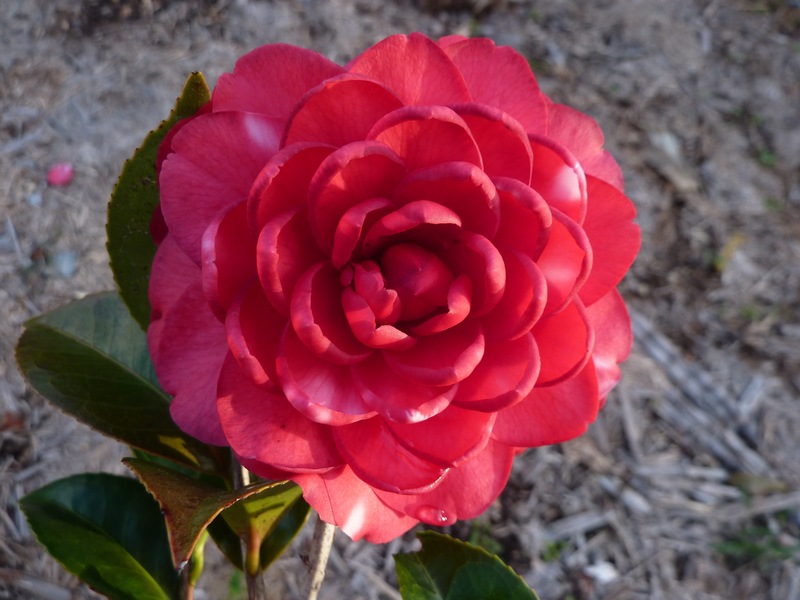 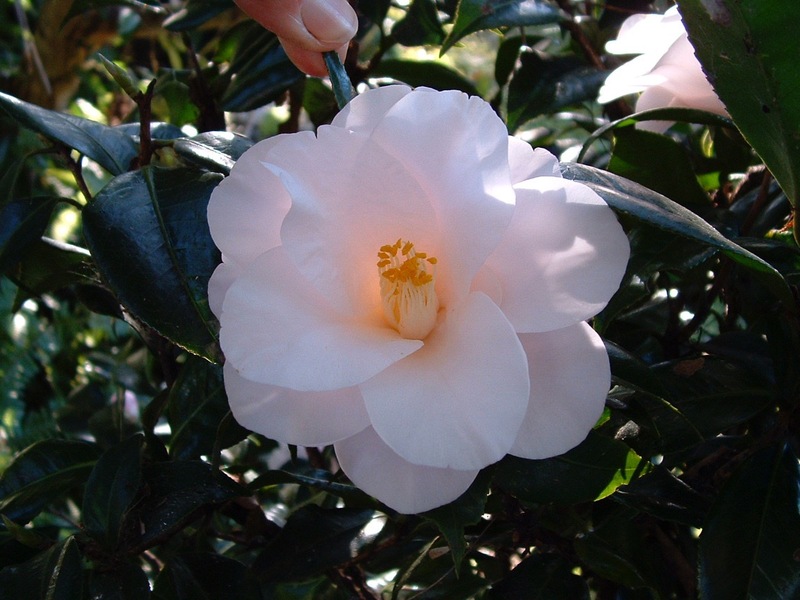 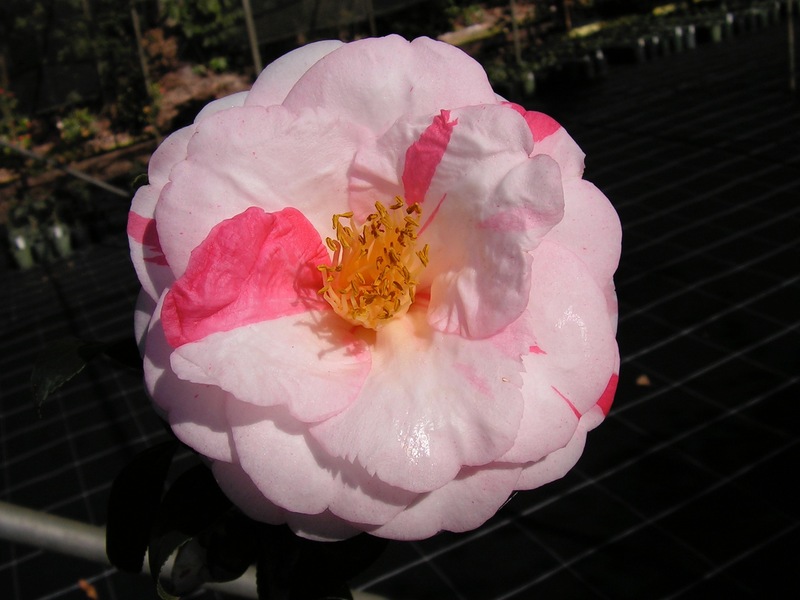 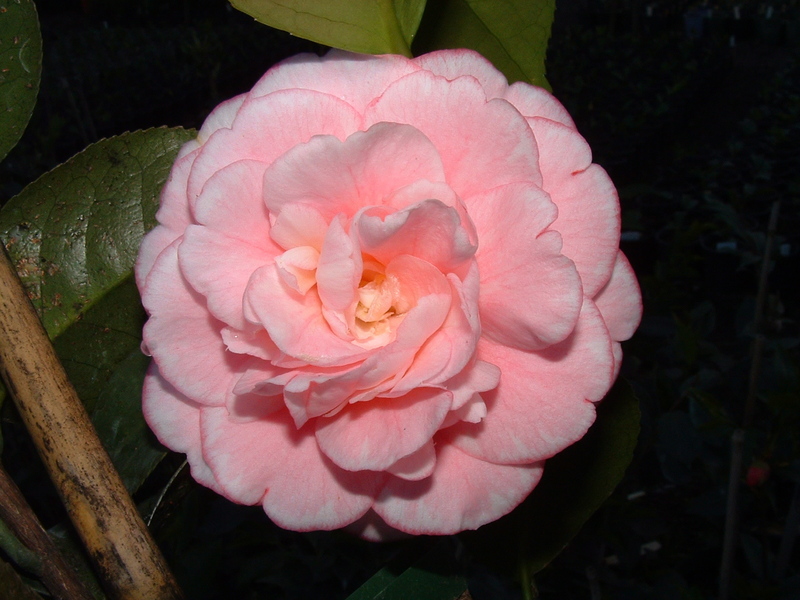 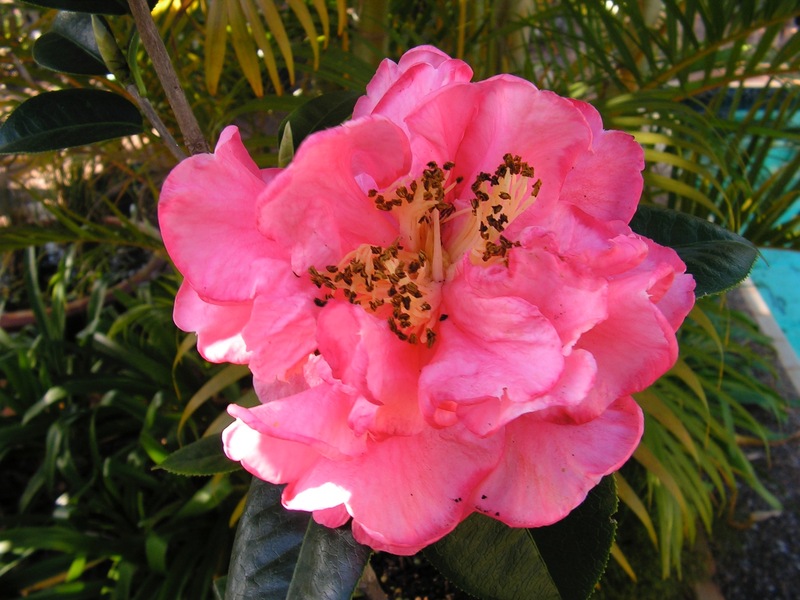 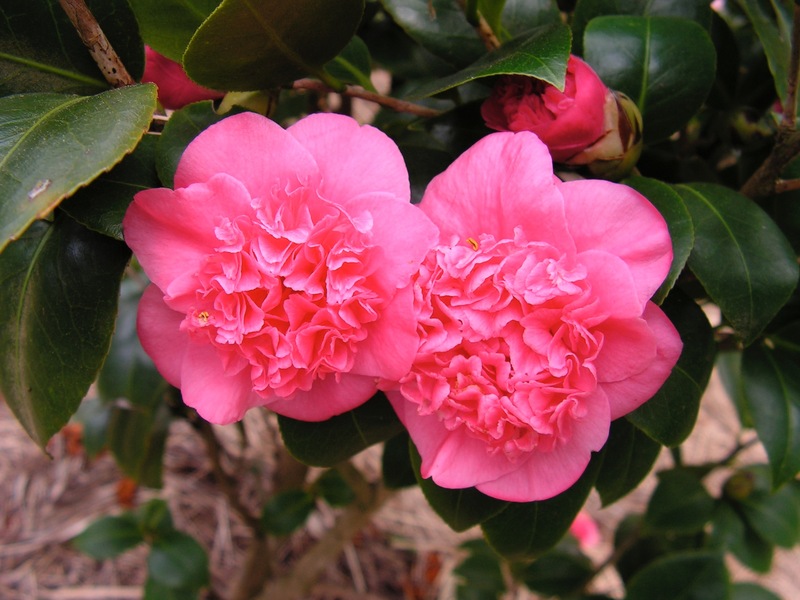 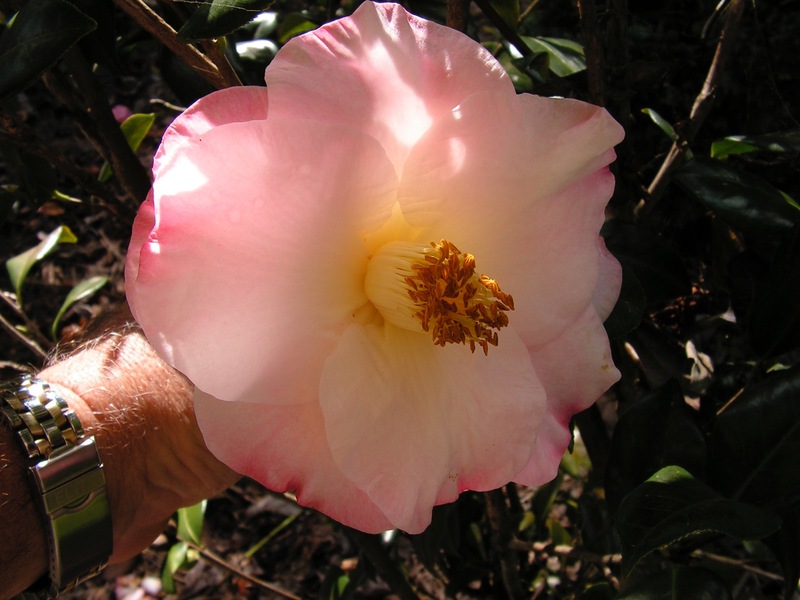 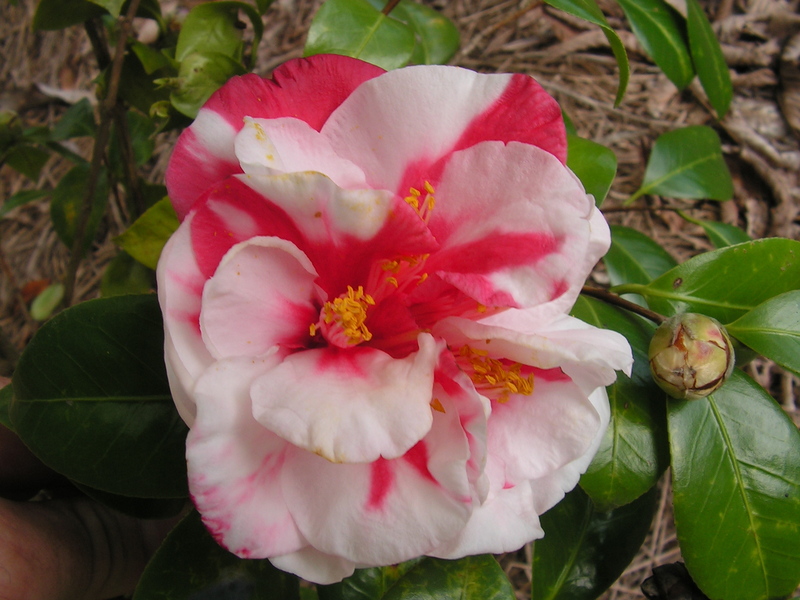 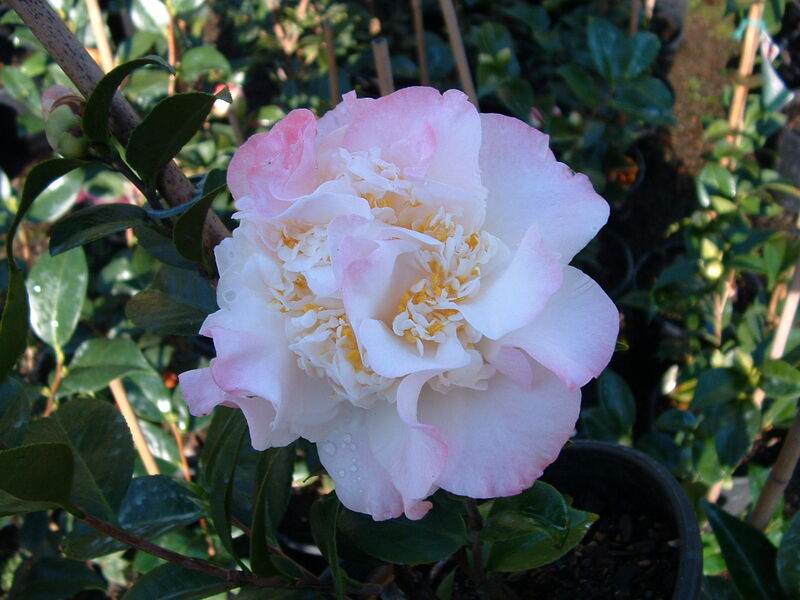 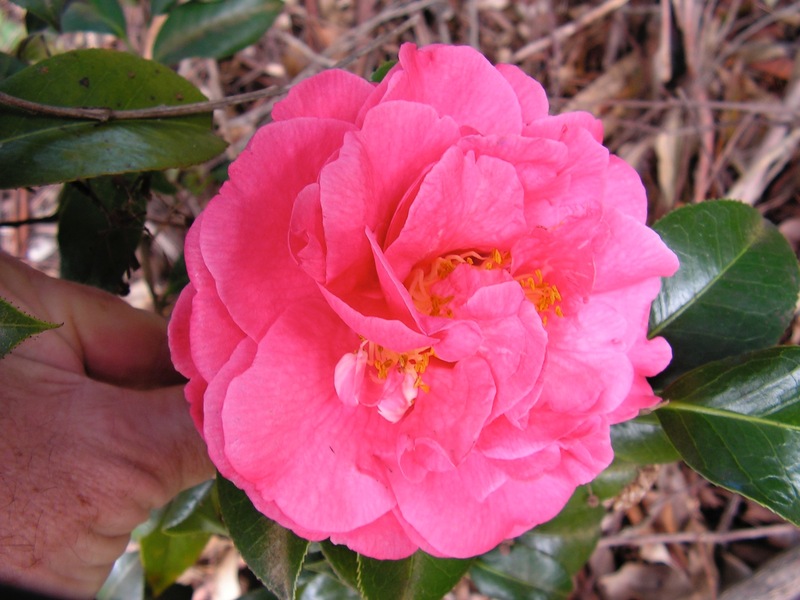 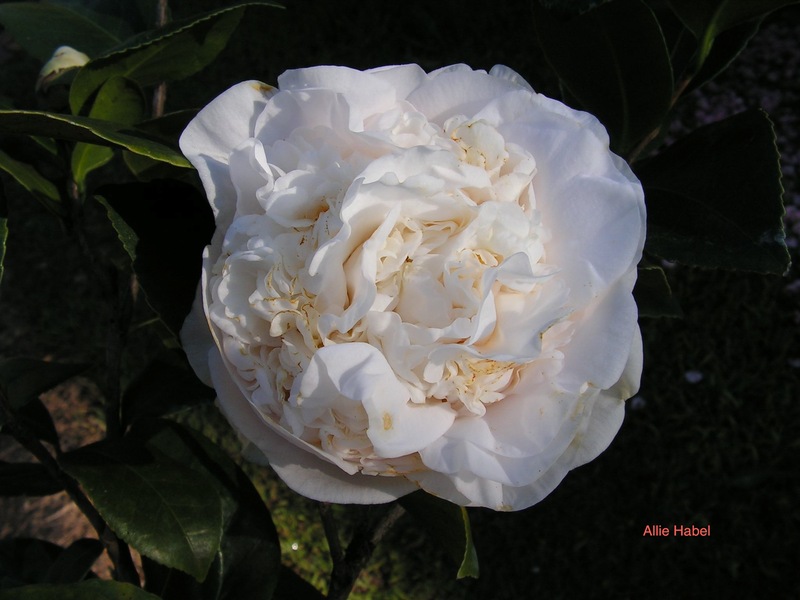 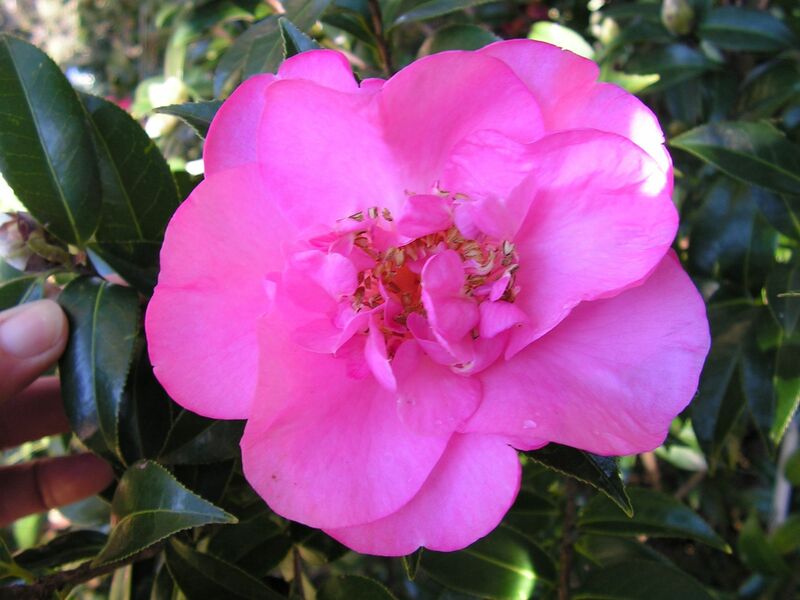 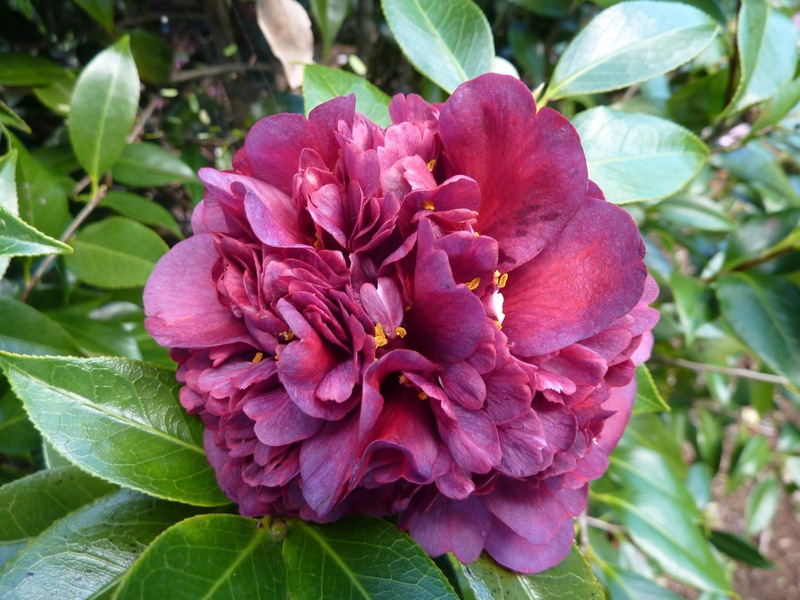 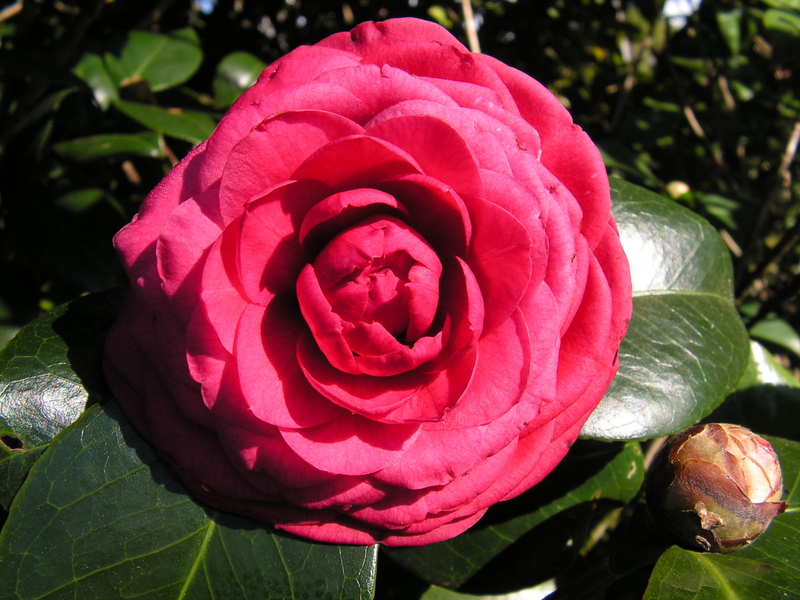 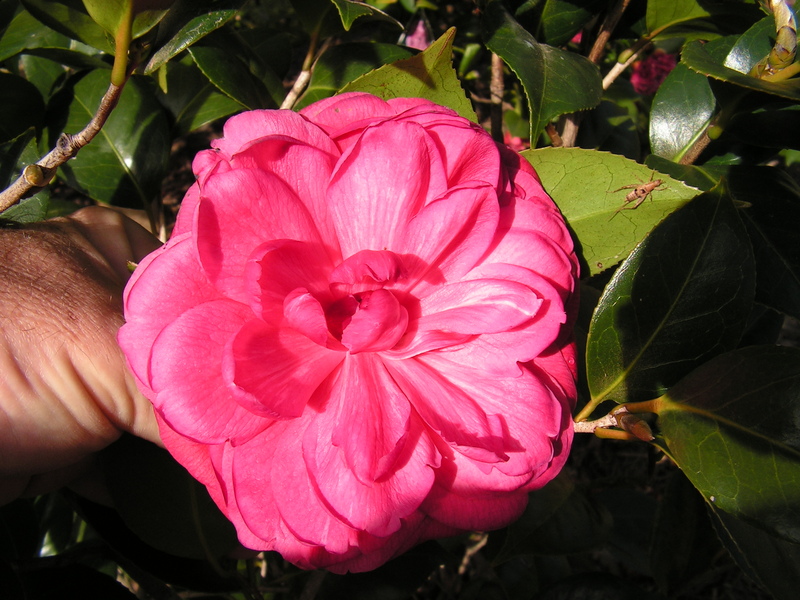 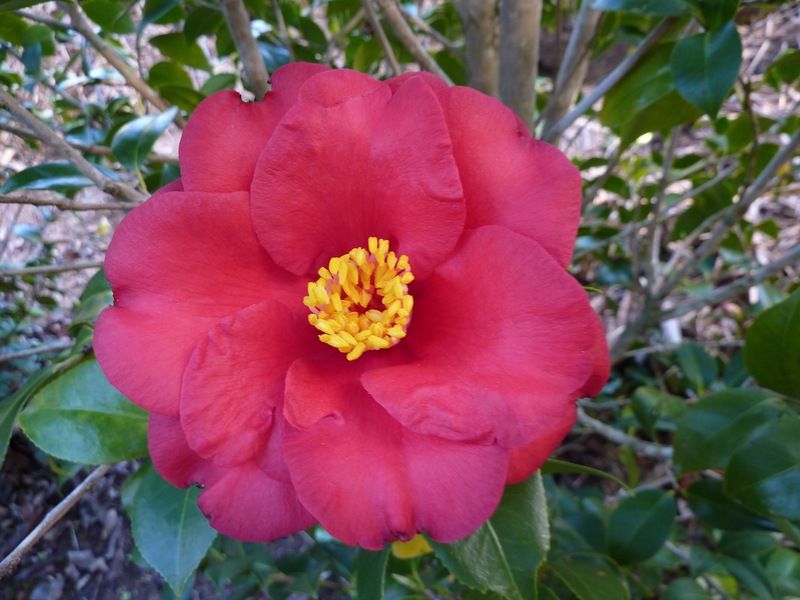 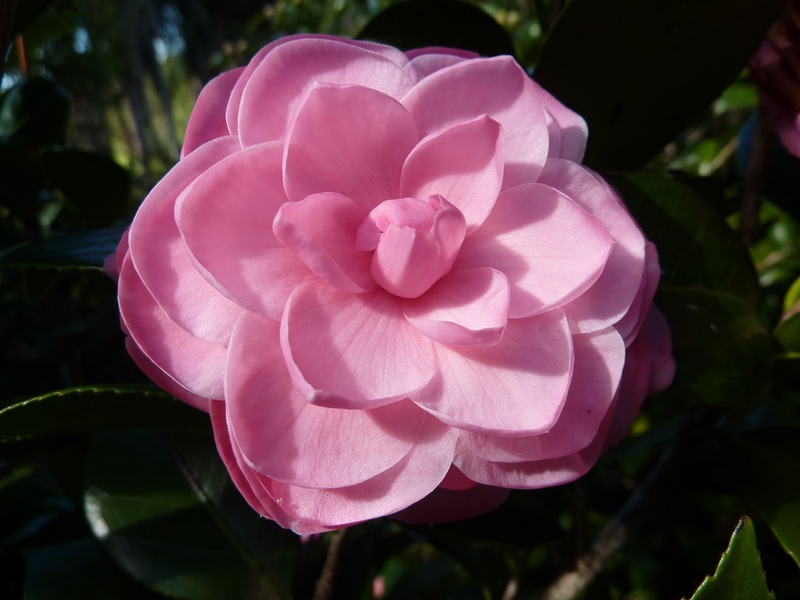 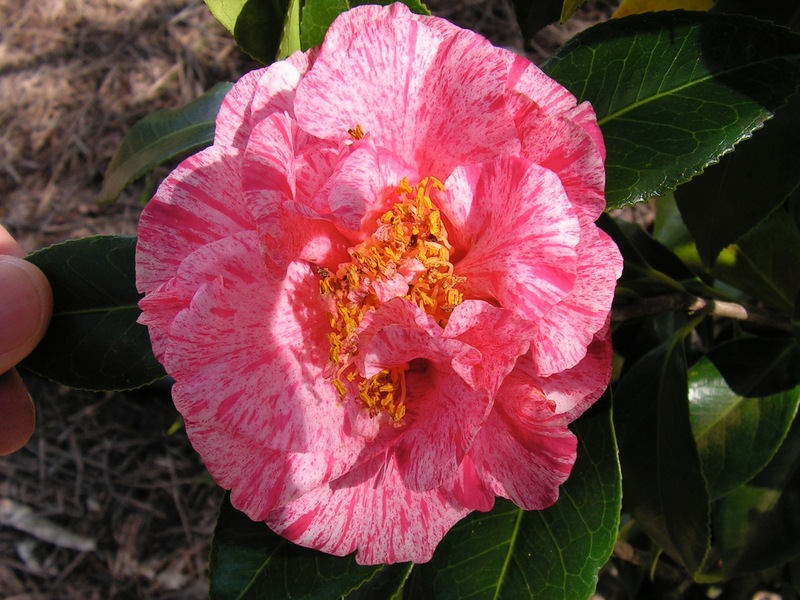 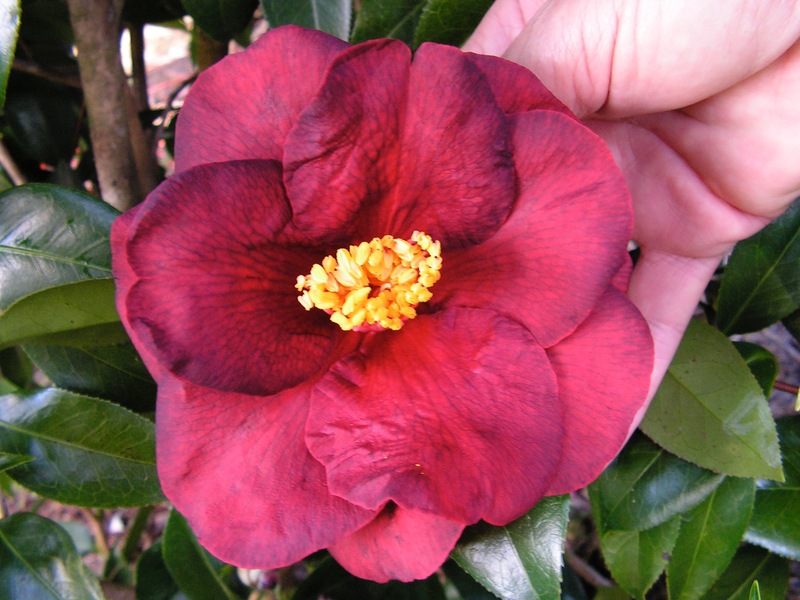 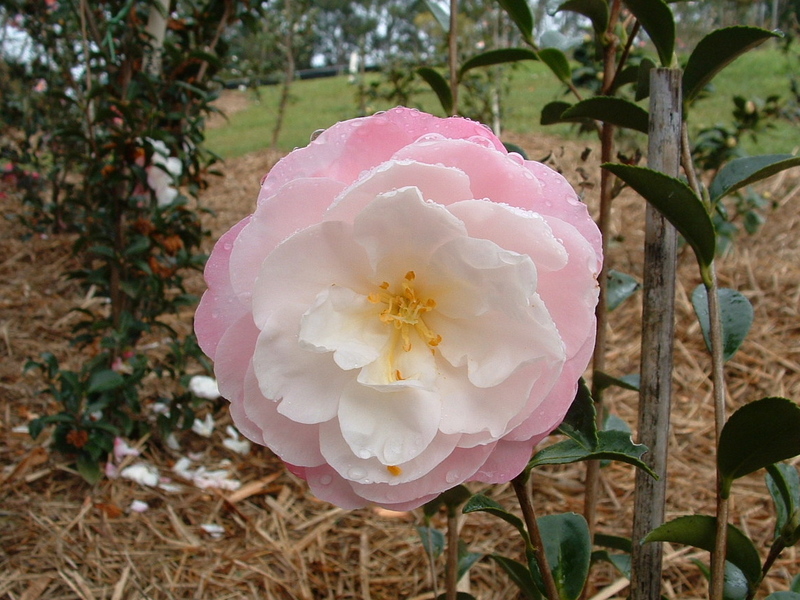 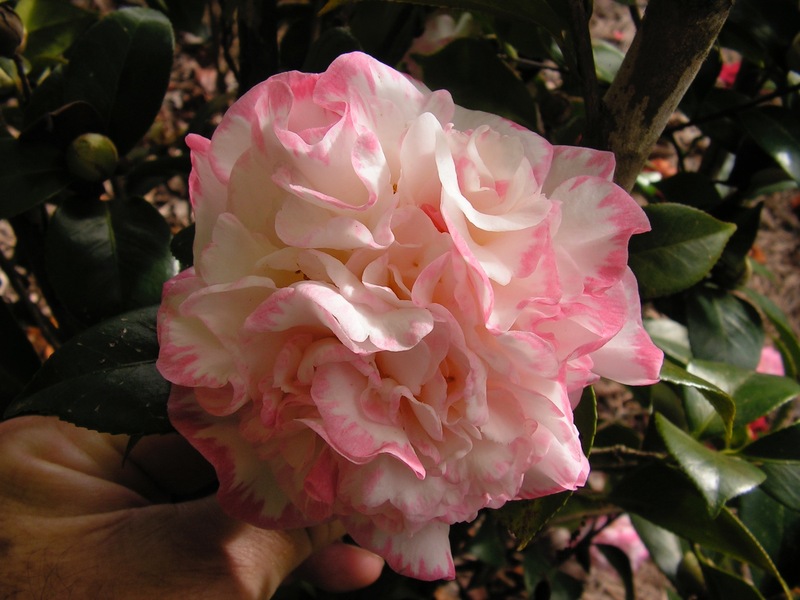 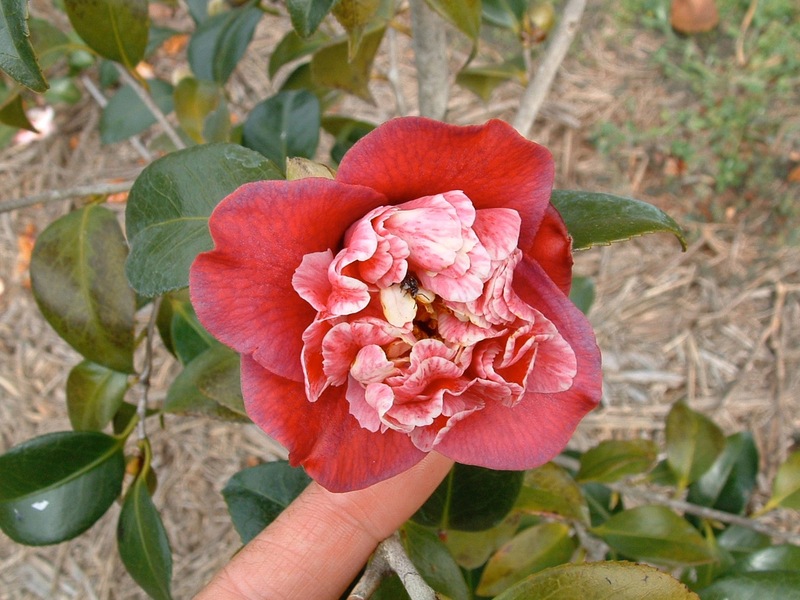 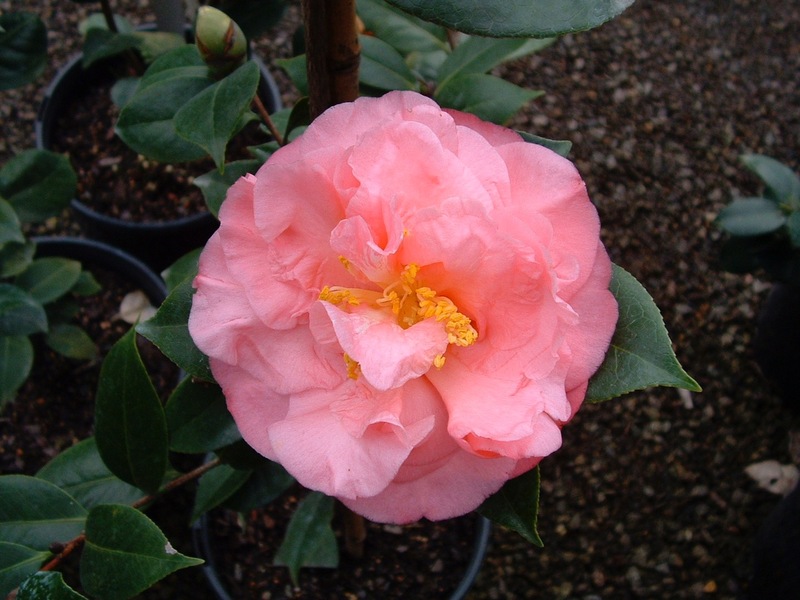 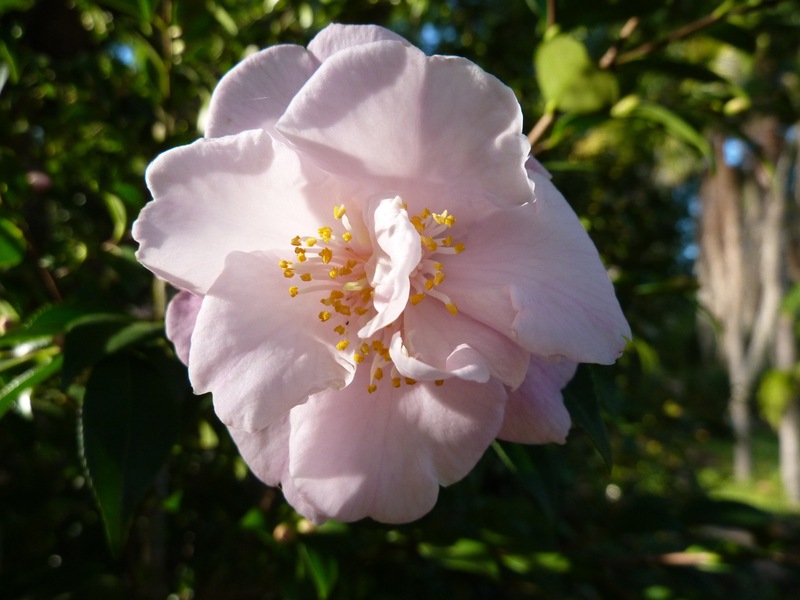 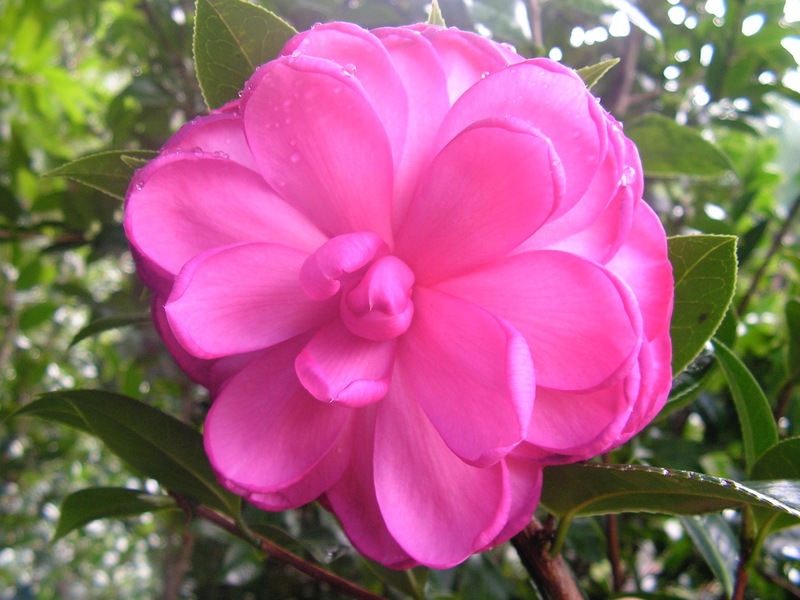 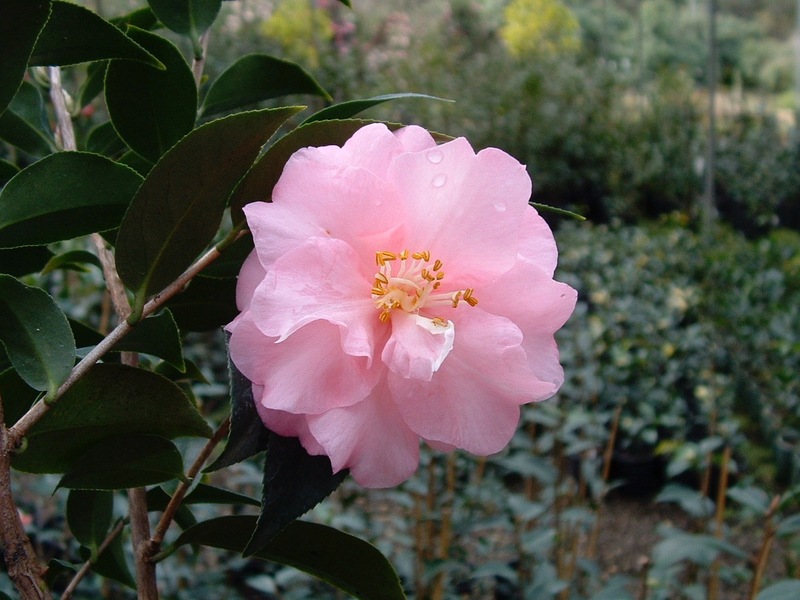 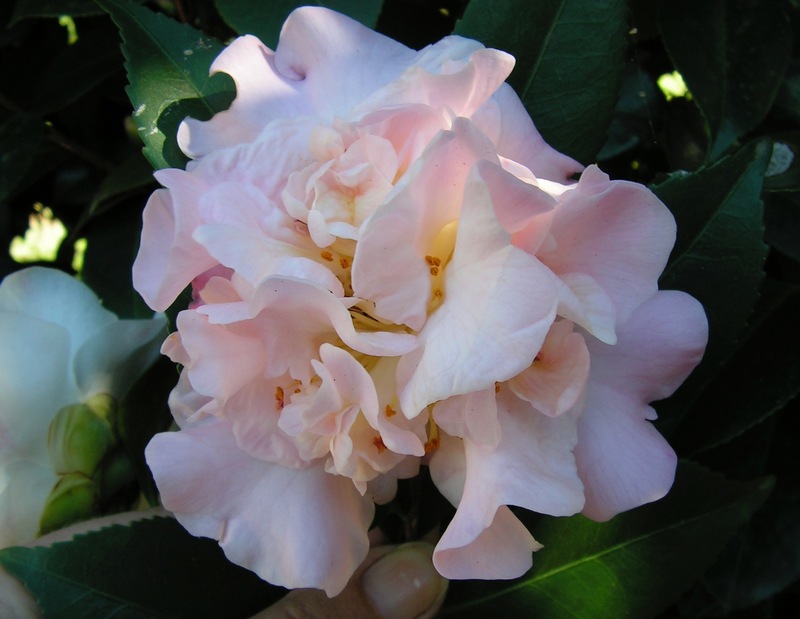 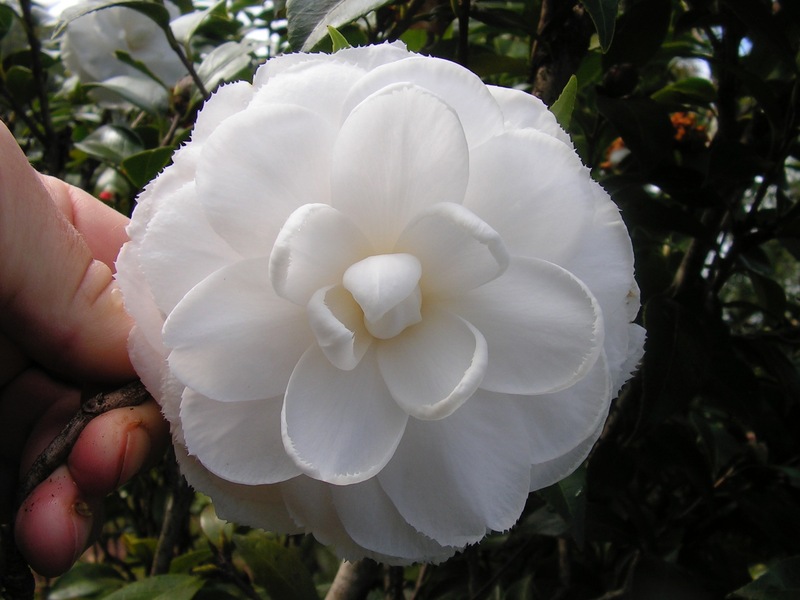 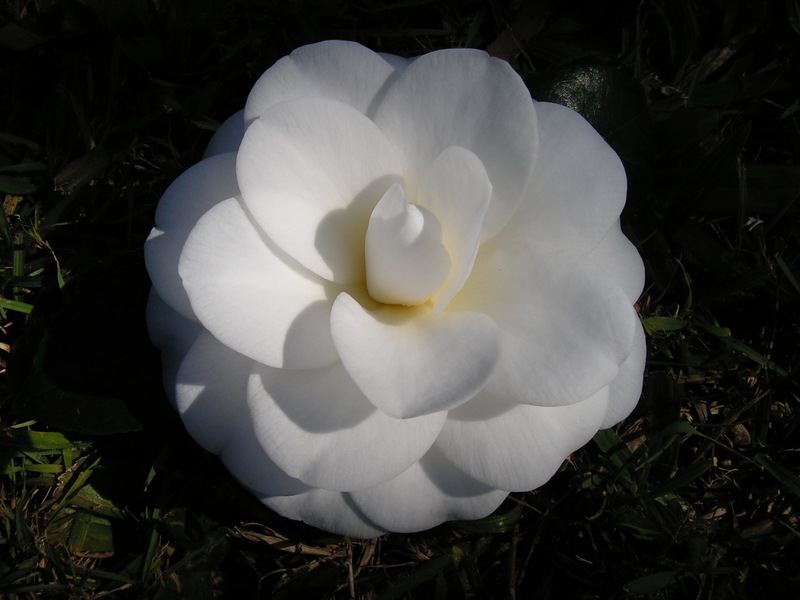 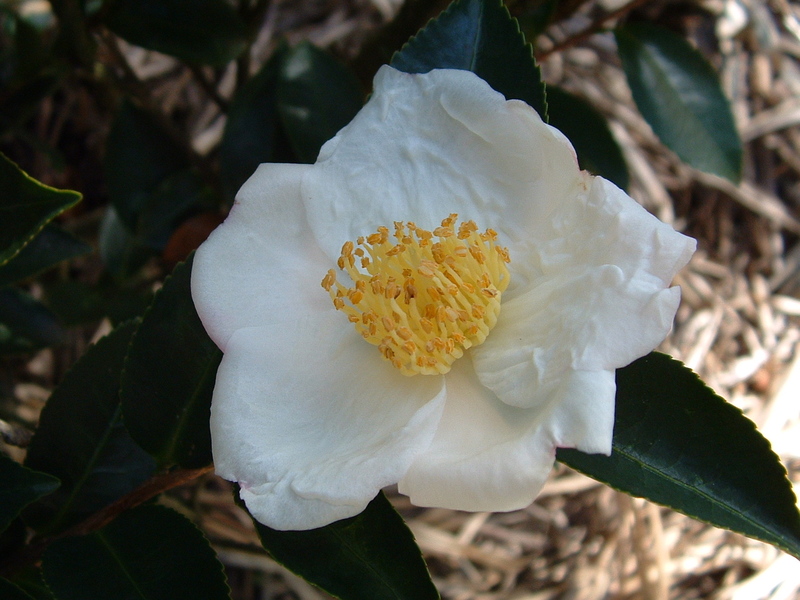 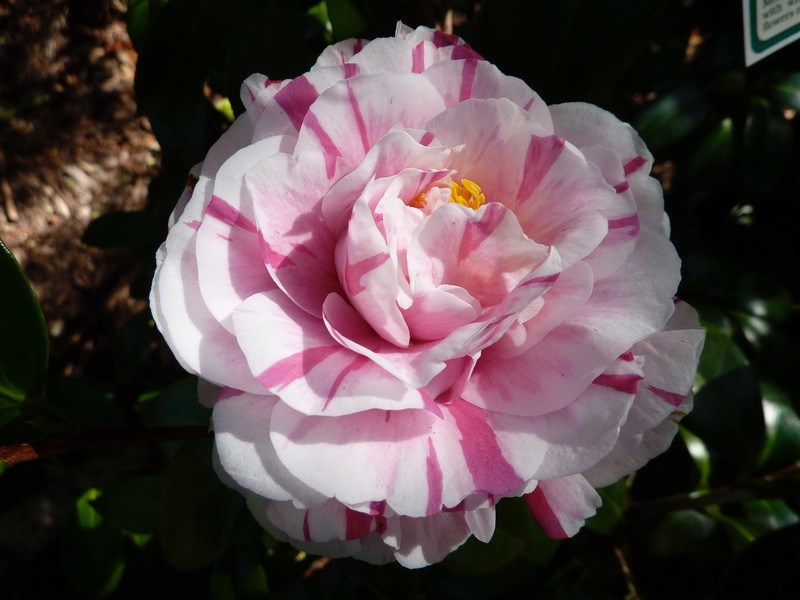 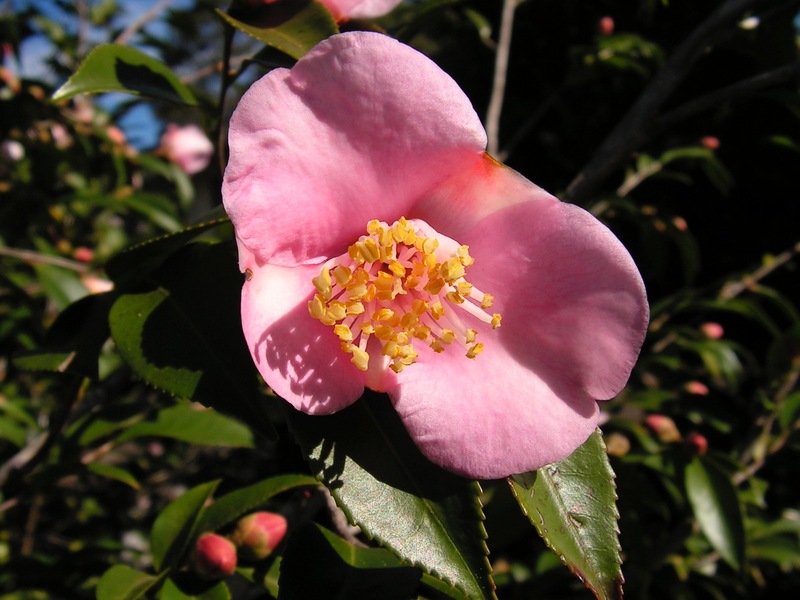 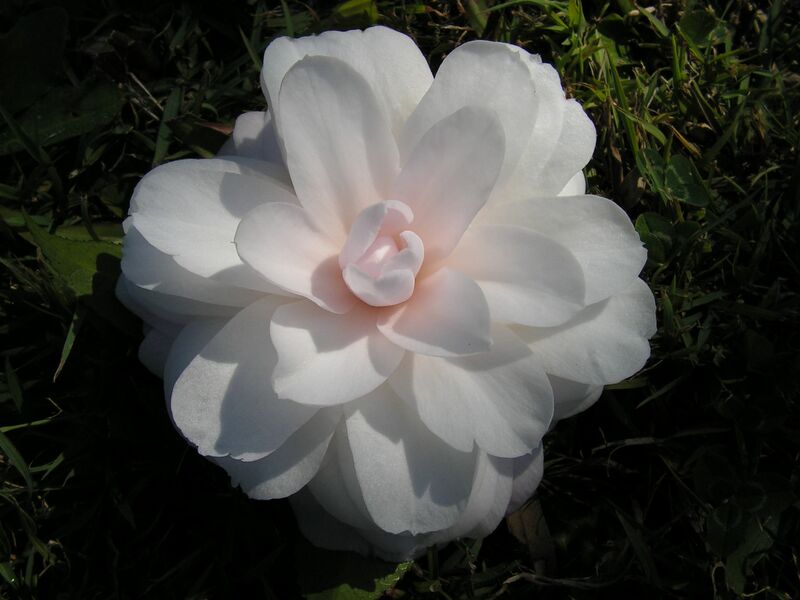 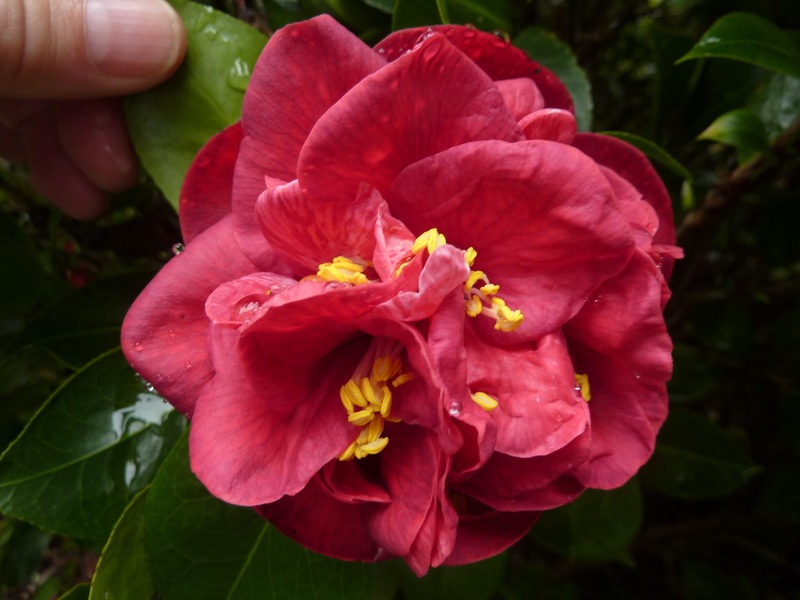 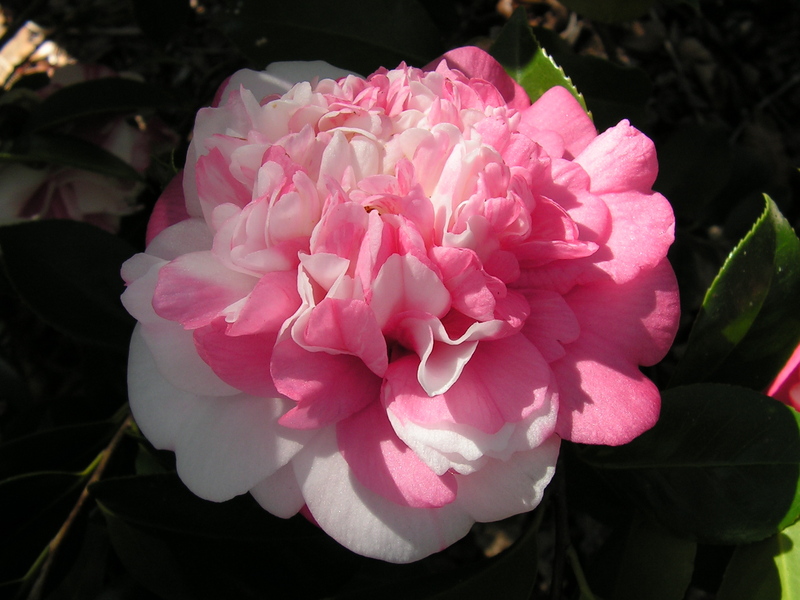 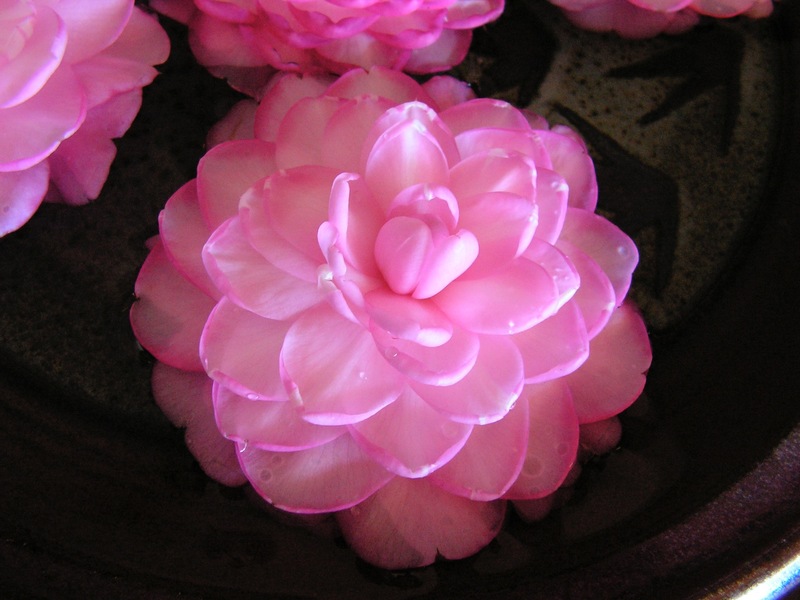 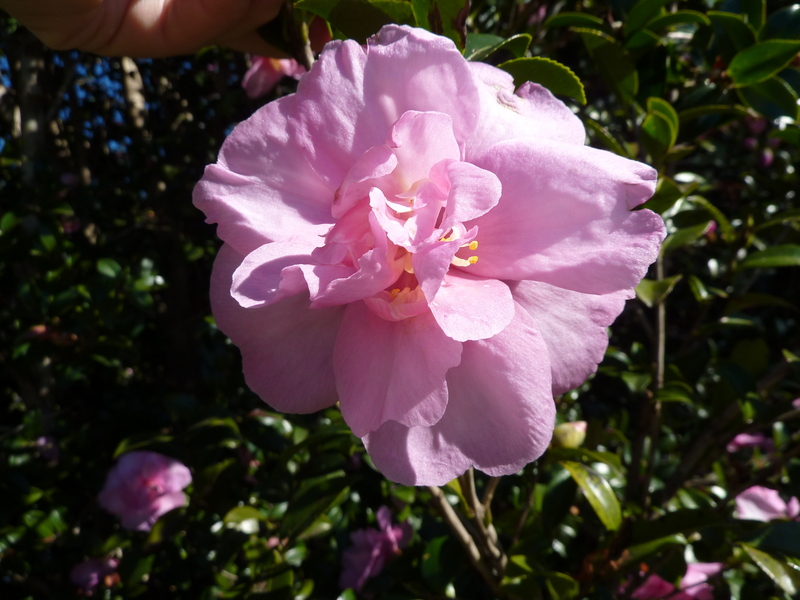 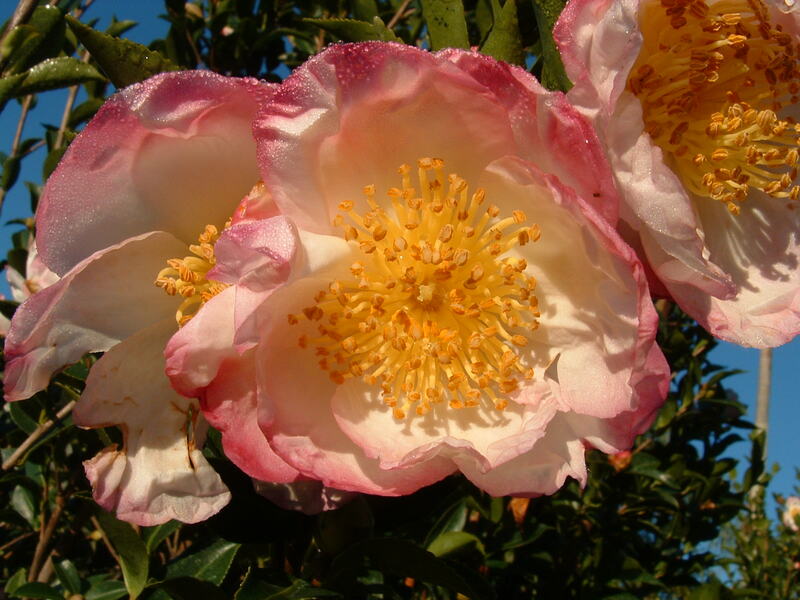 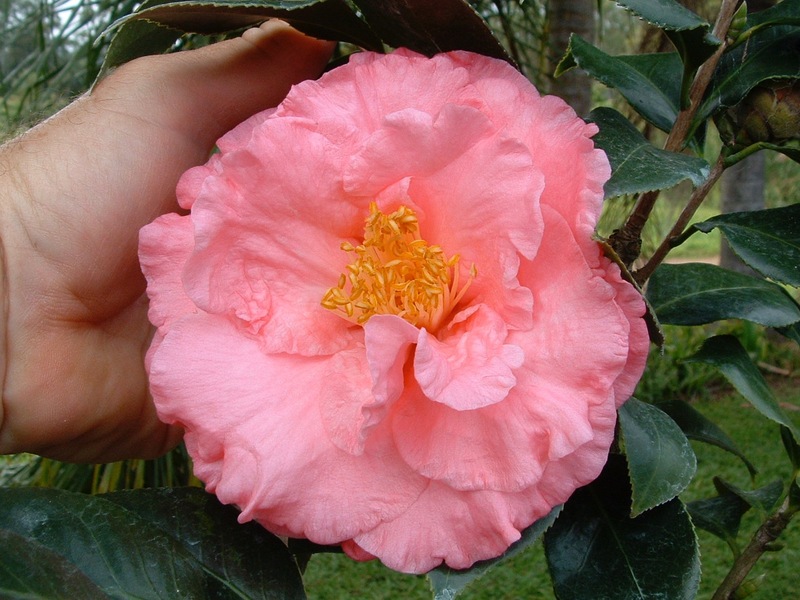 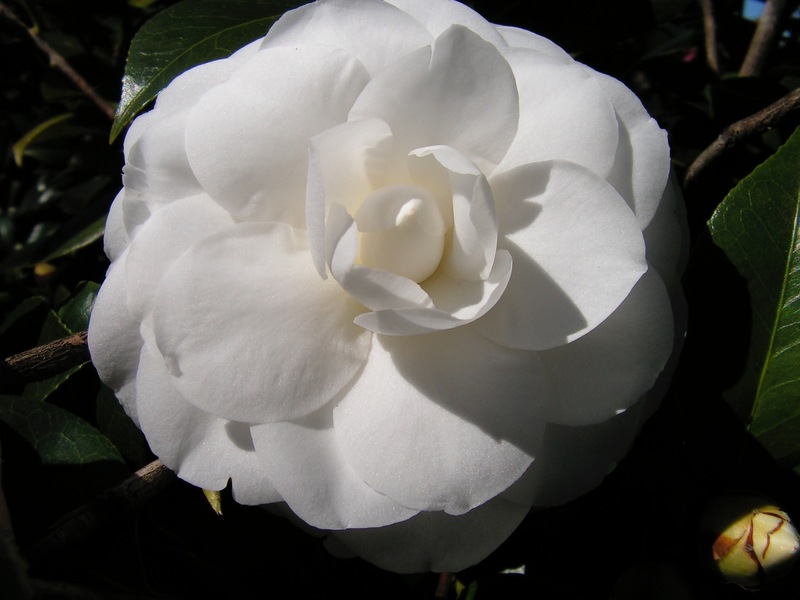 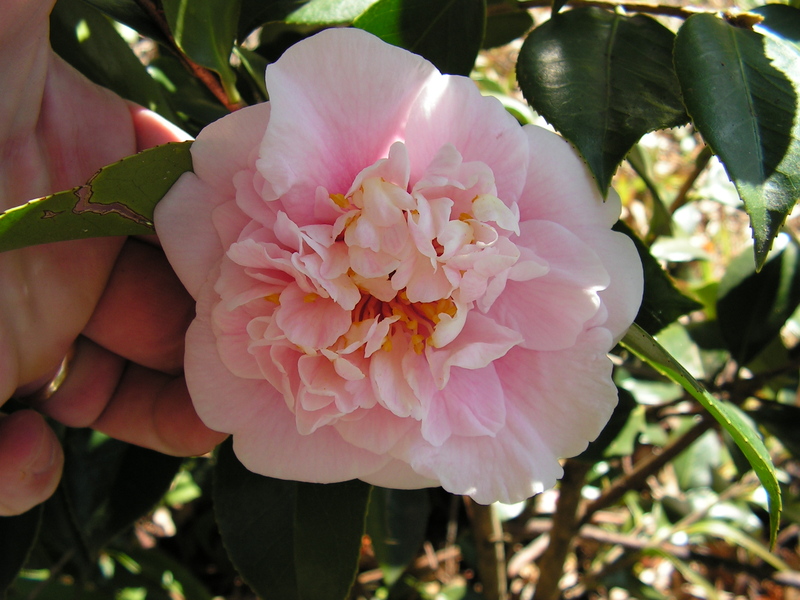 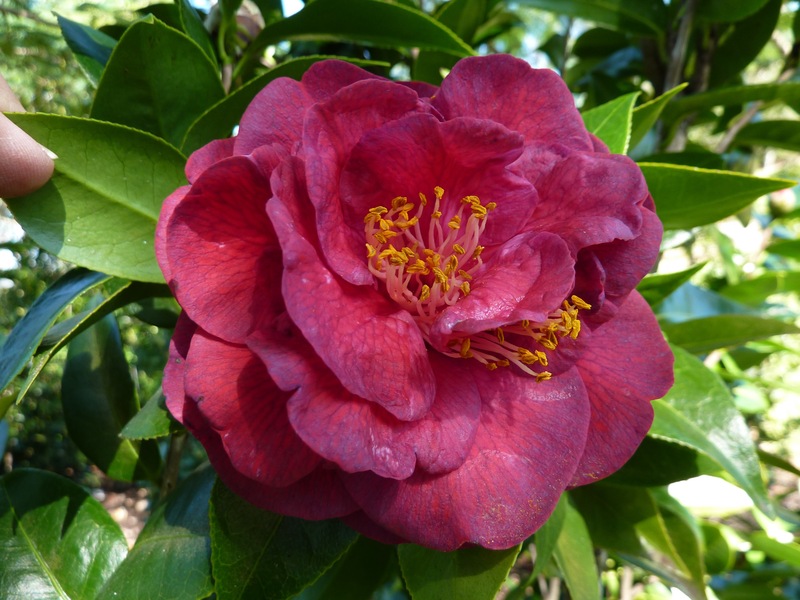 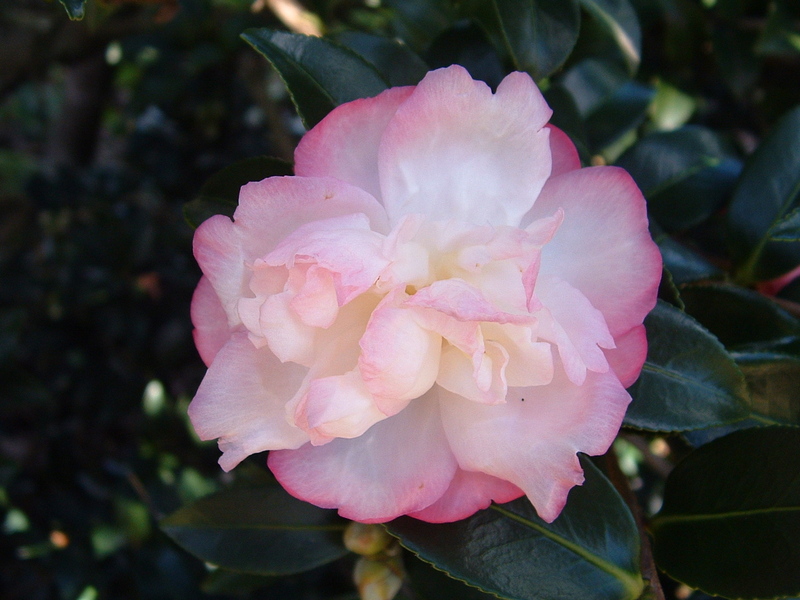 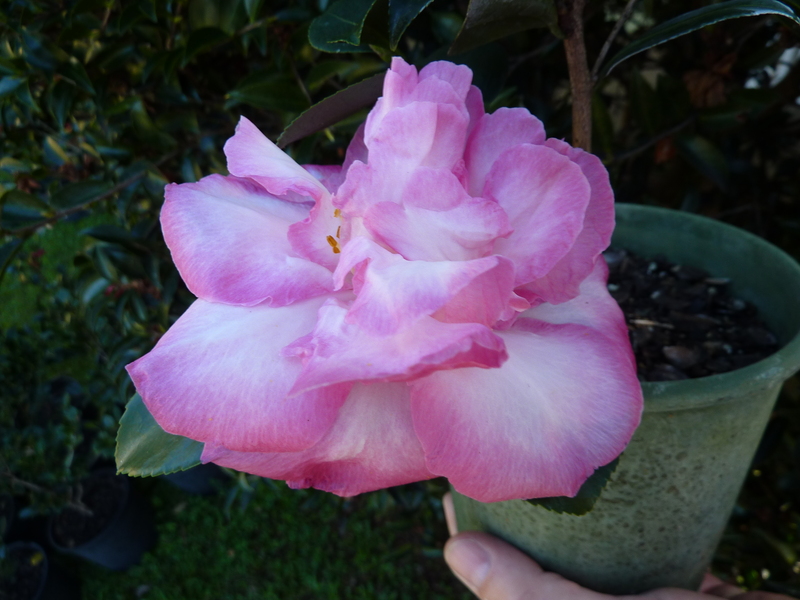 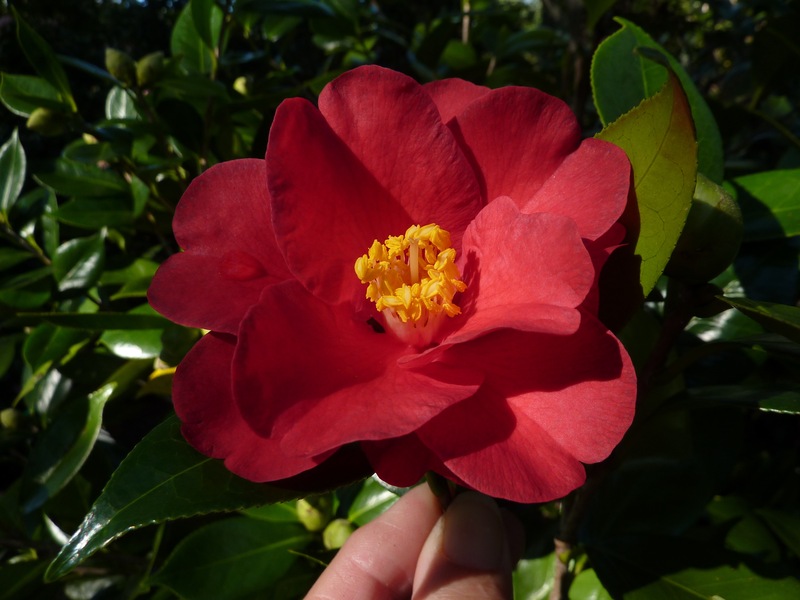 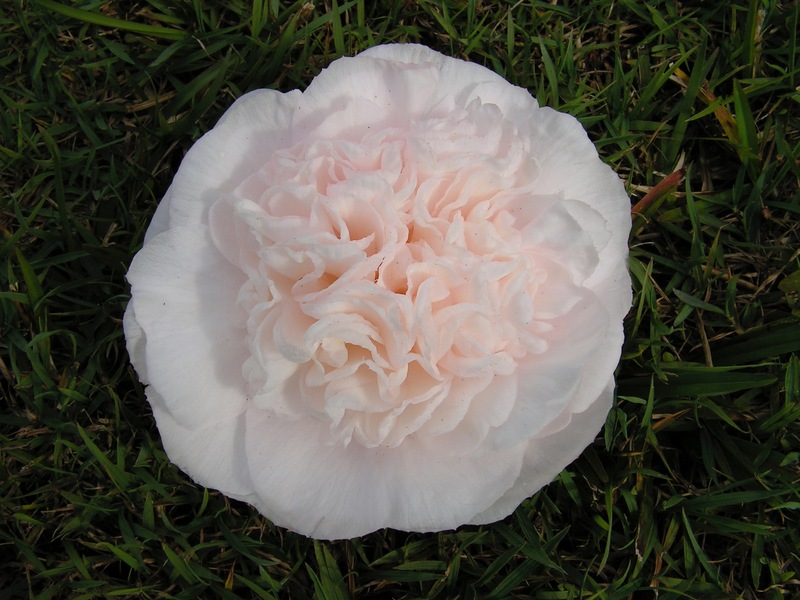 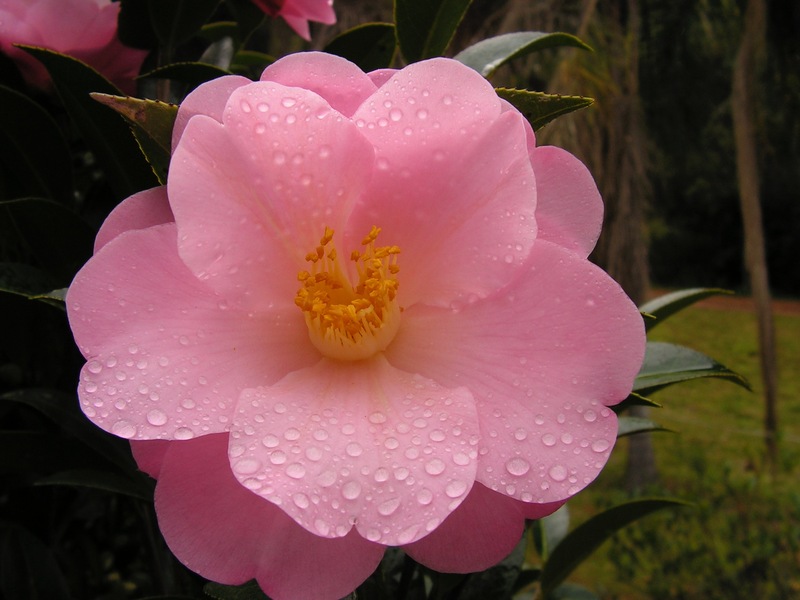 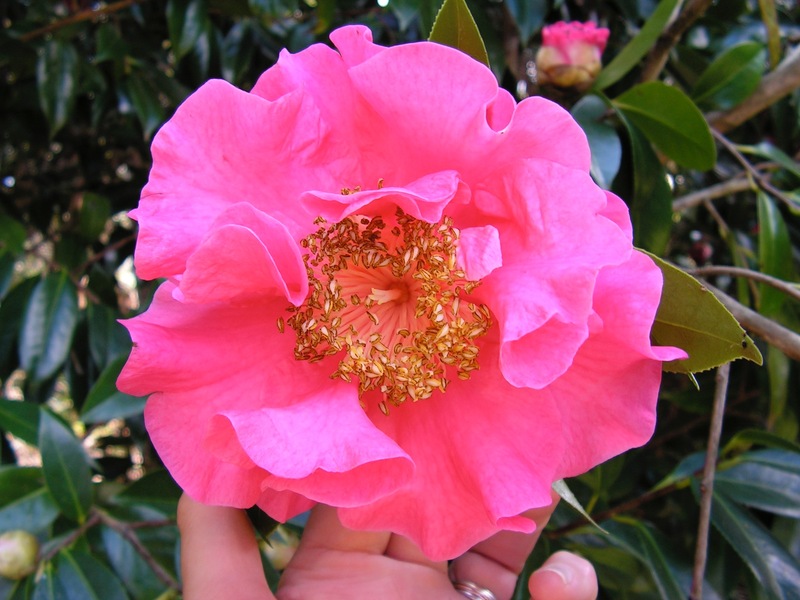 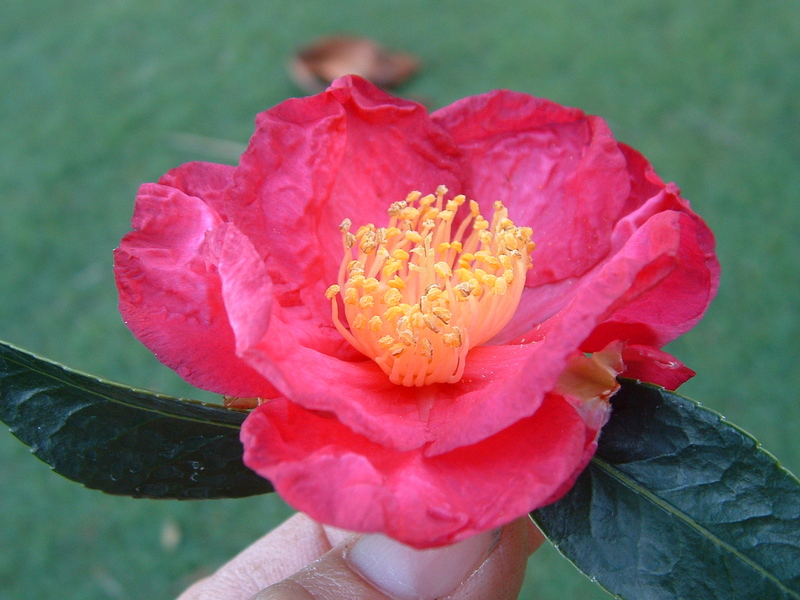 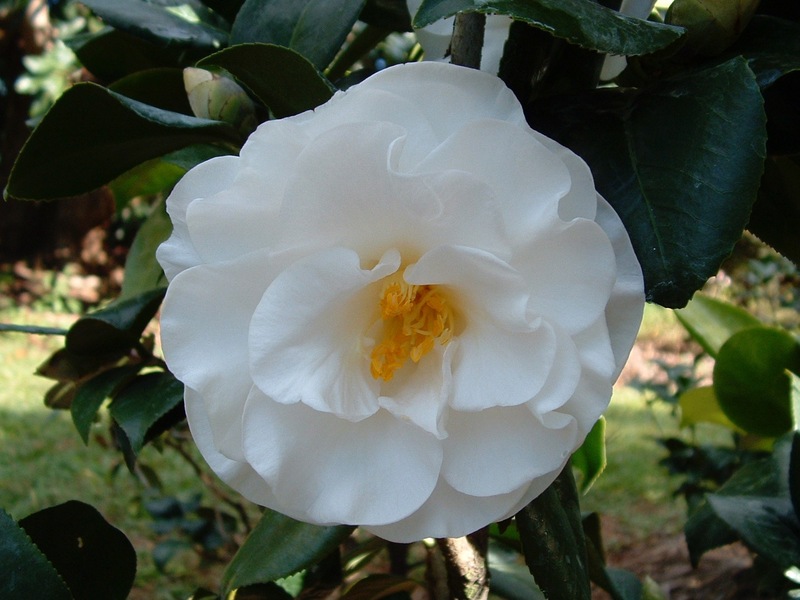 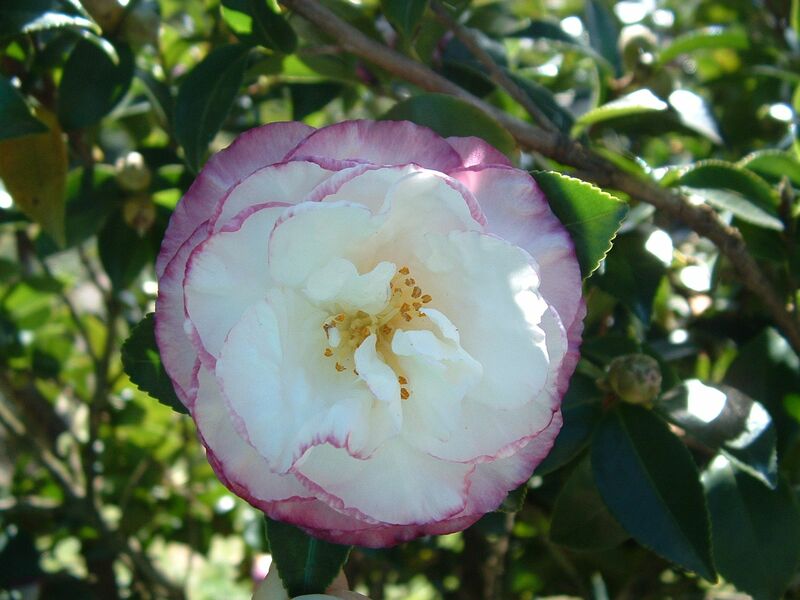 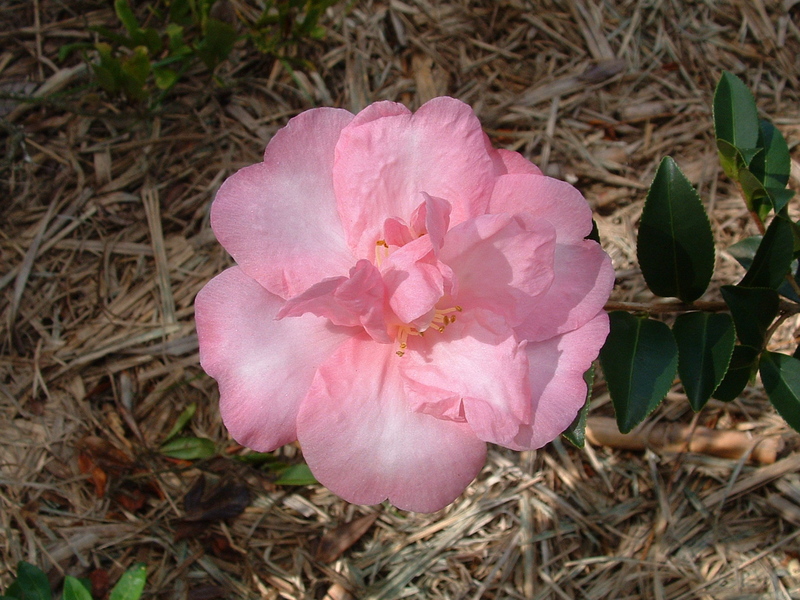 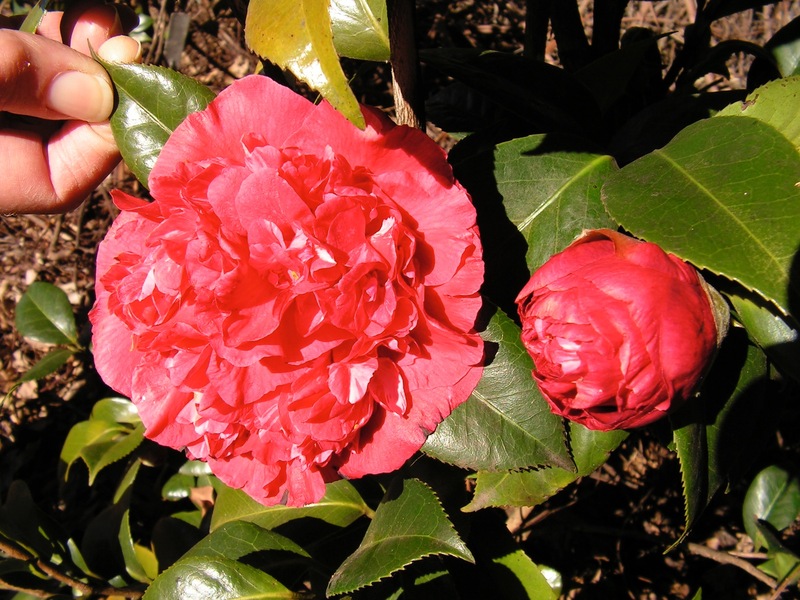 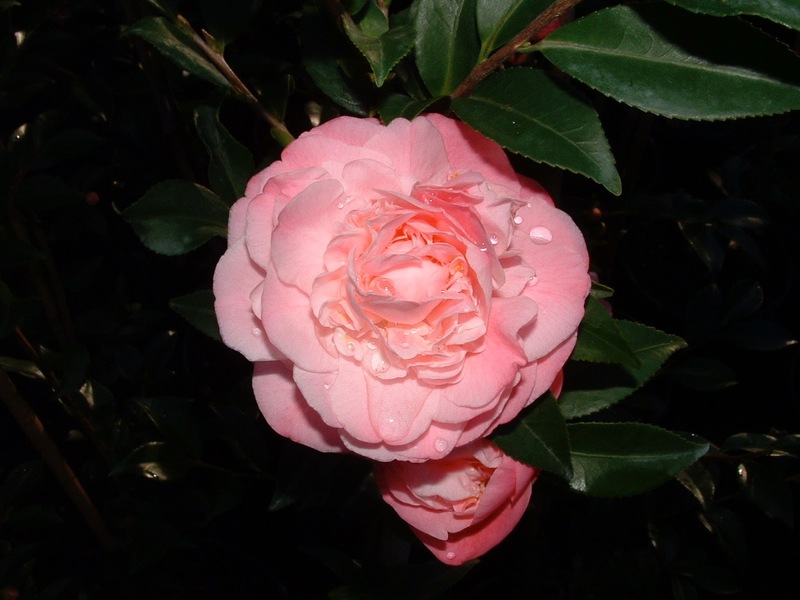 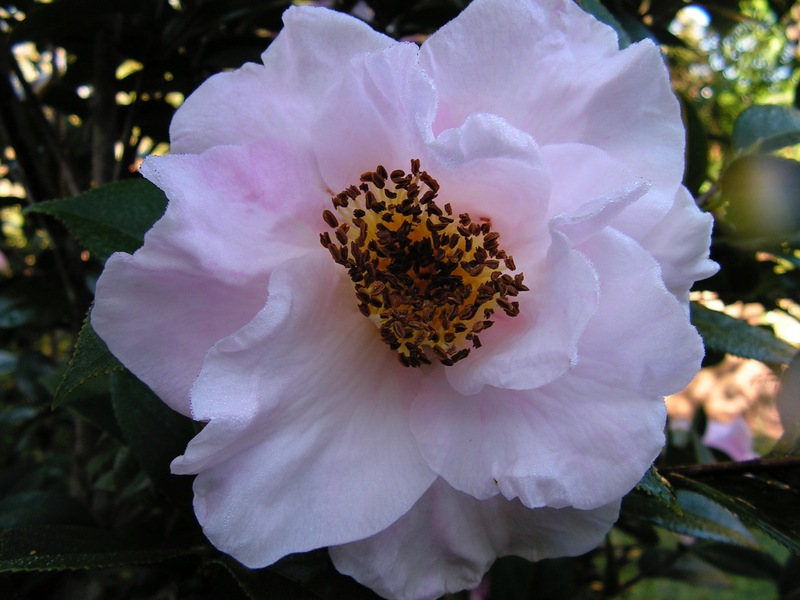 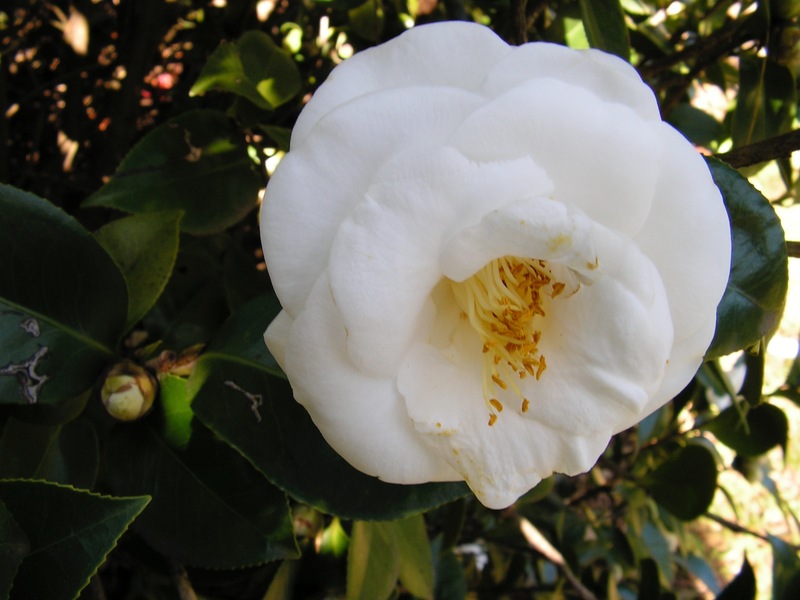 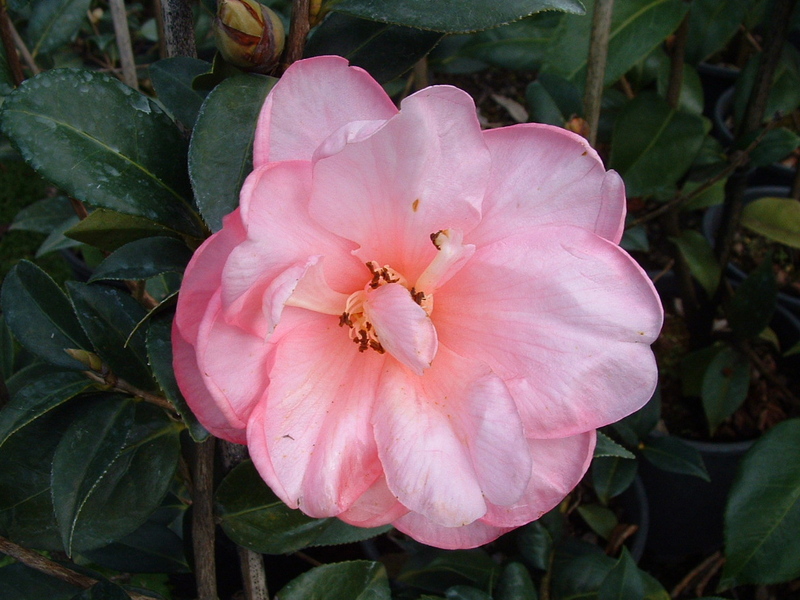 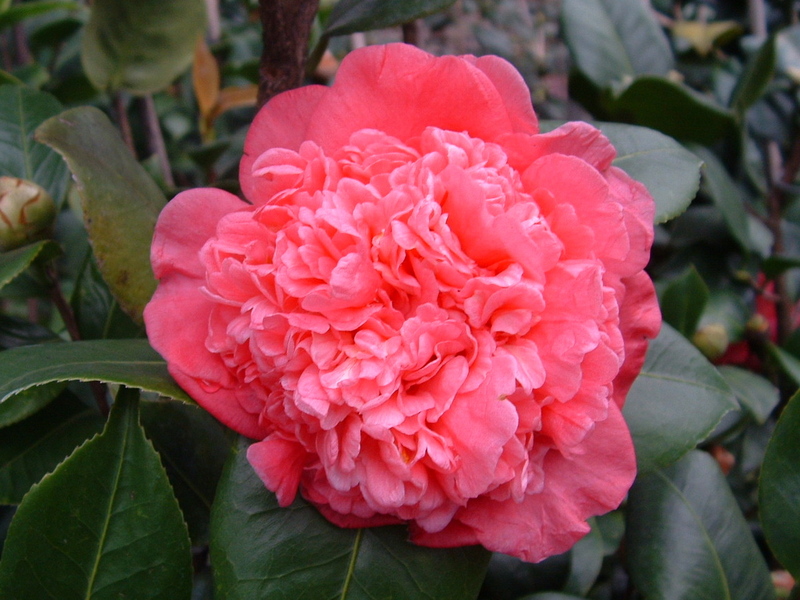 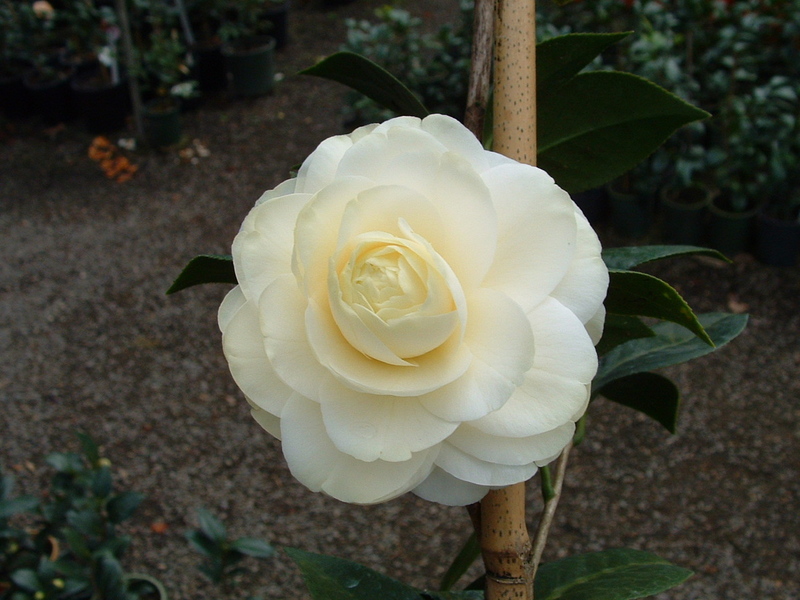 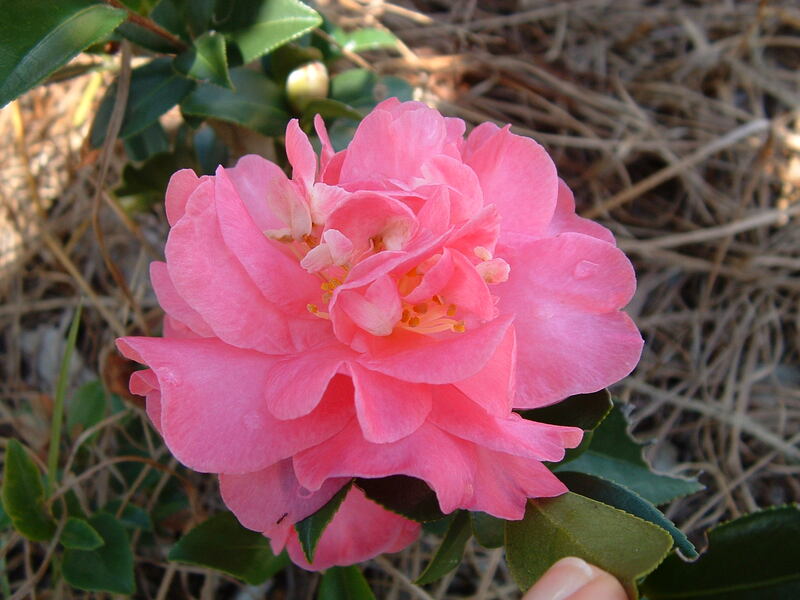 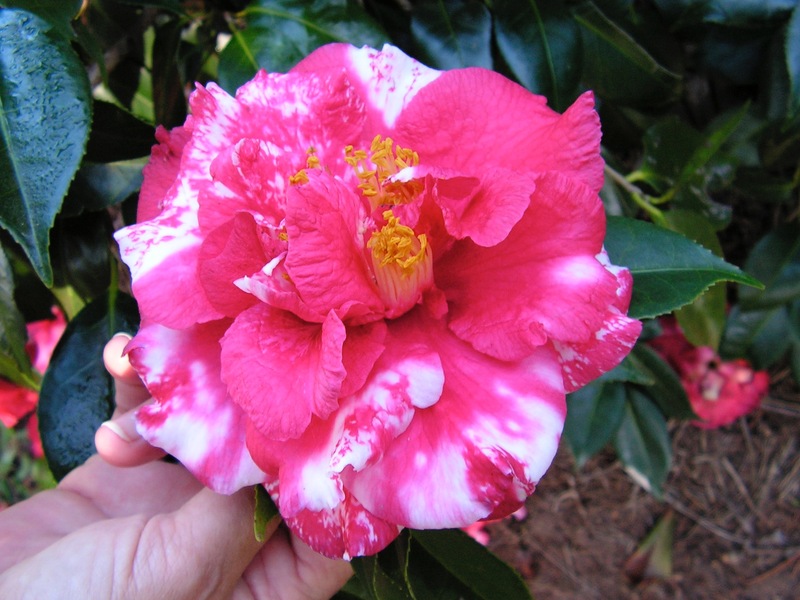 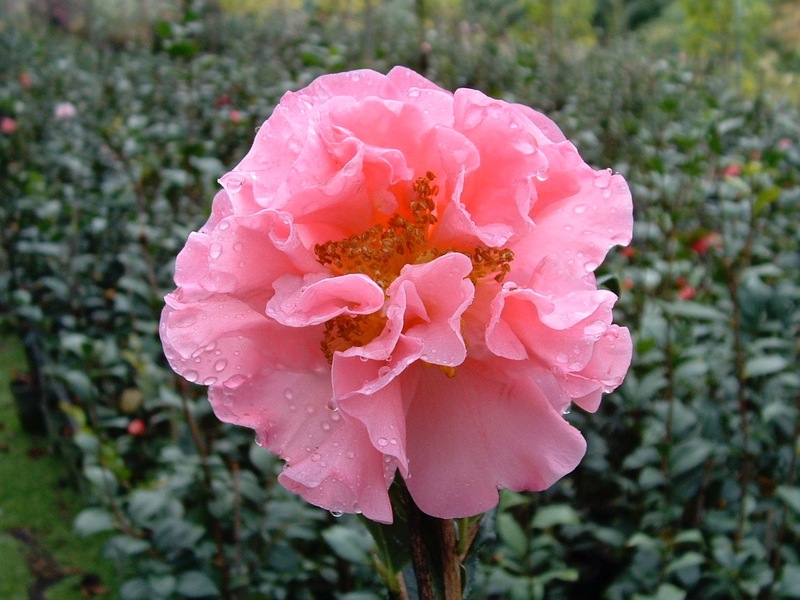 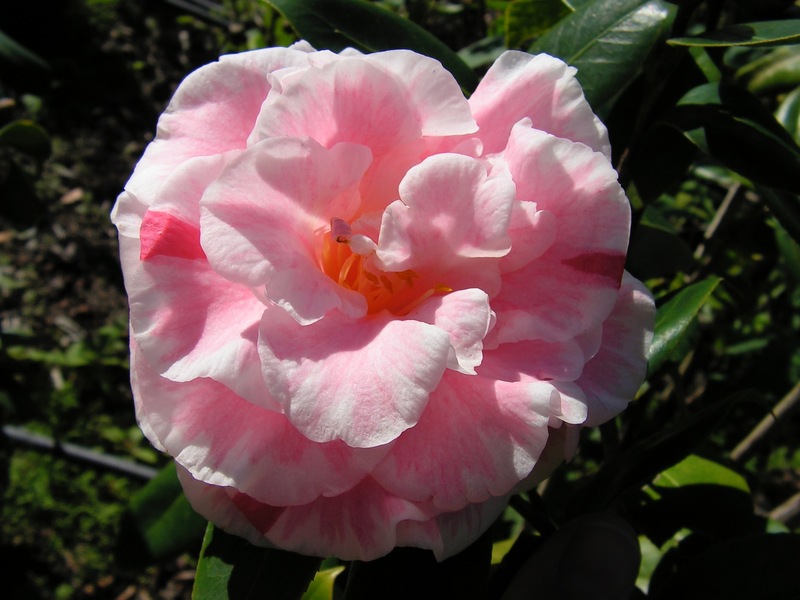 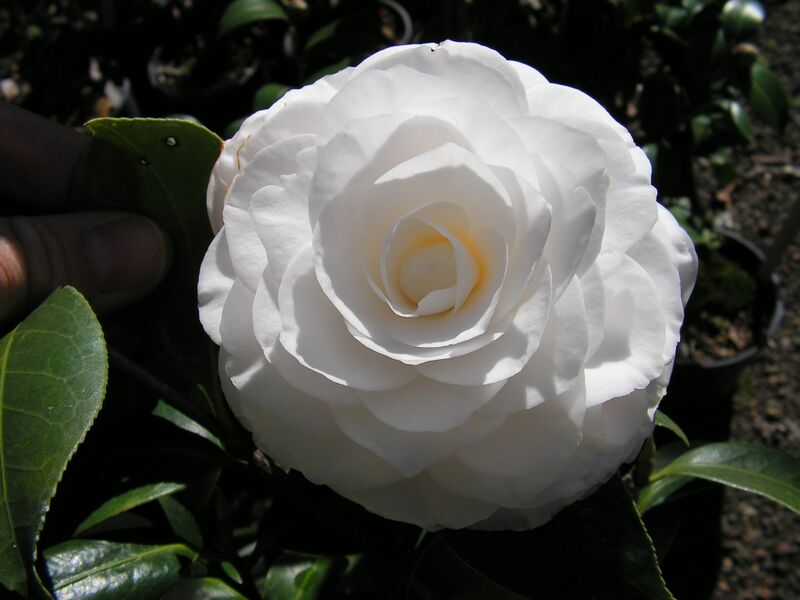 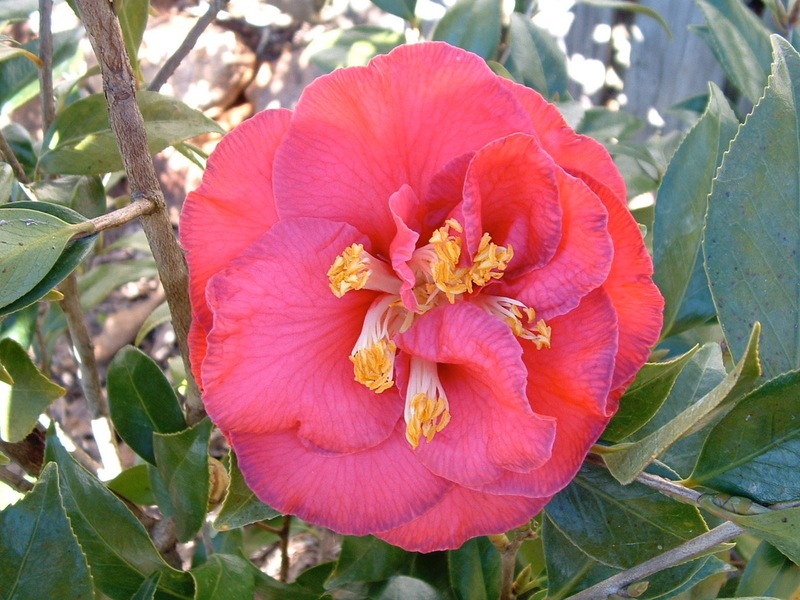 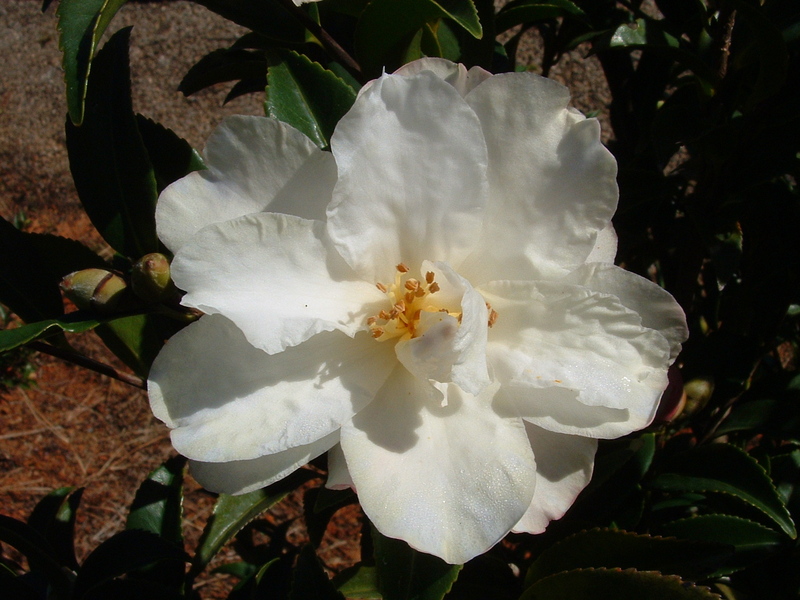 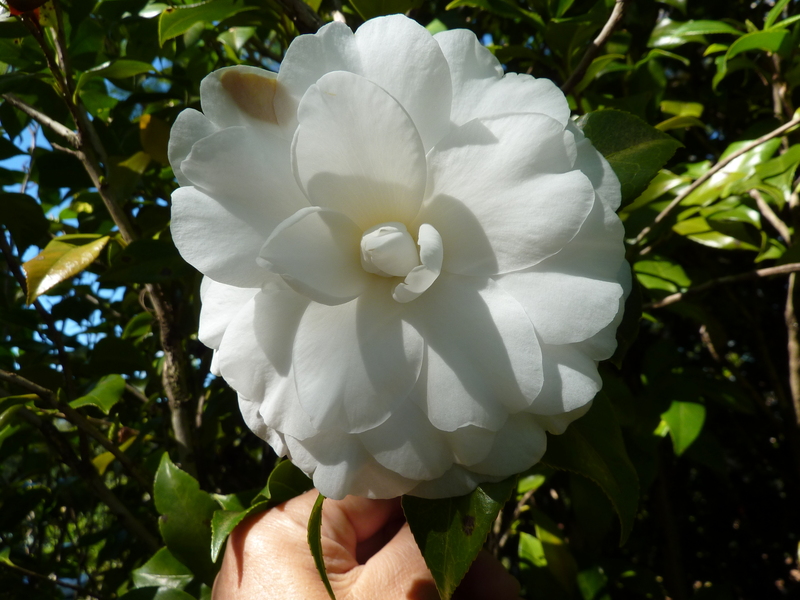 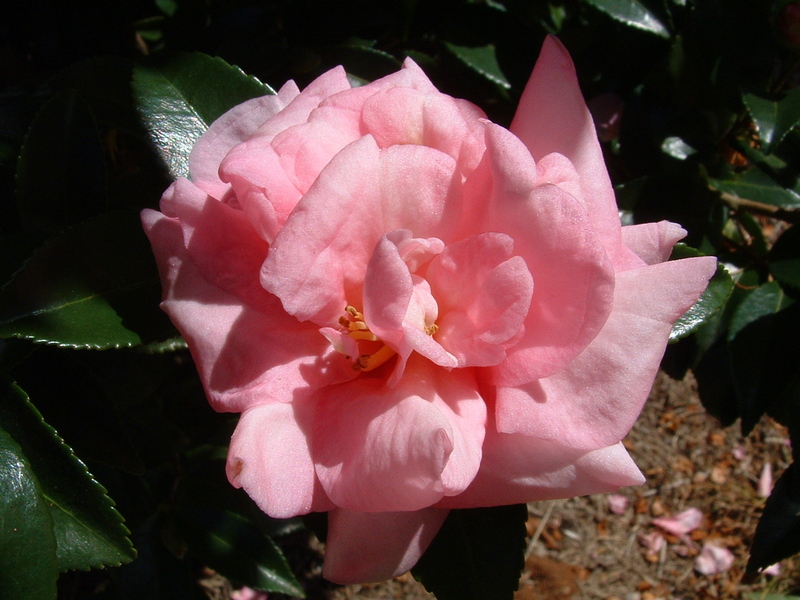 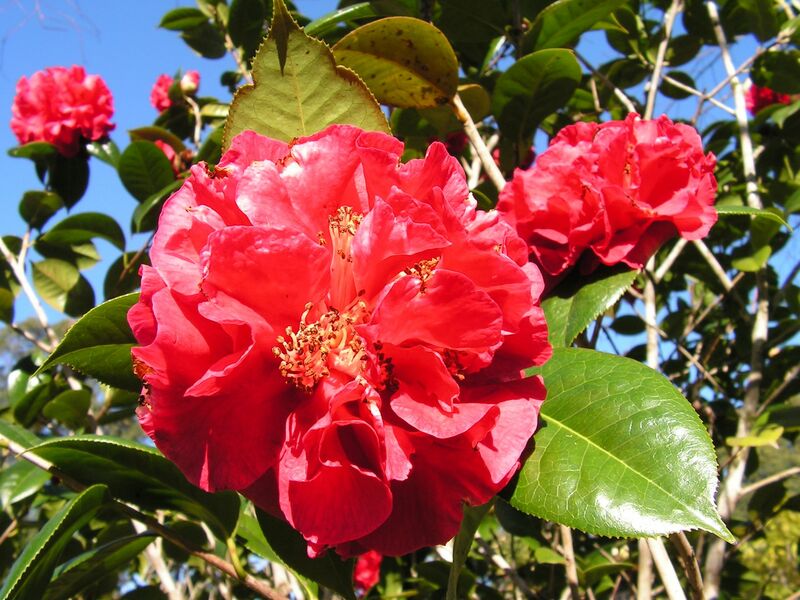 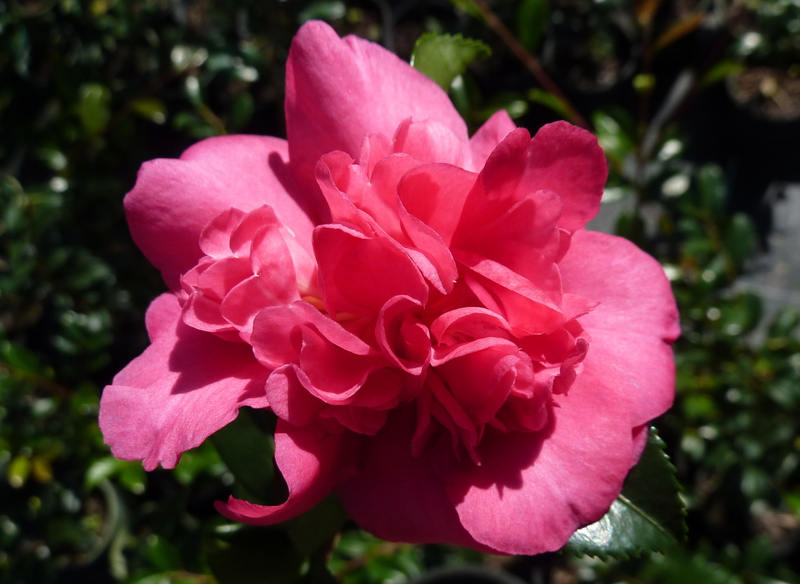 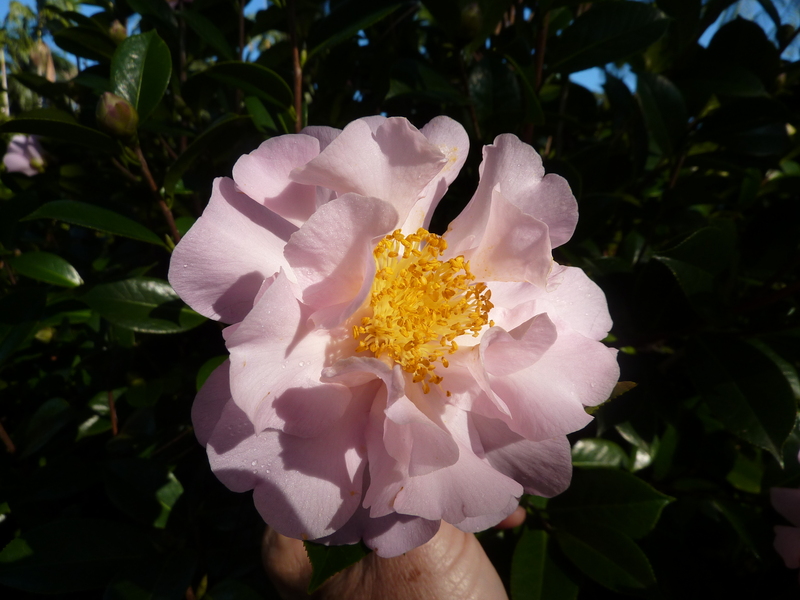 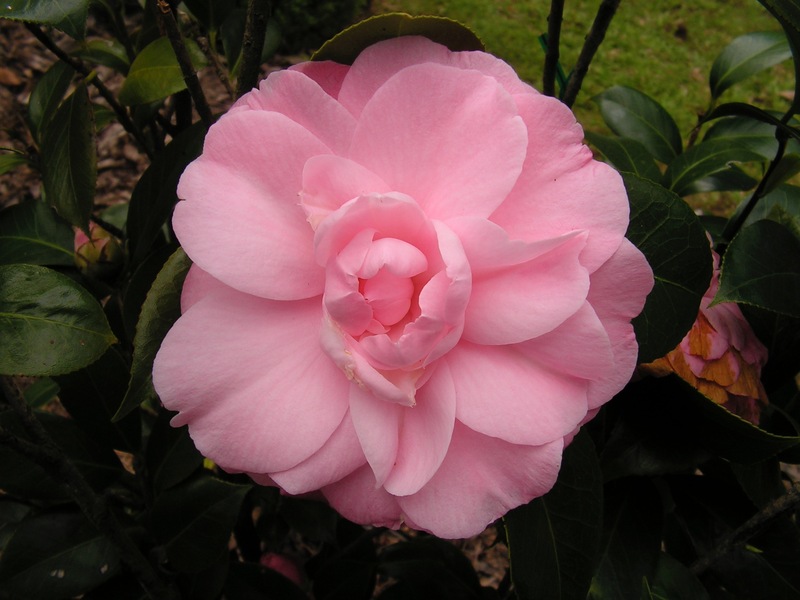 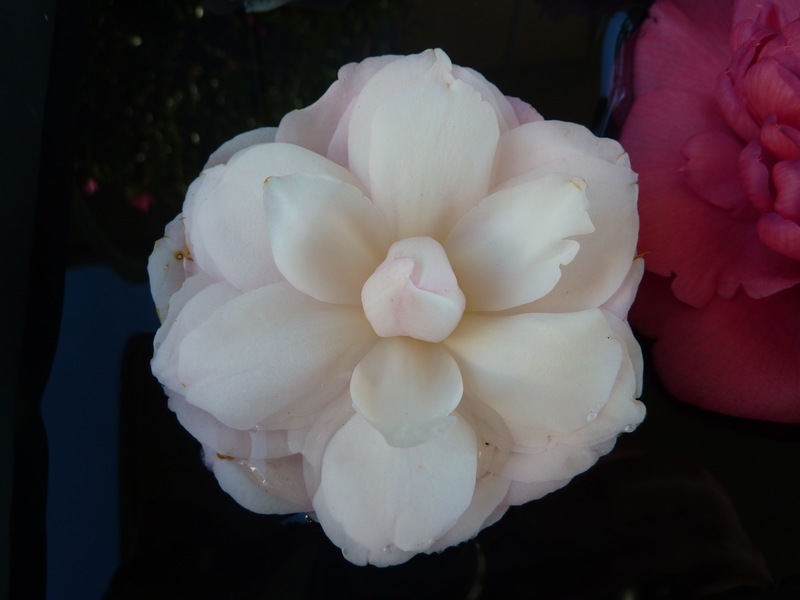 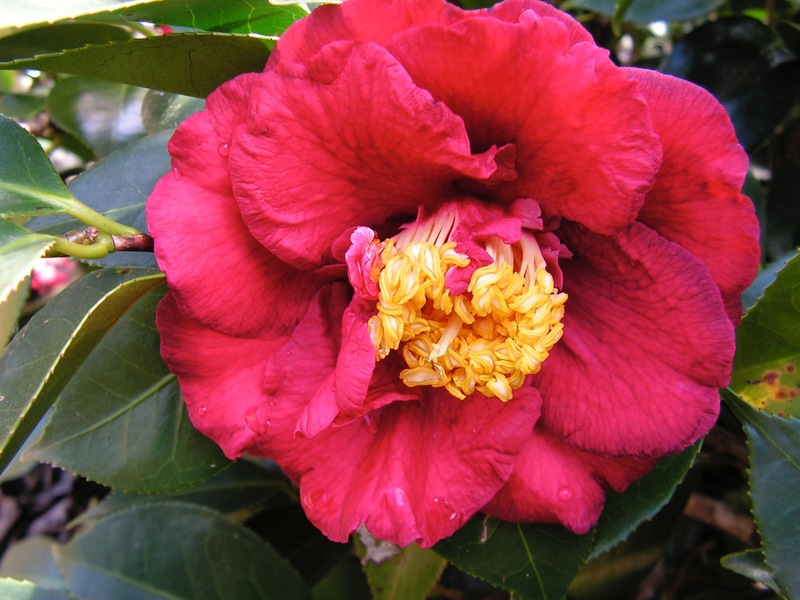 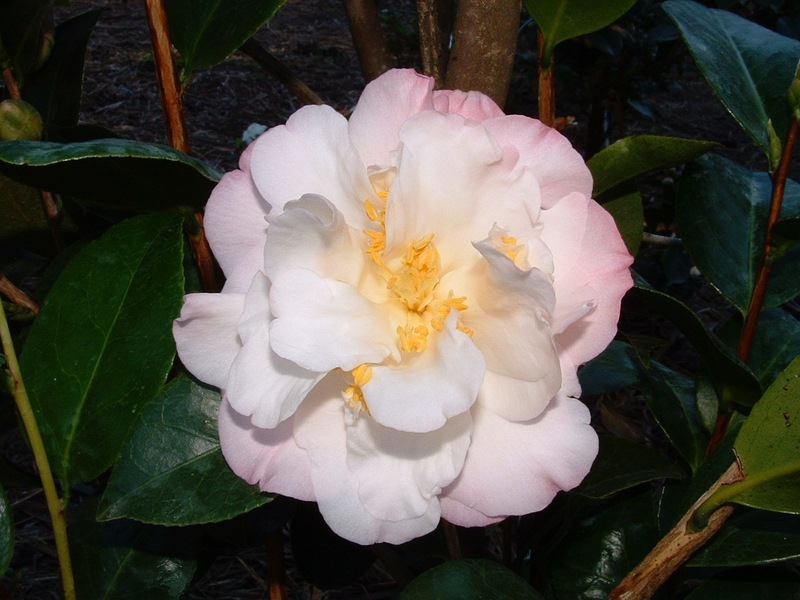 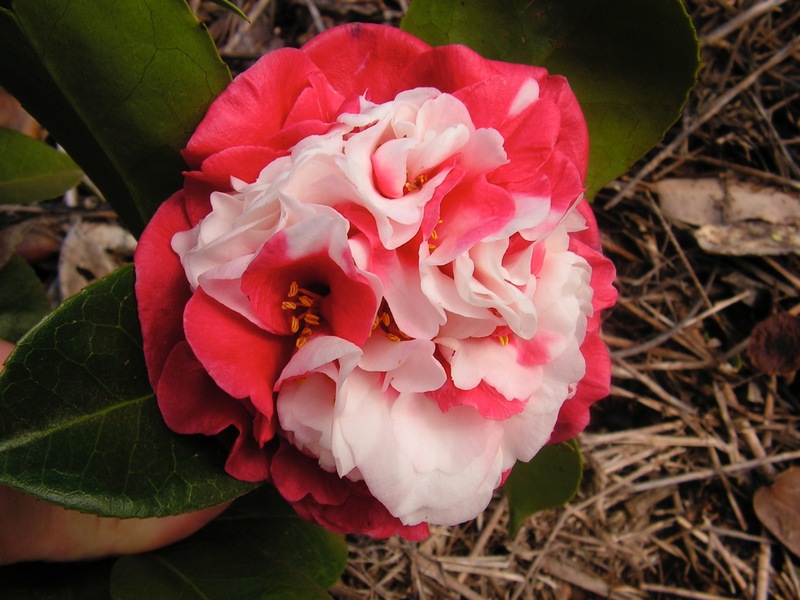 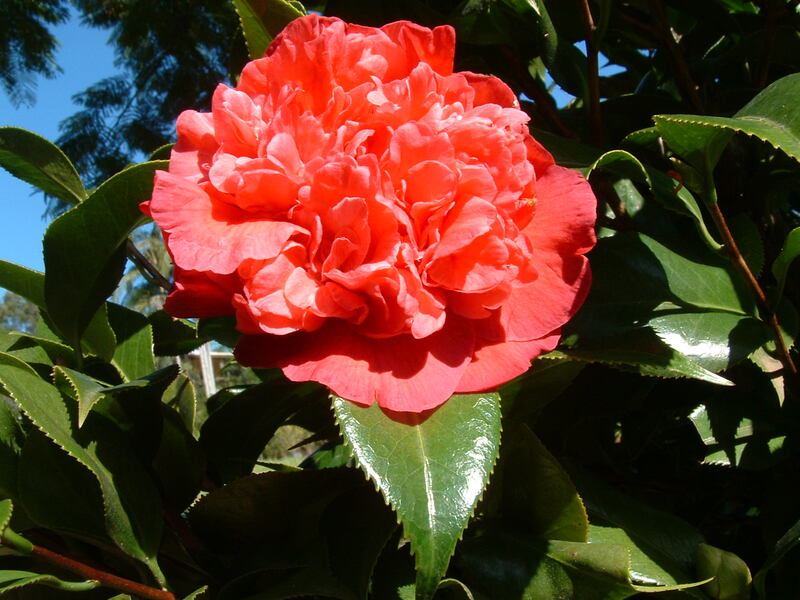 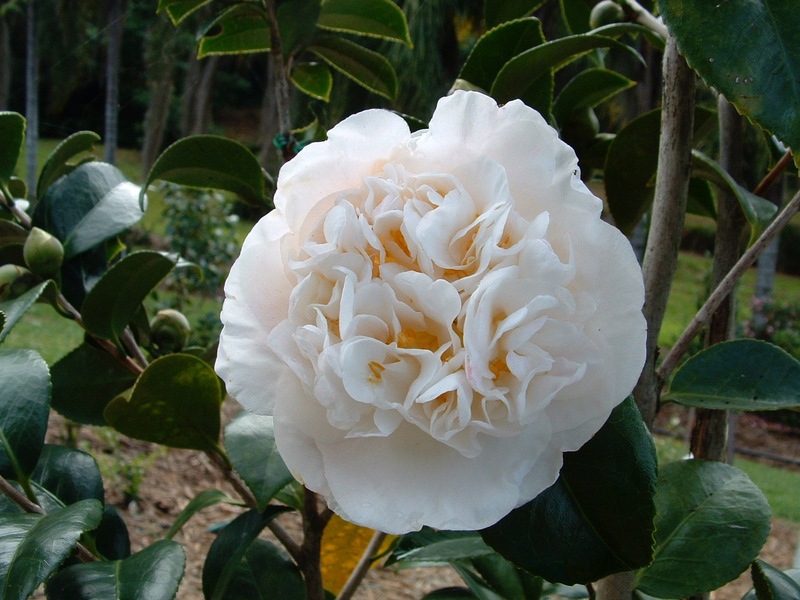 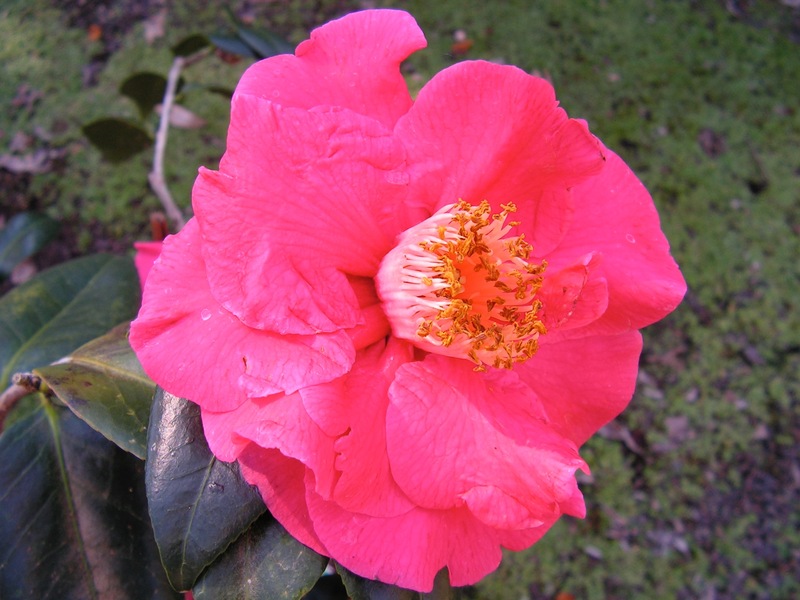 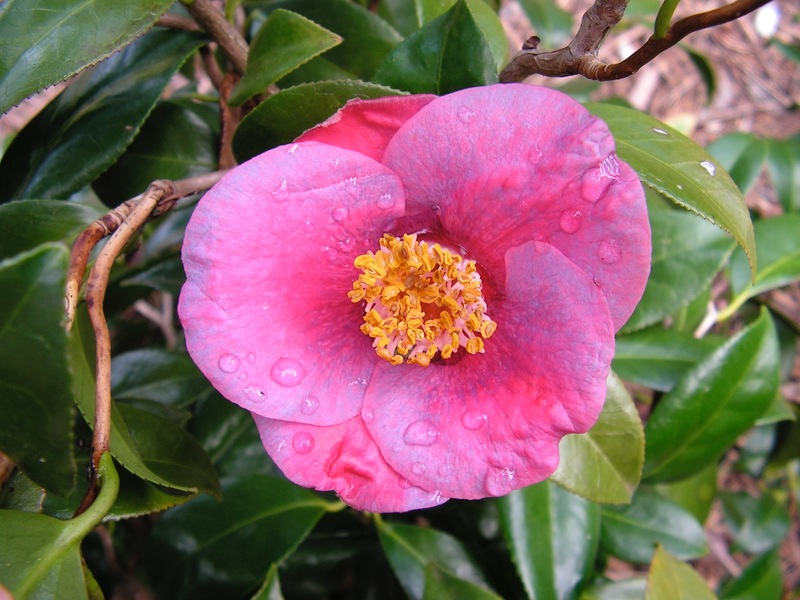 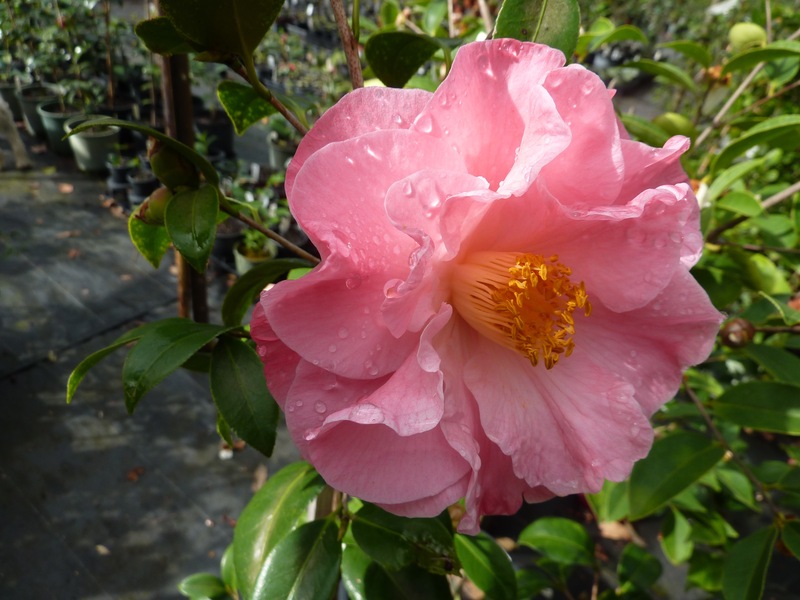 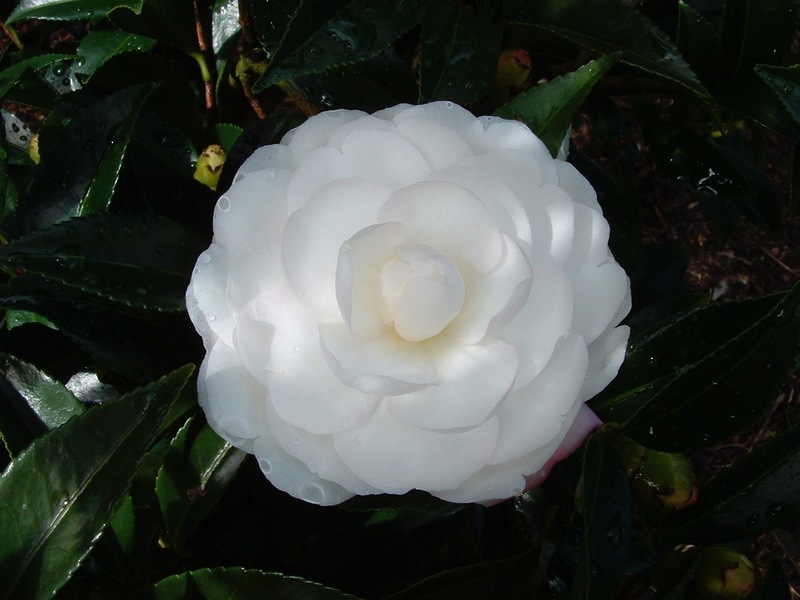 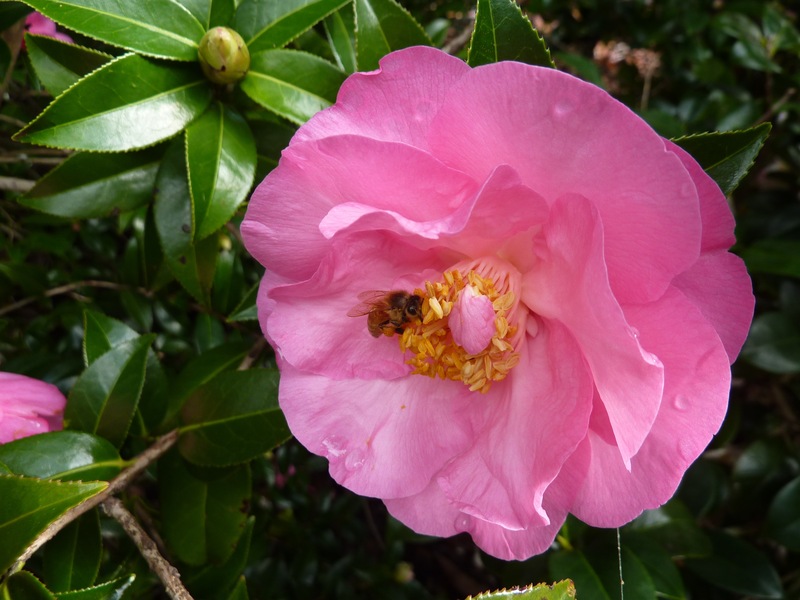 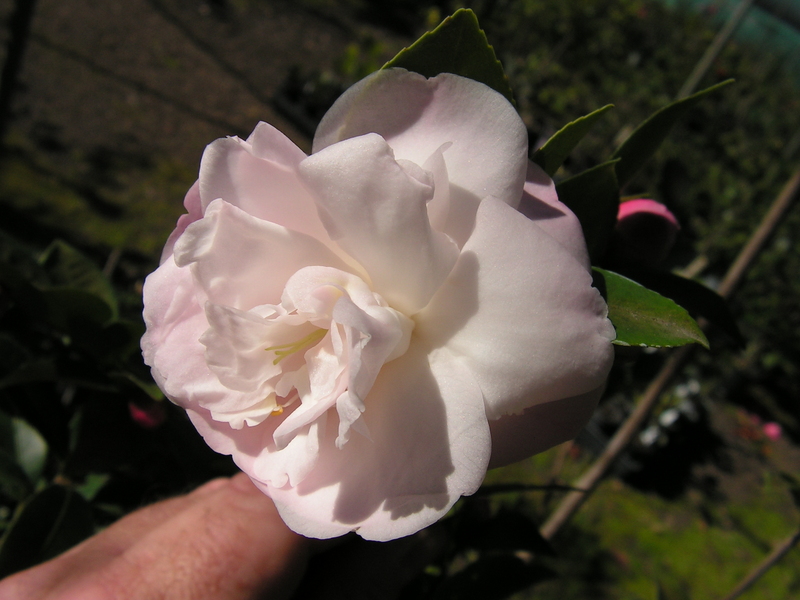 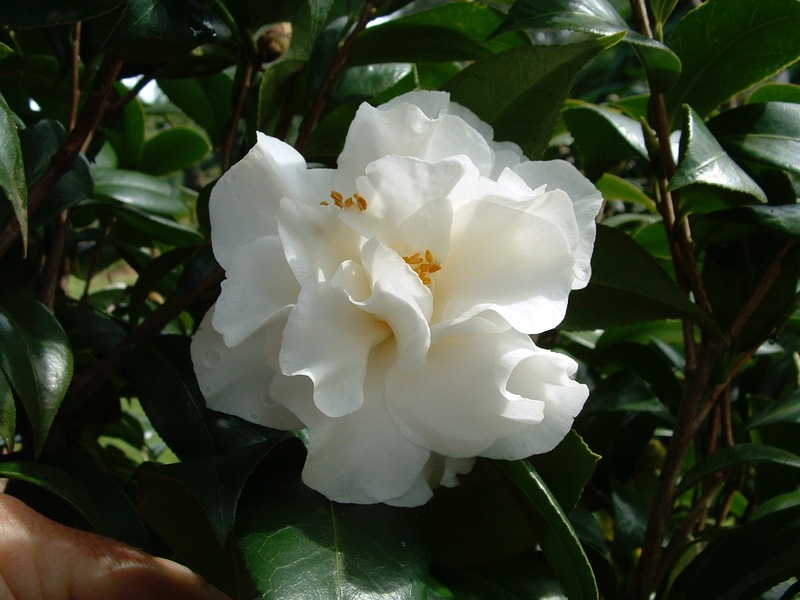 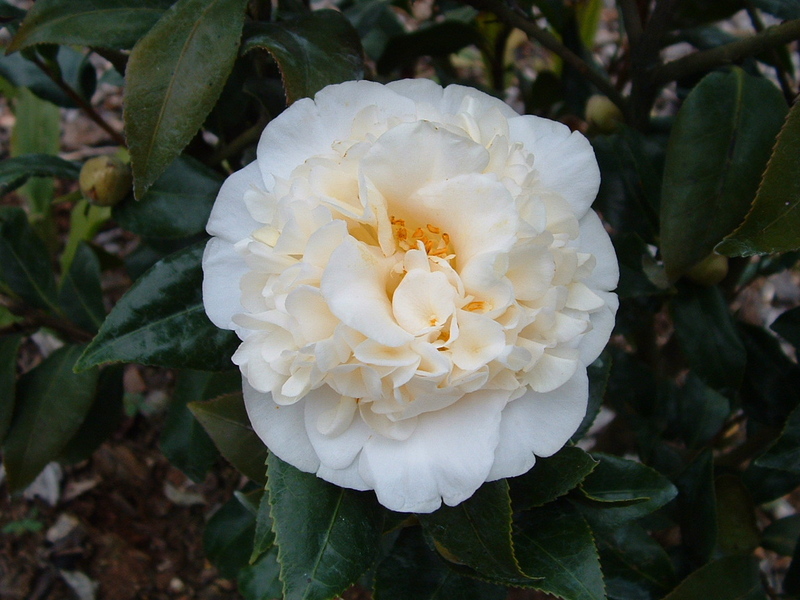 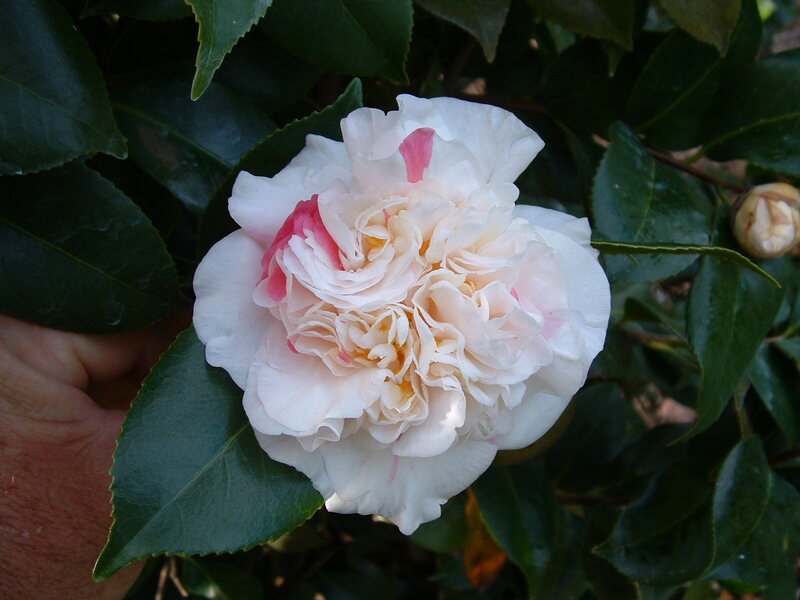 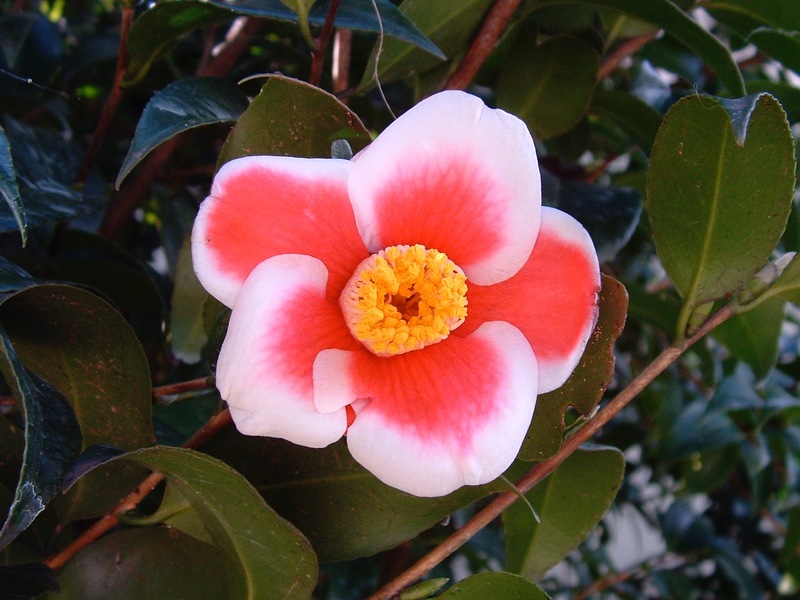 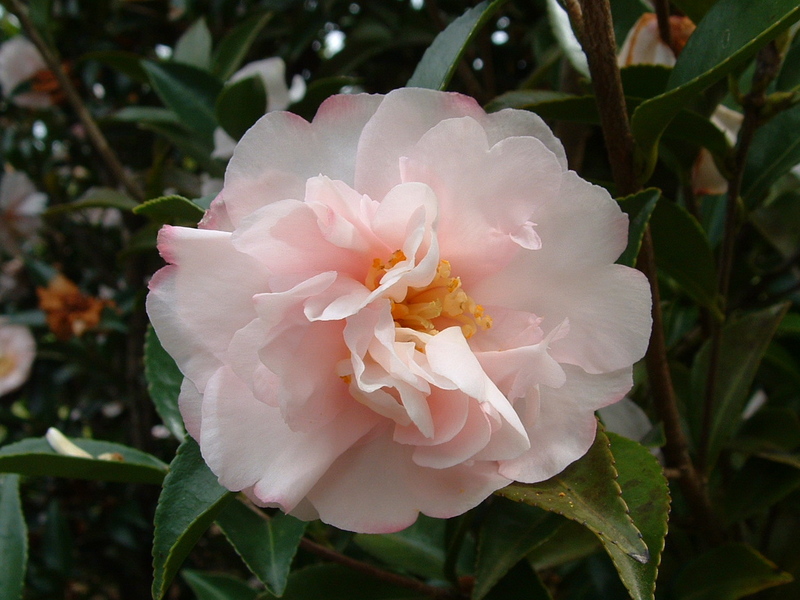 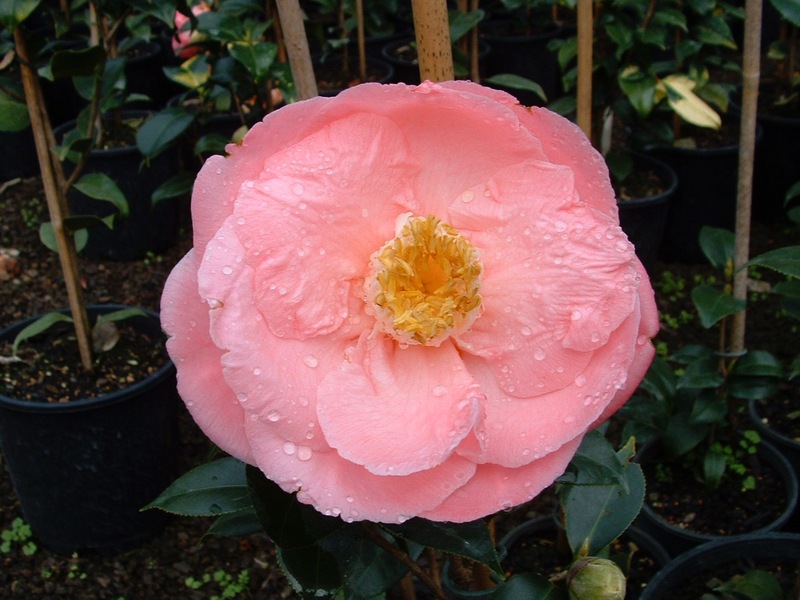 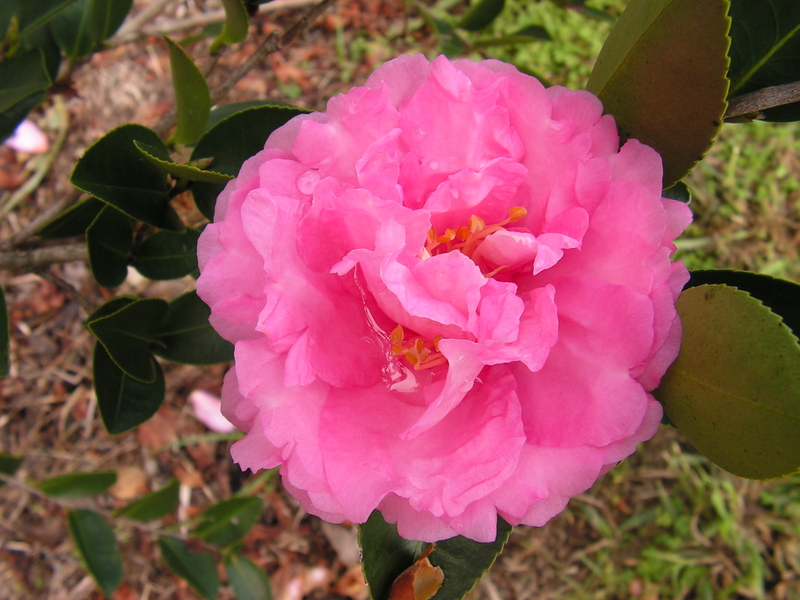 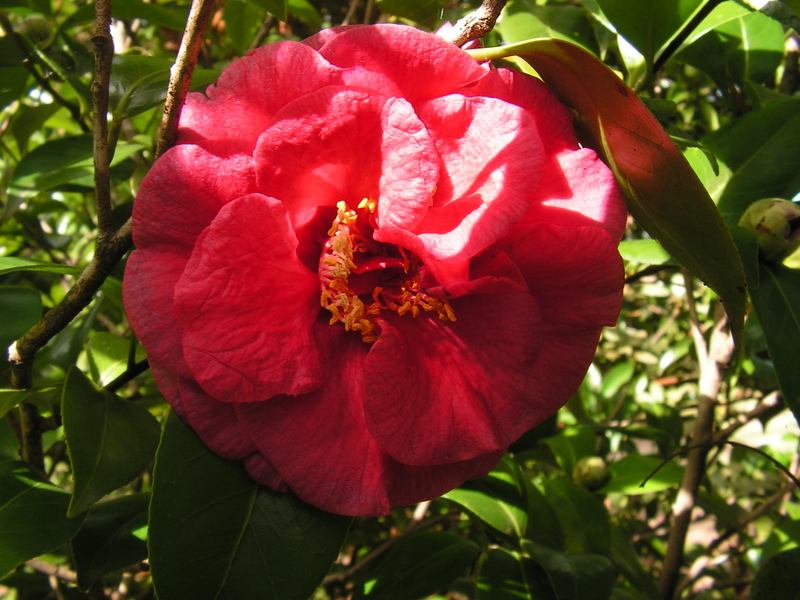 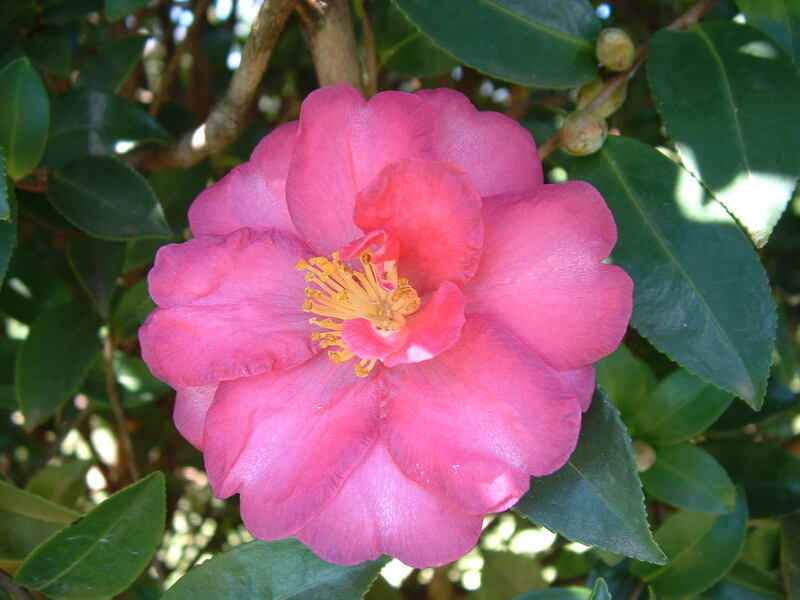 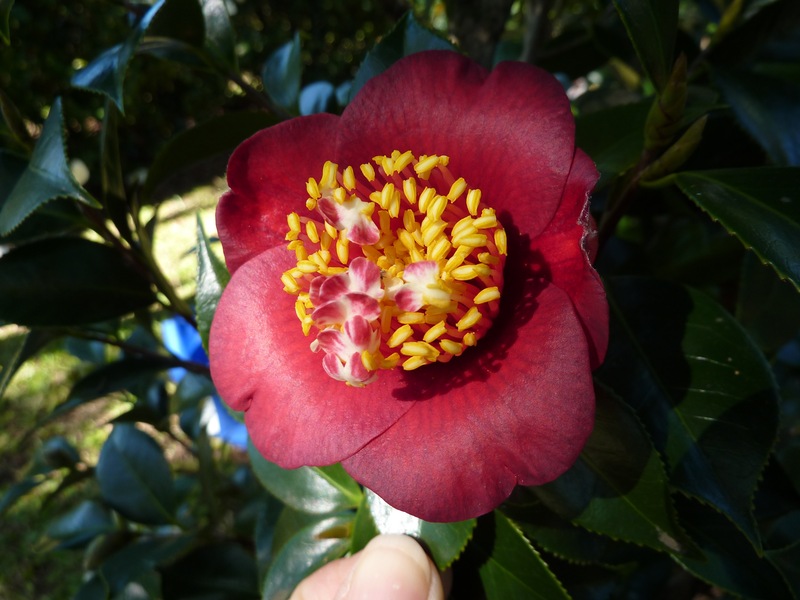 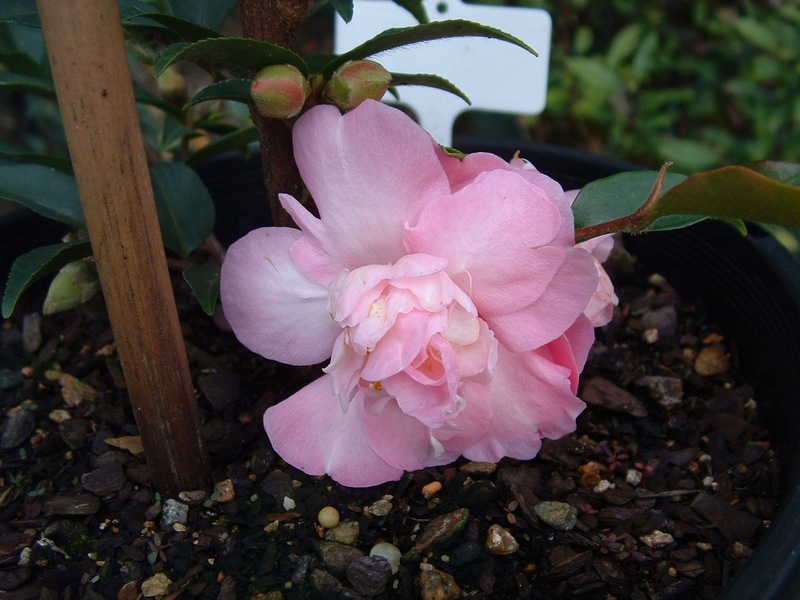 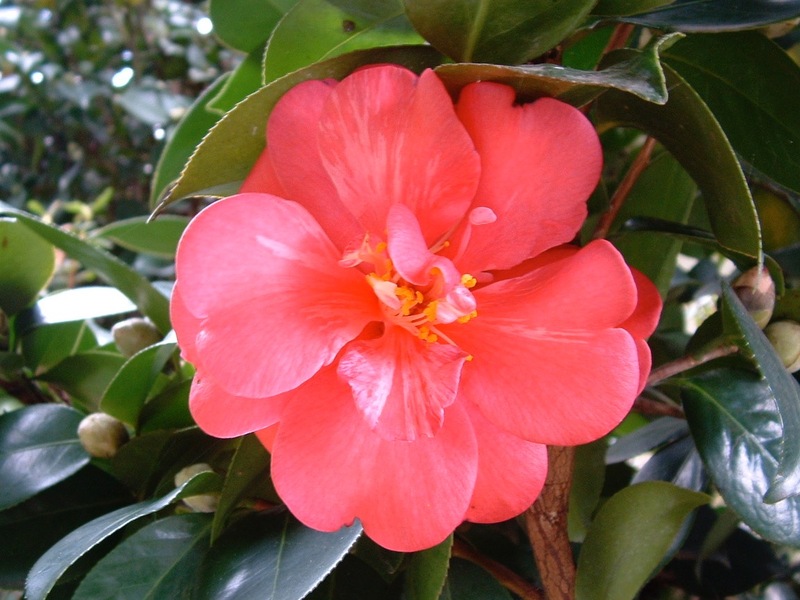 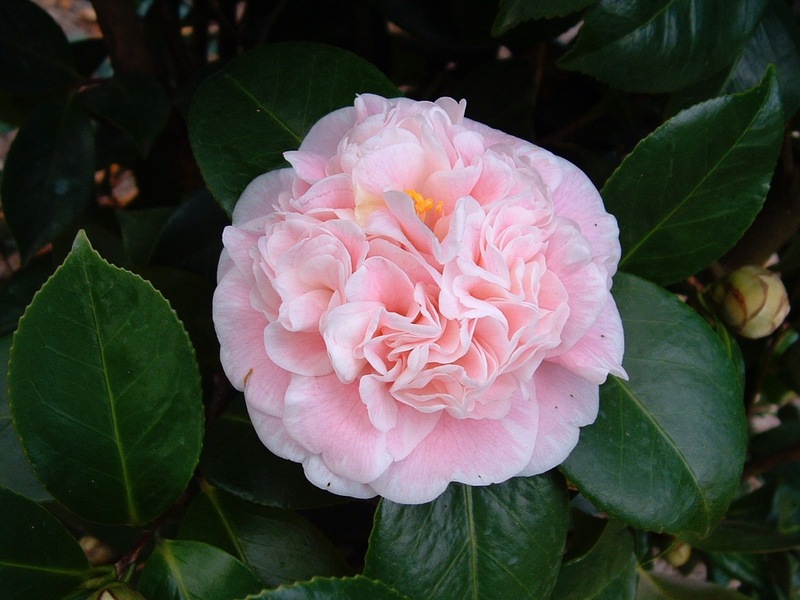 Here is a listing of our Camellias. 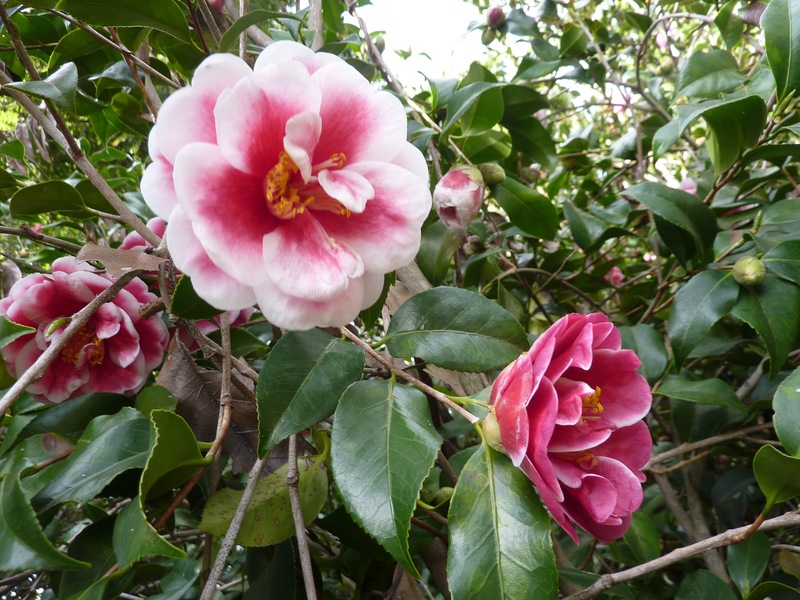 With only a couple of exceptions, we have at least one of all of these growing in our gardens. 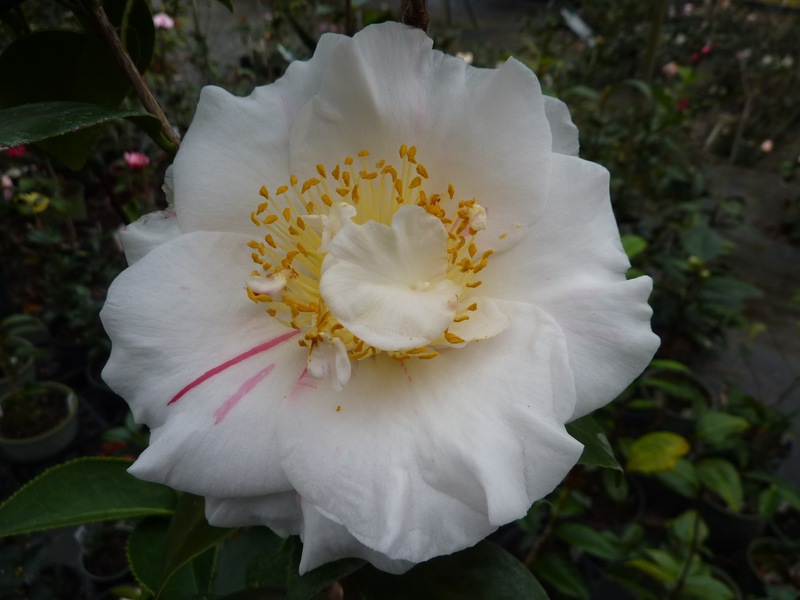 We have many of these in stock for sale as well. 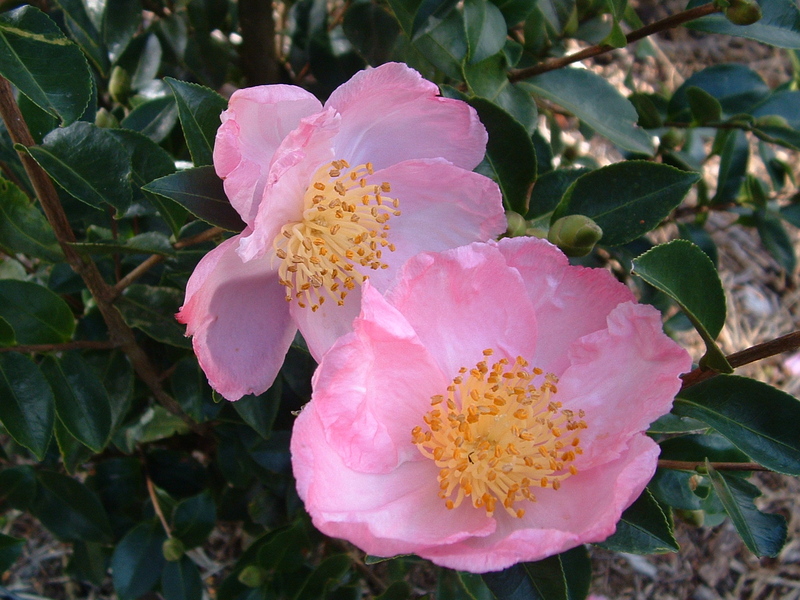 Full sun tolerant, smaller leaves, early season flowering. 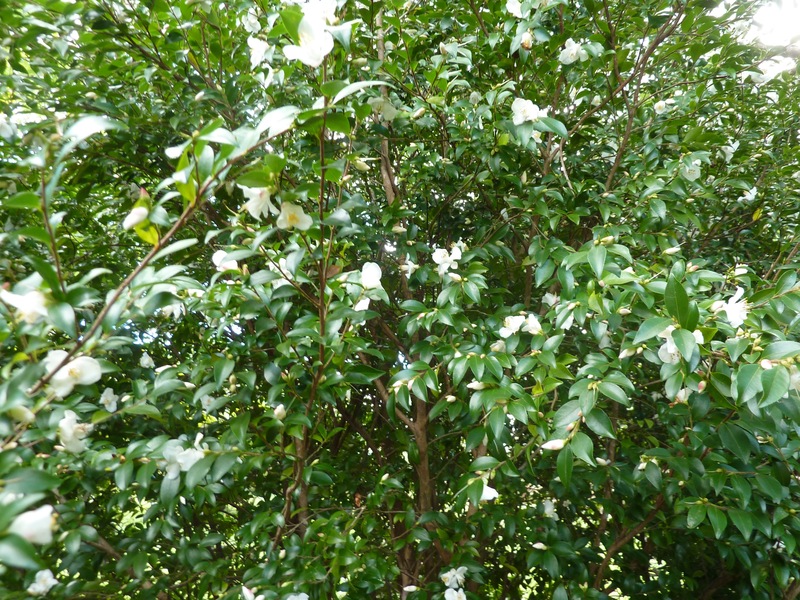 Prefer some shade, generally large glossy leaves. 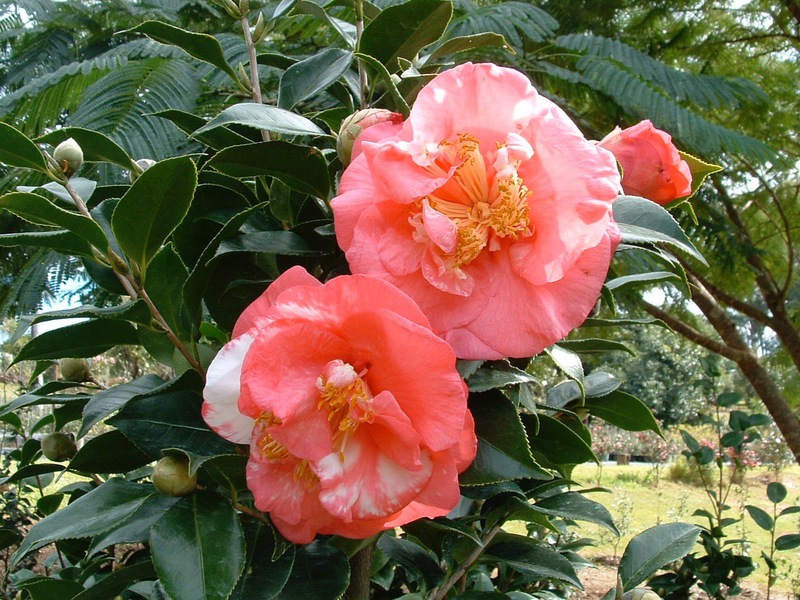 Shade and part sun, typically large flamboyant flowers. 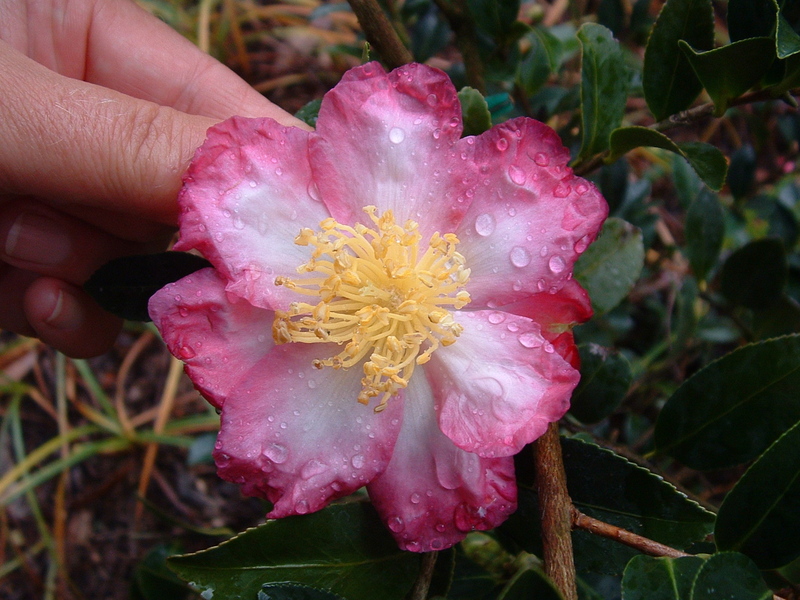 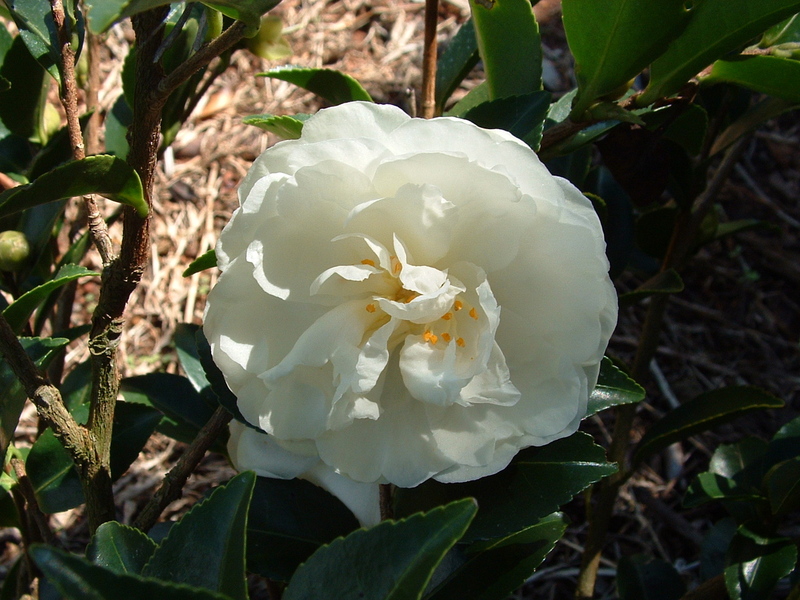 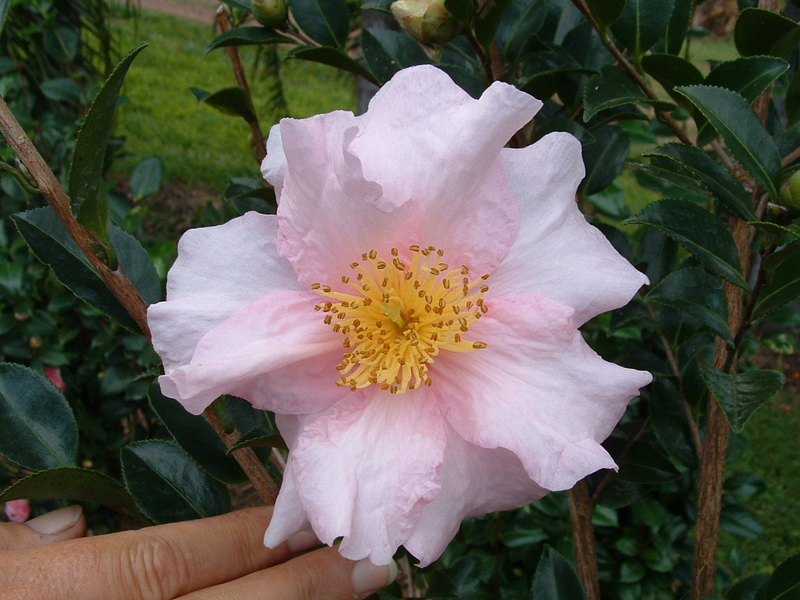 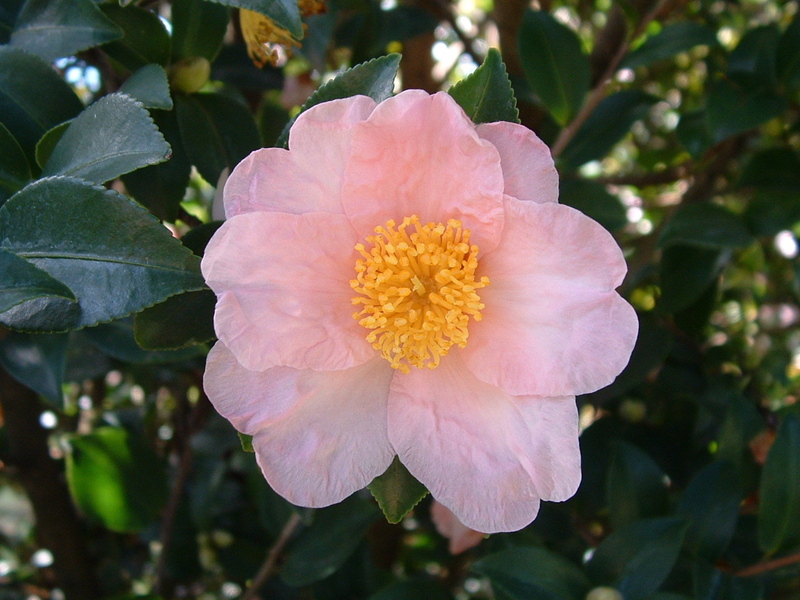 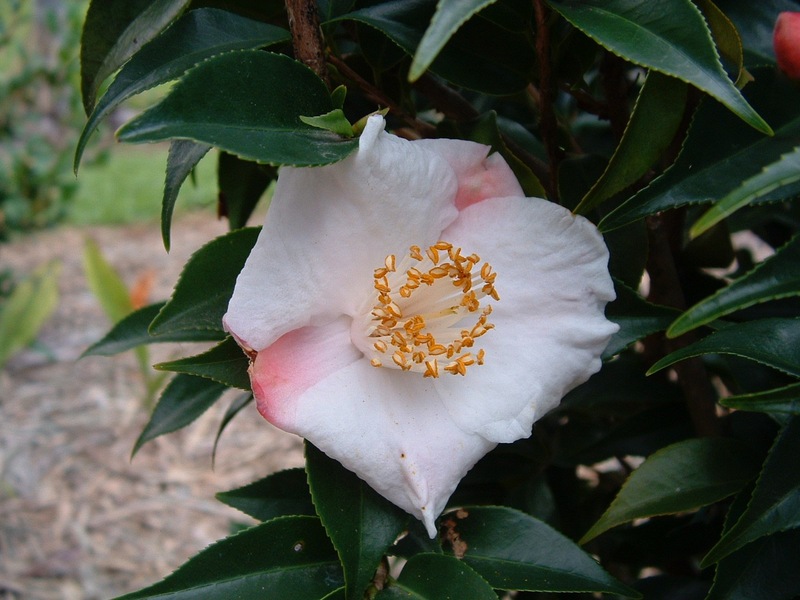 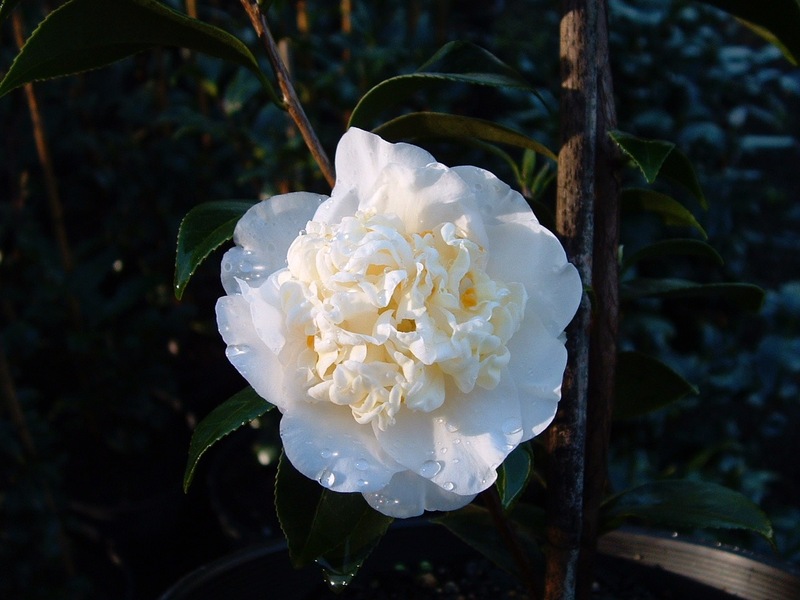 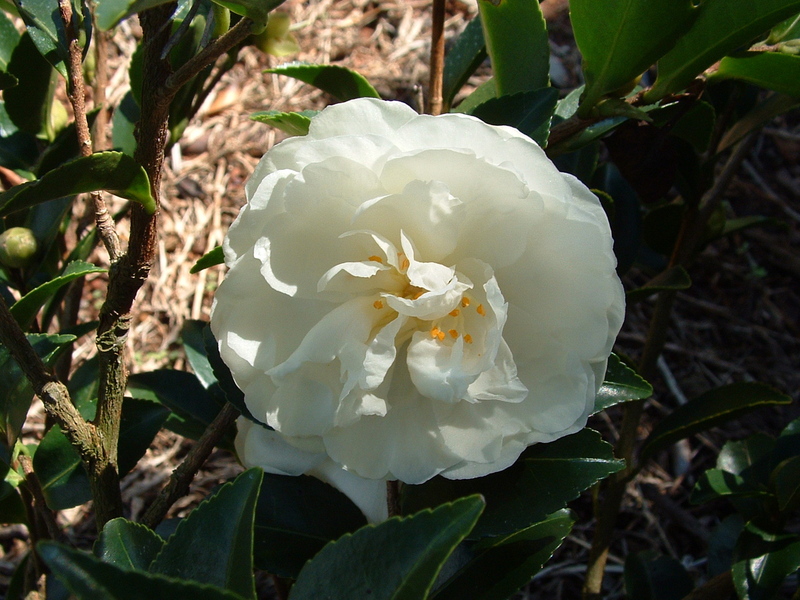 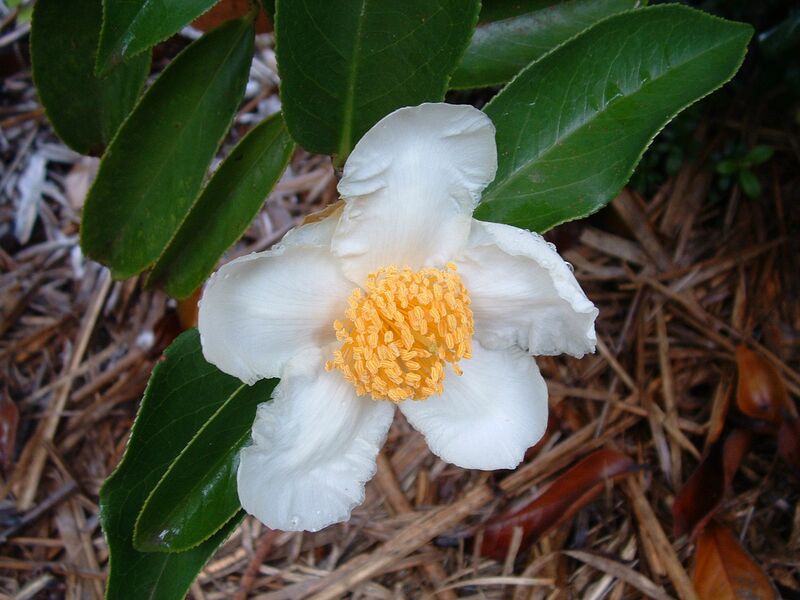 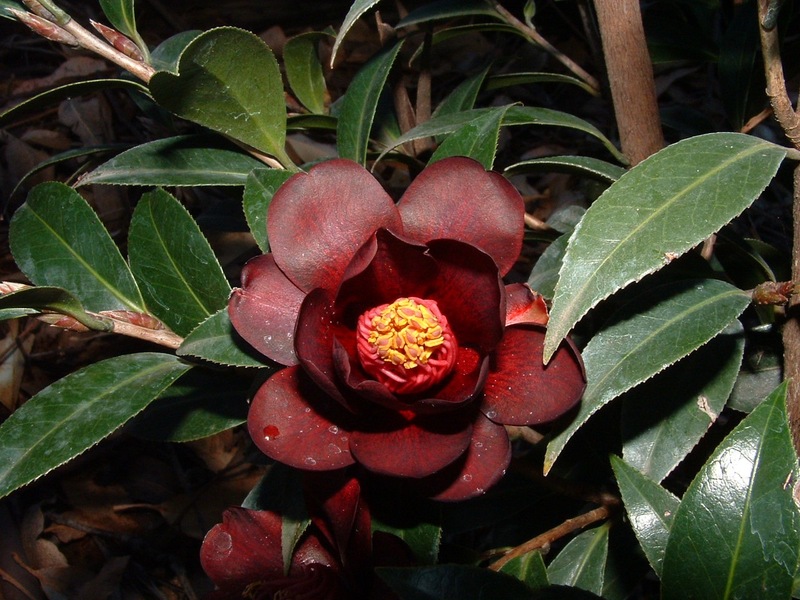 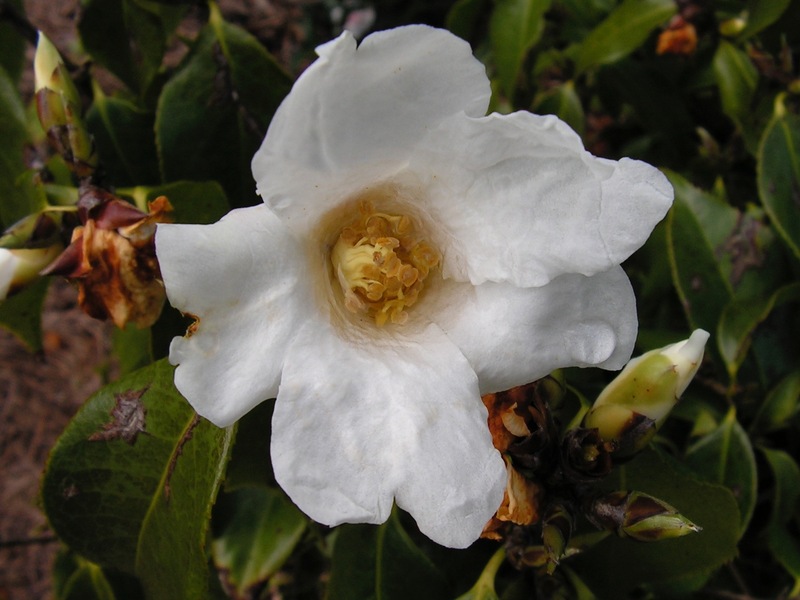 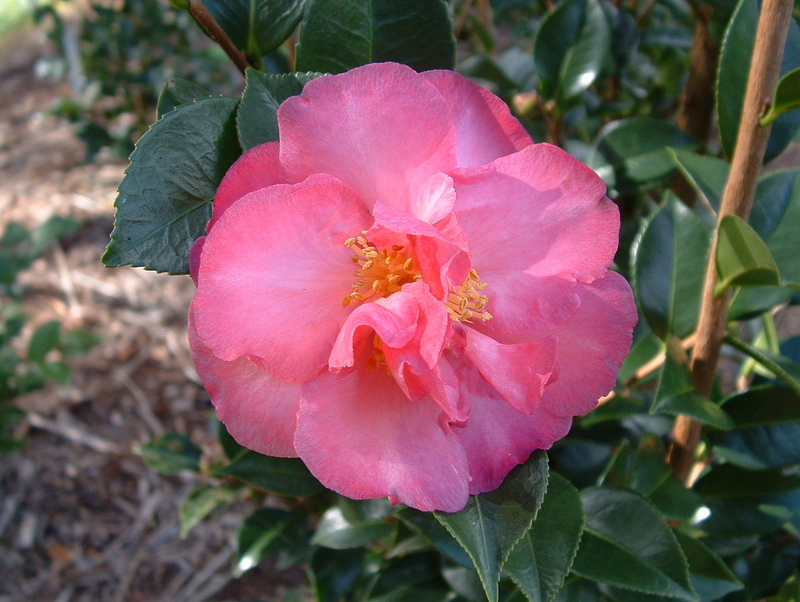 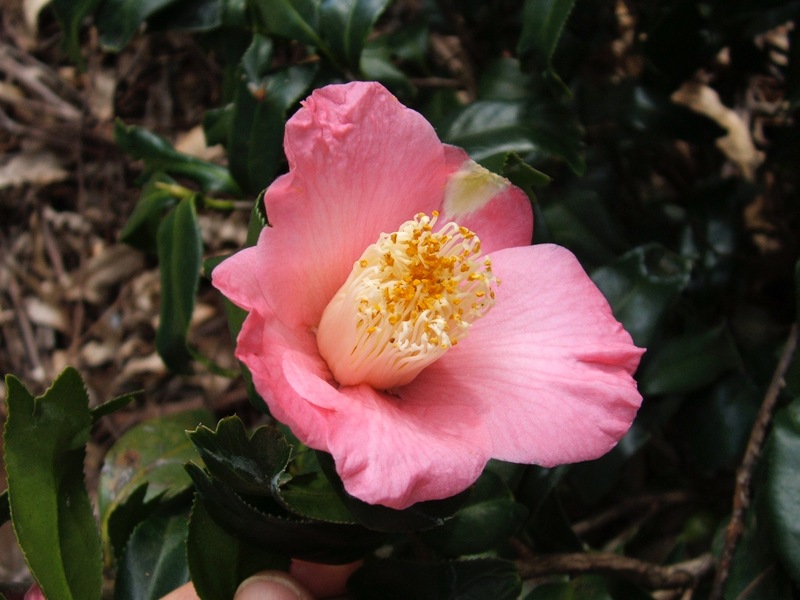 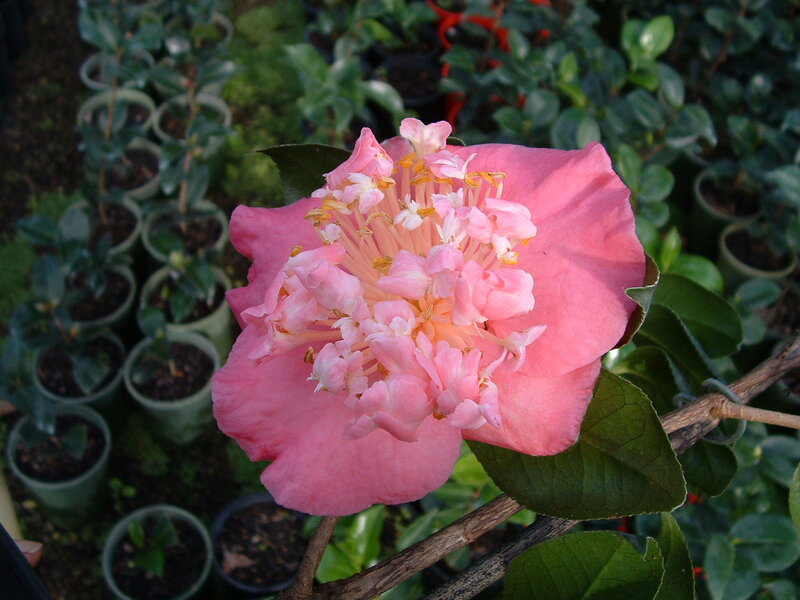 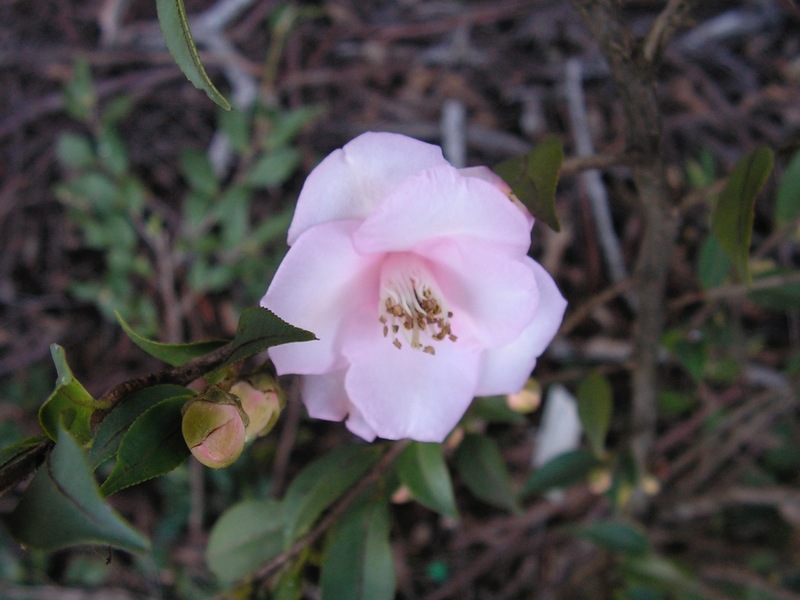 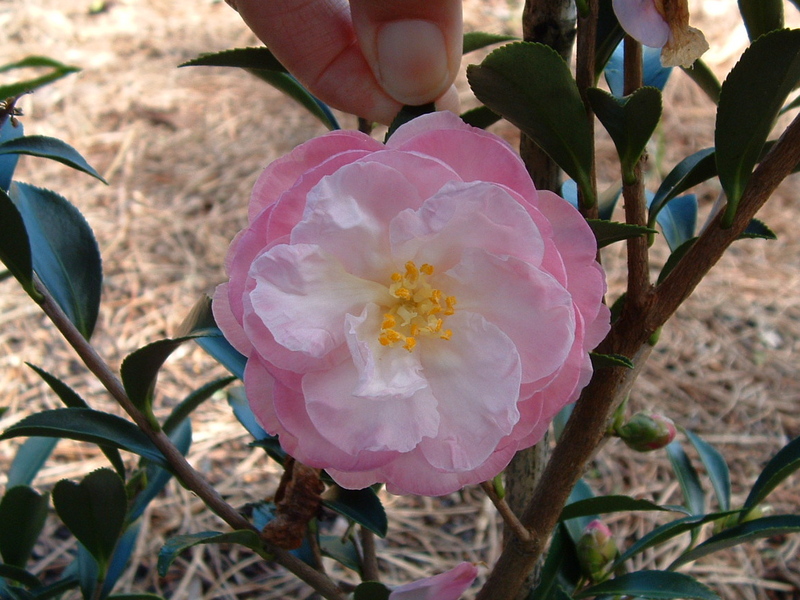 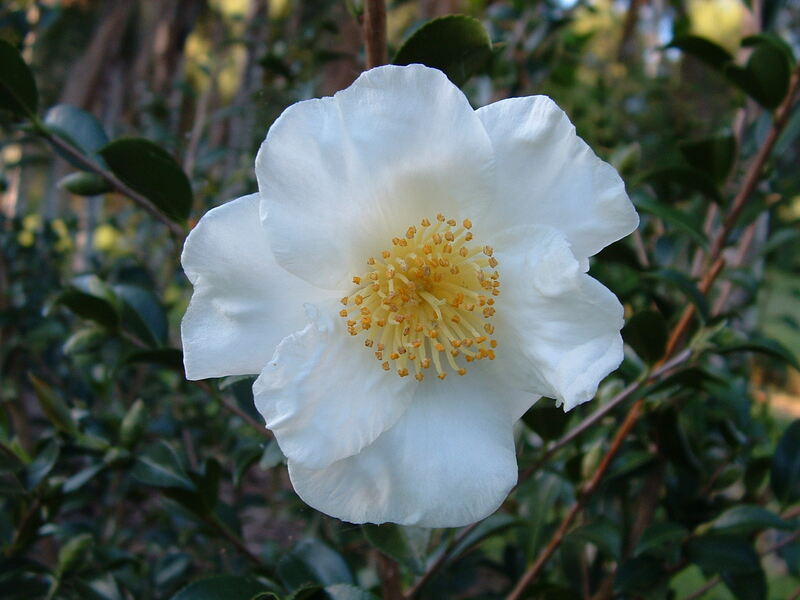 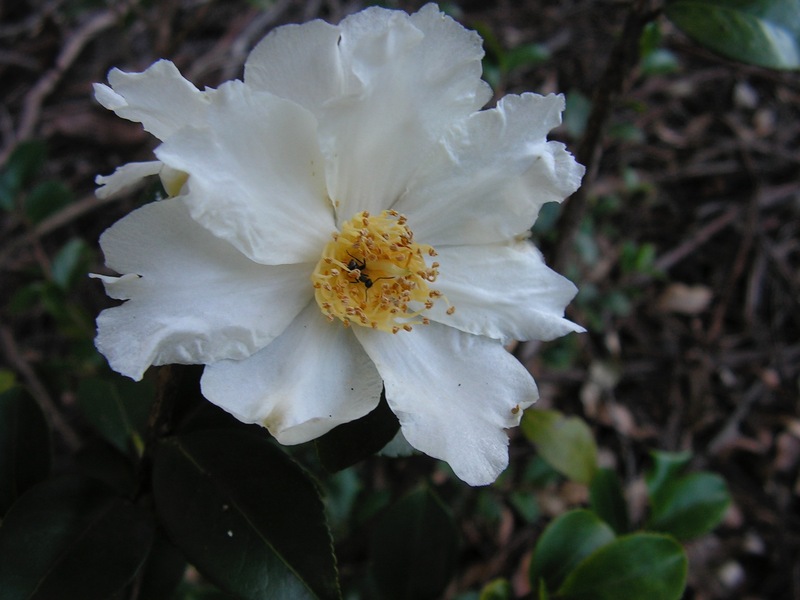 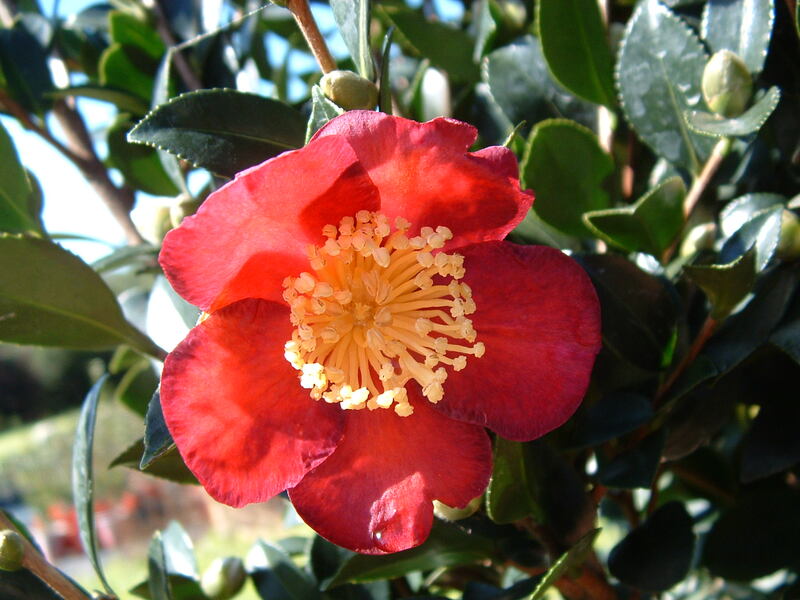 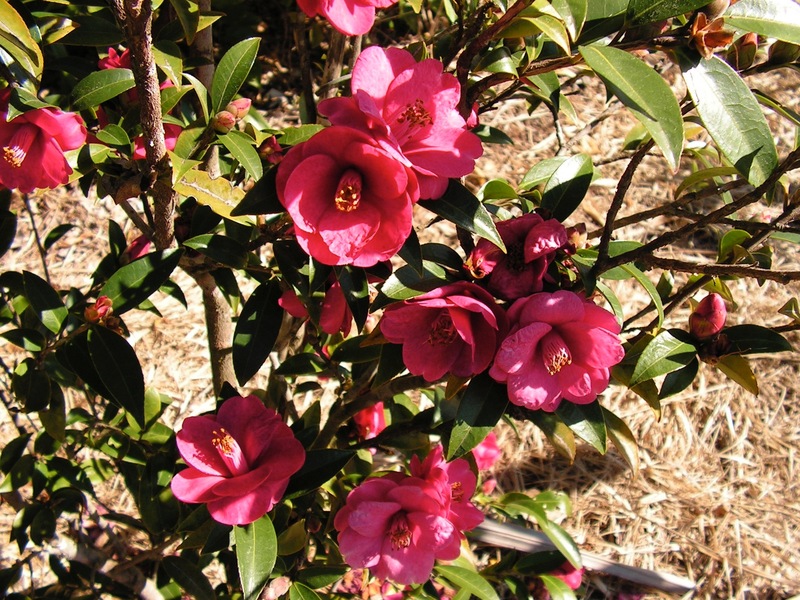 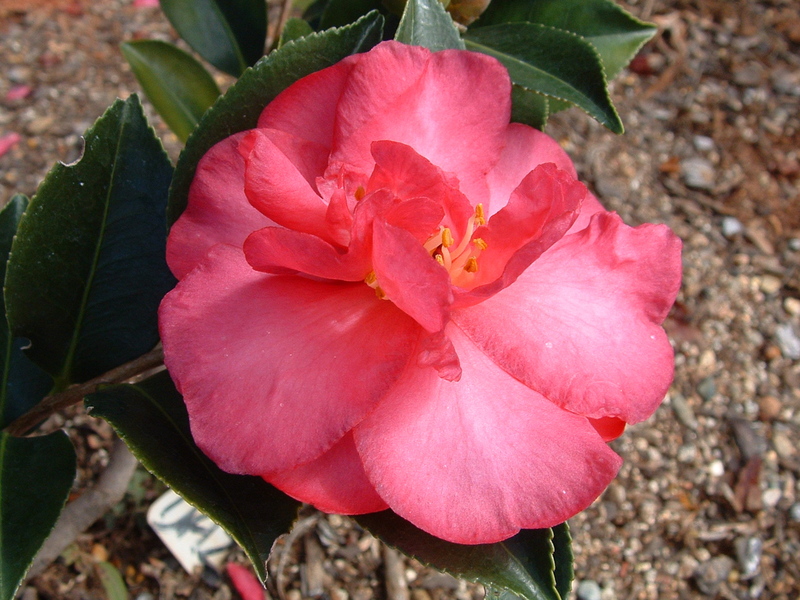 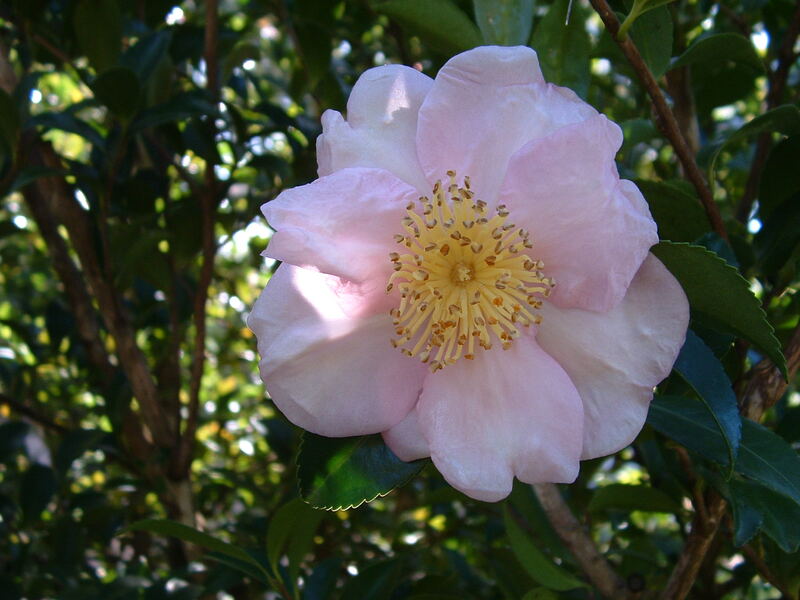 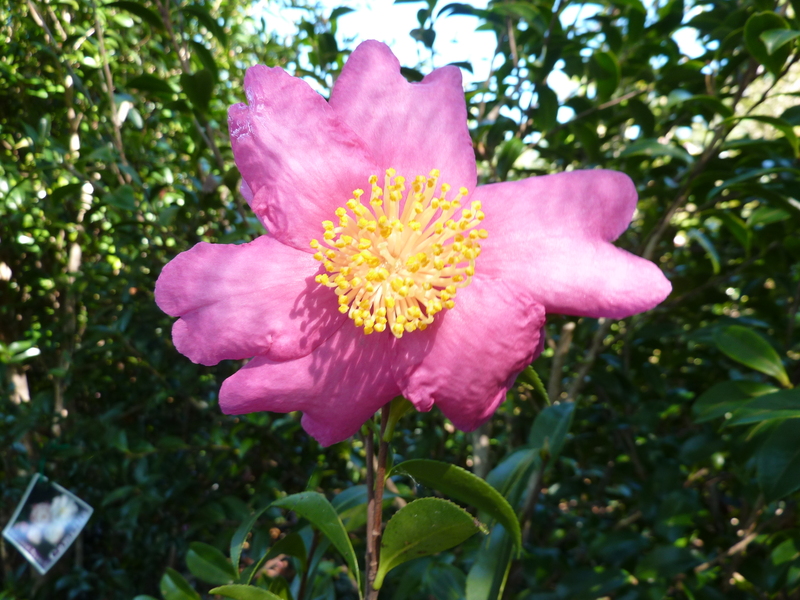 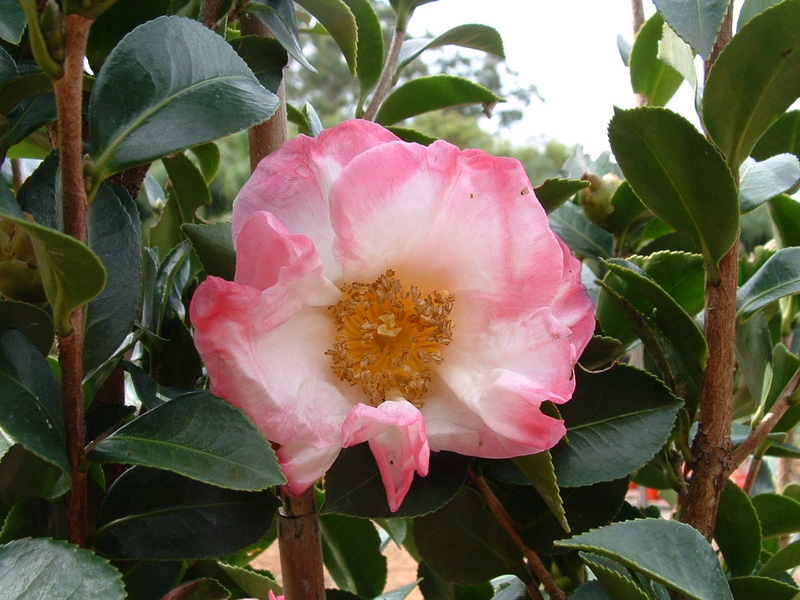 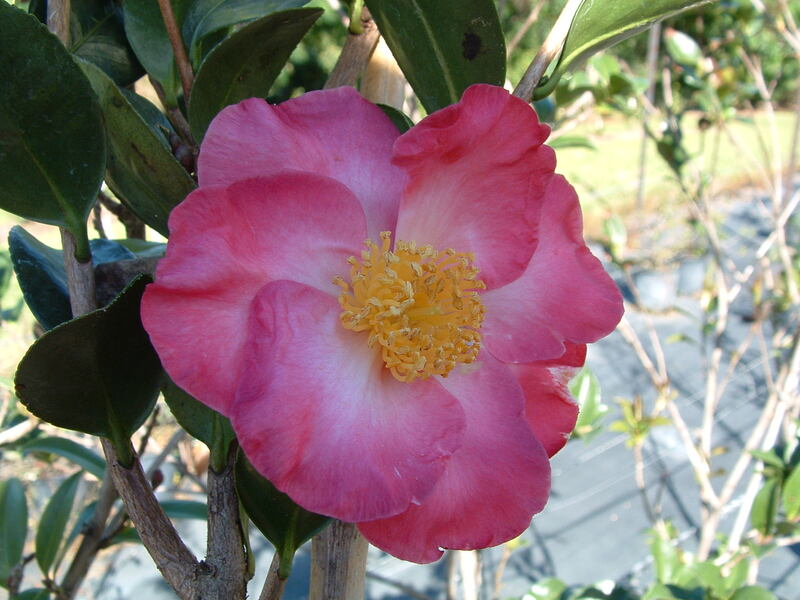 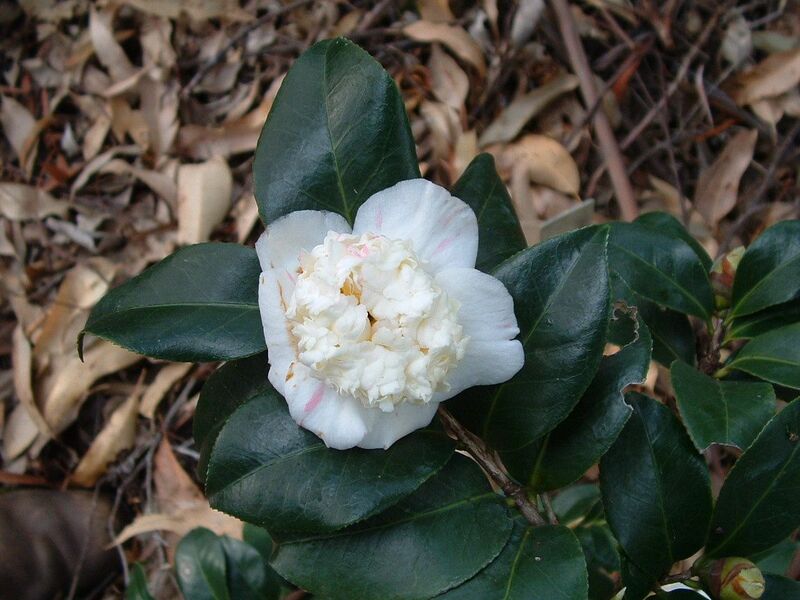 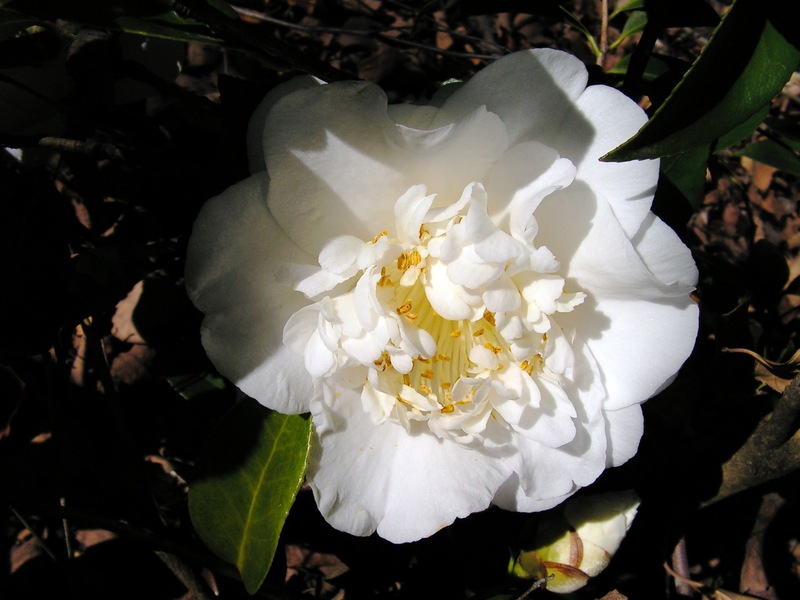 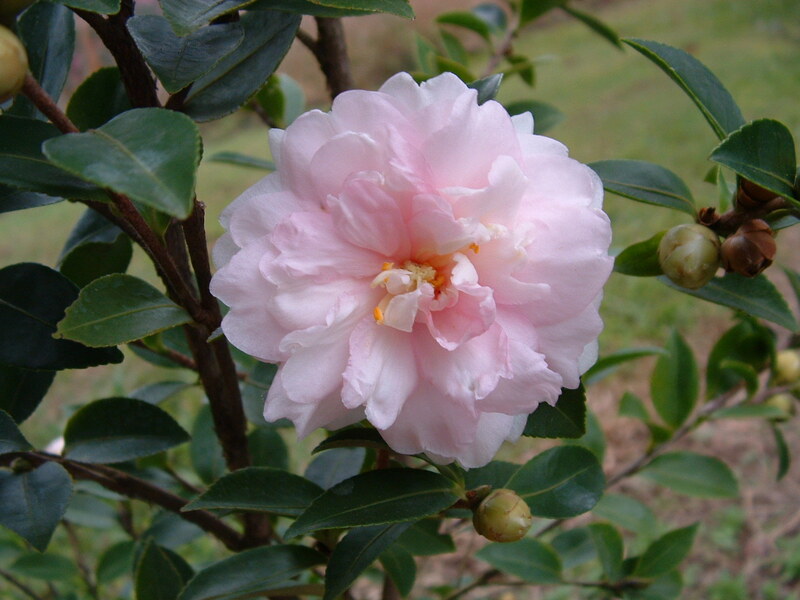 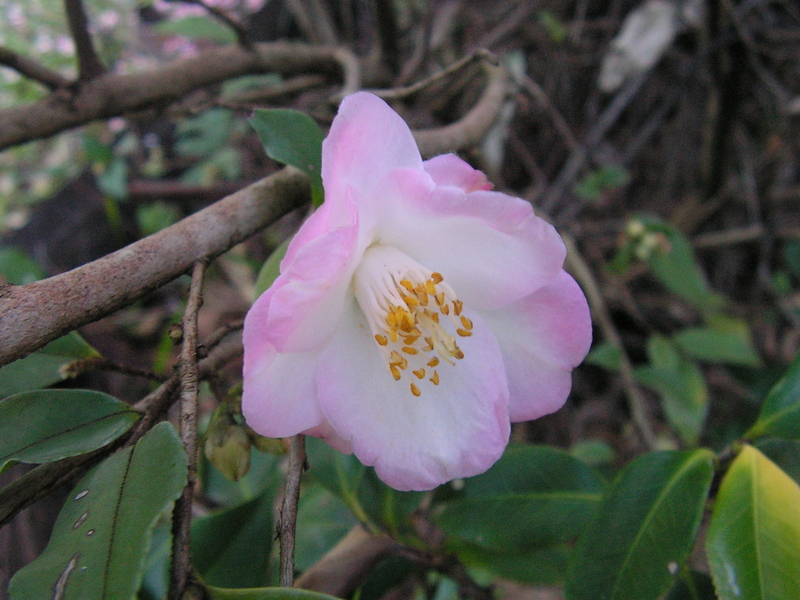 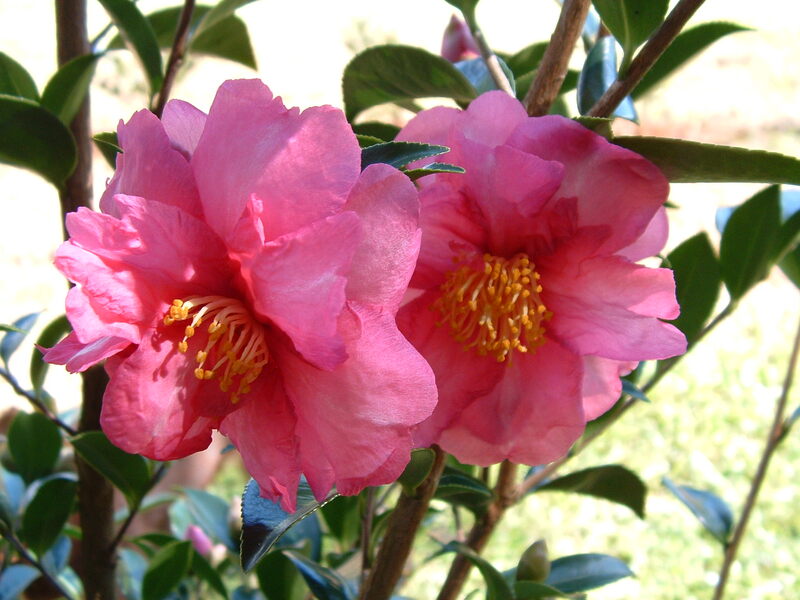 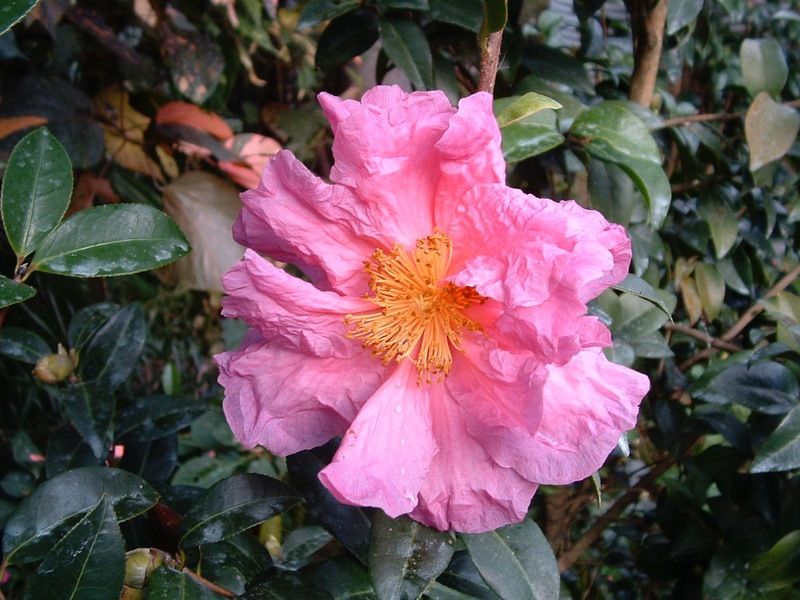 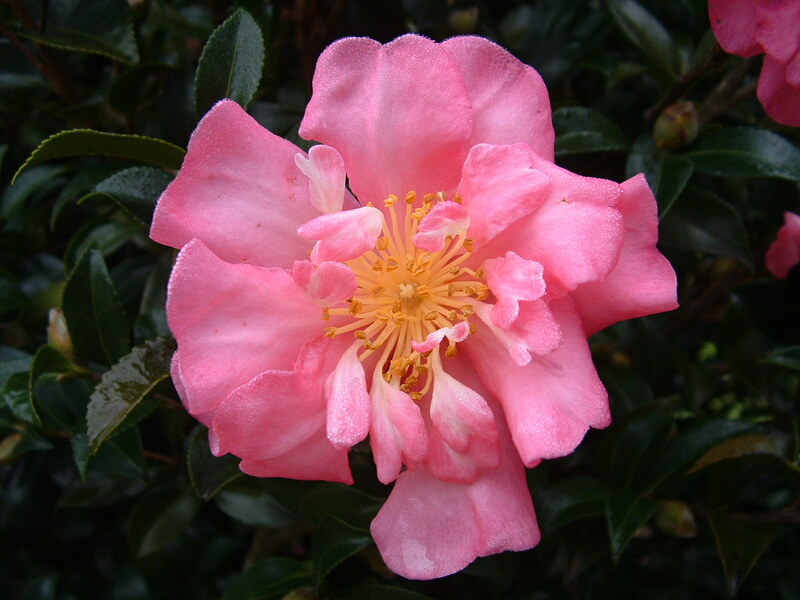 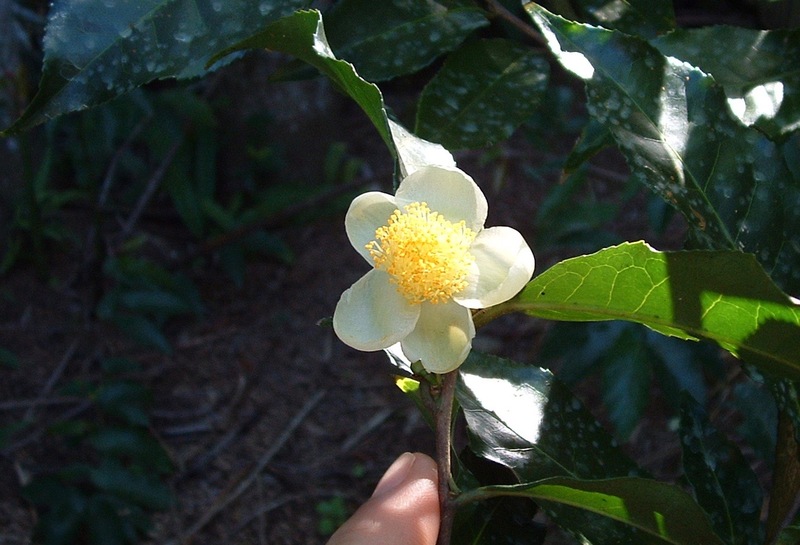 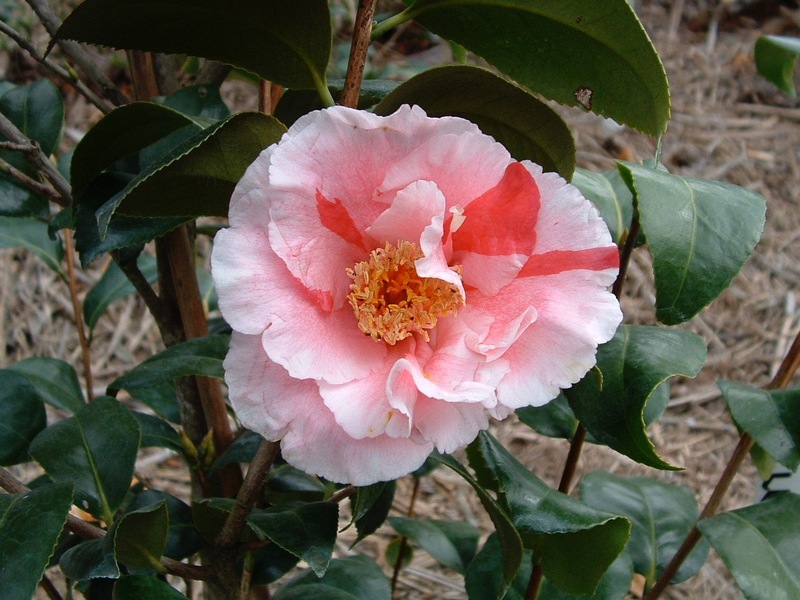 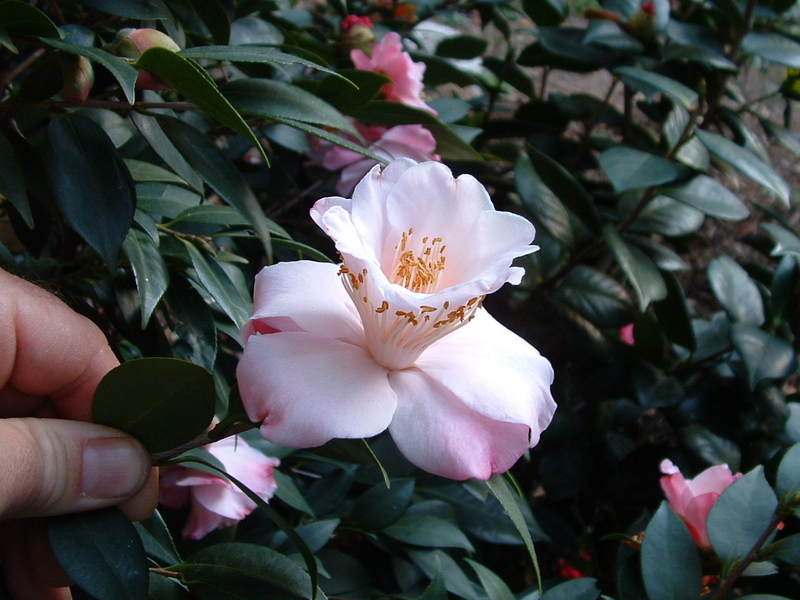 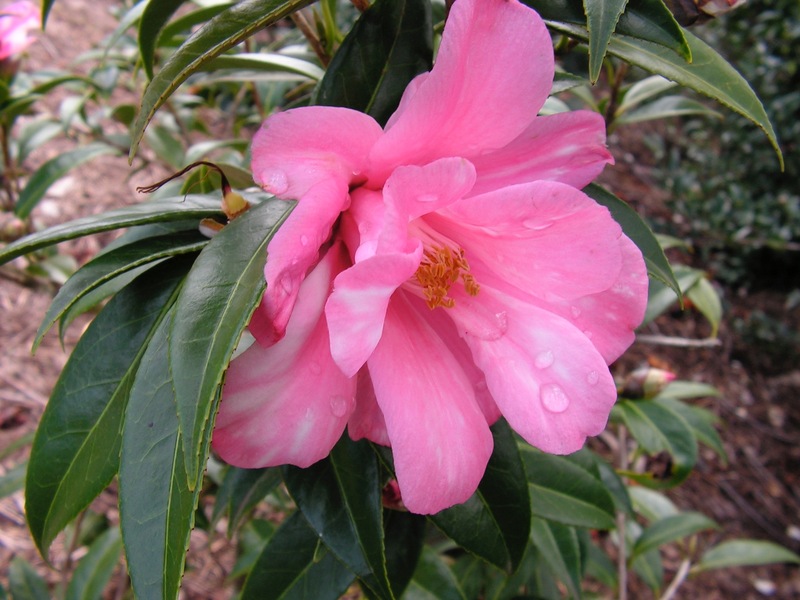 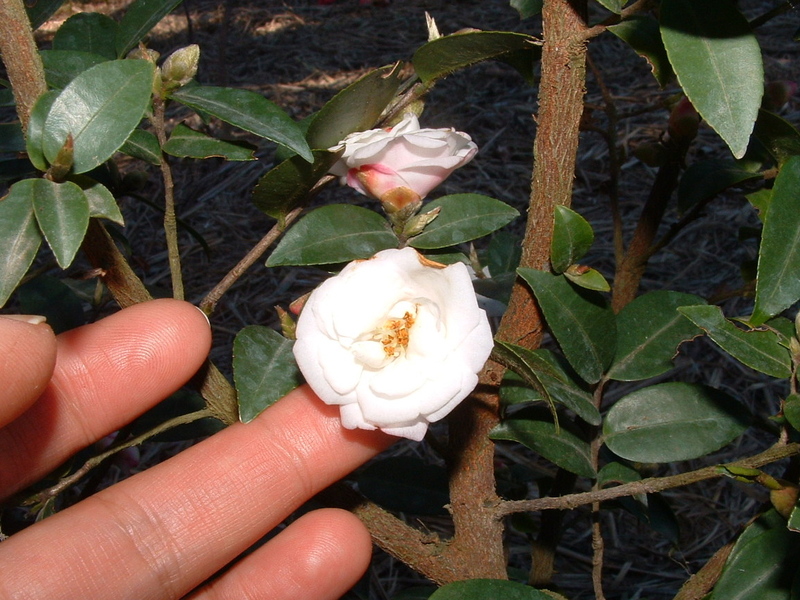 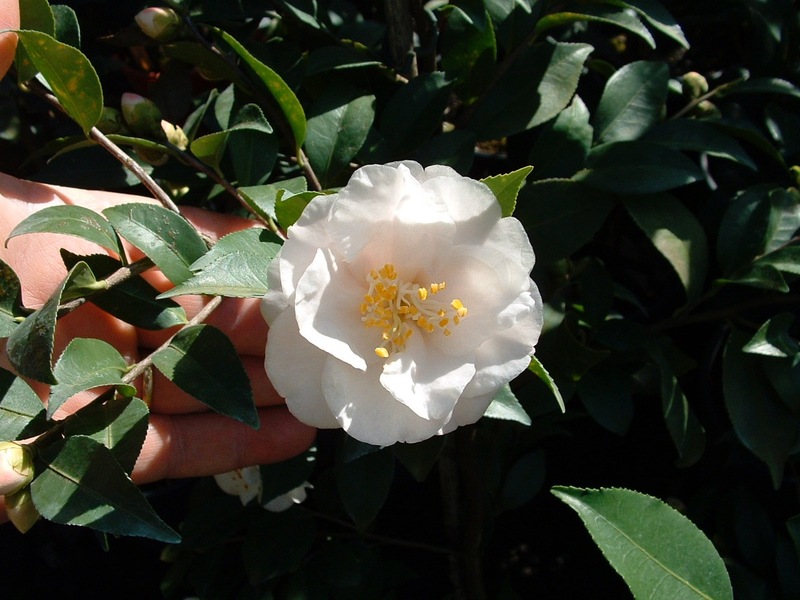 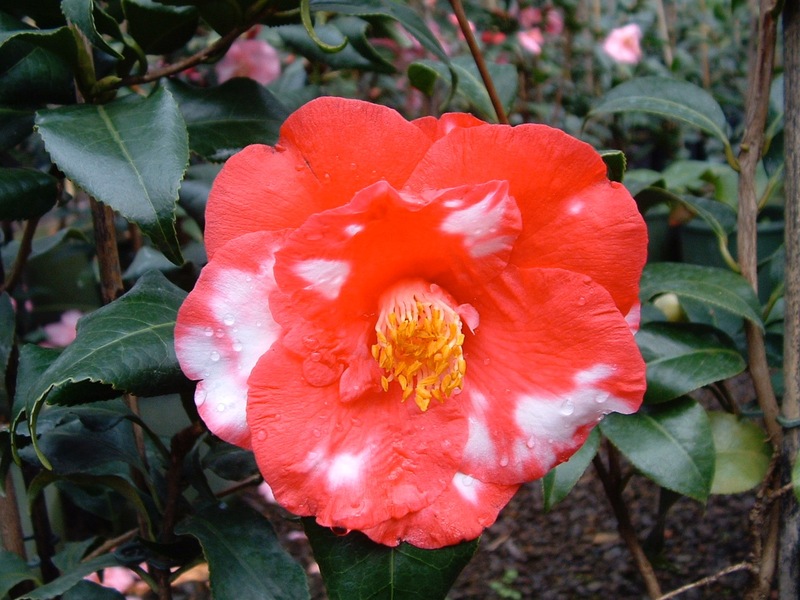 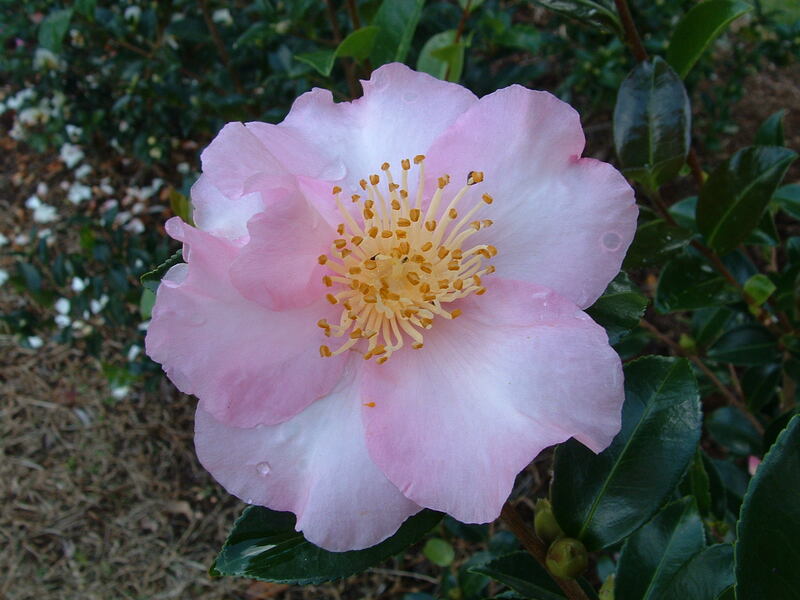 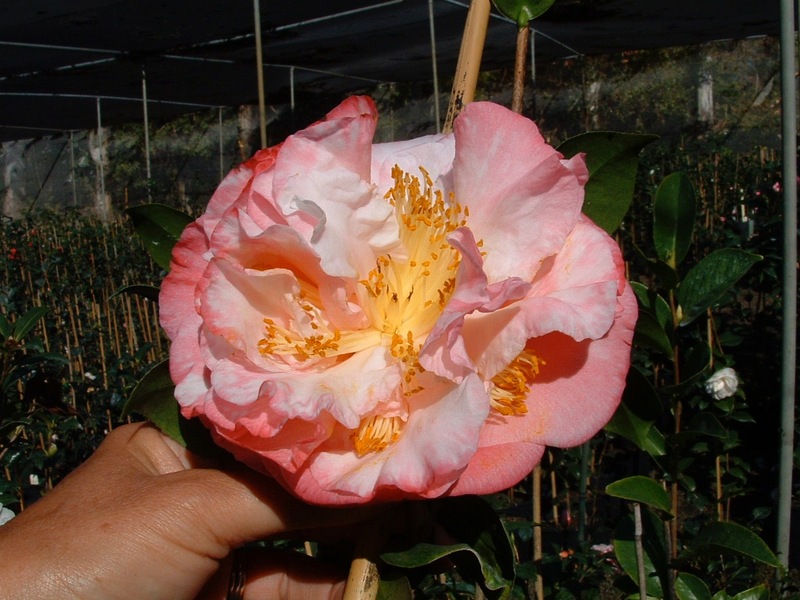 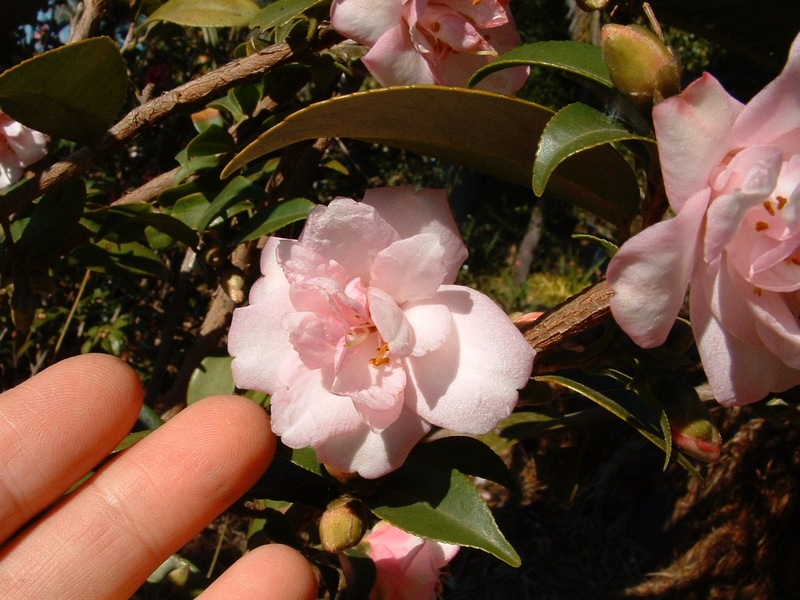 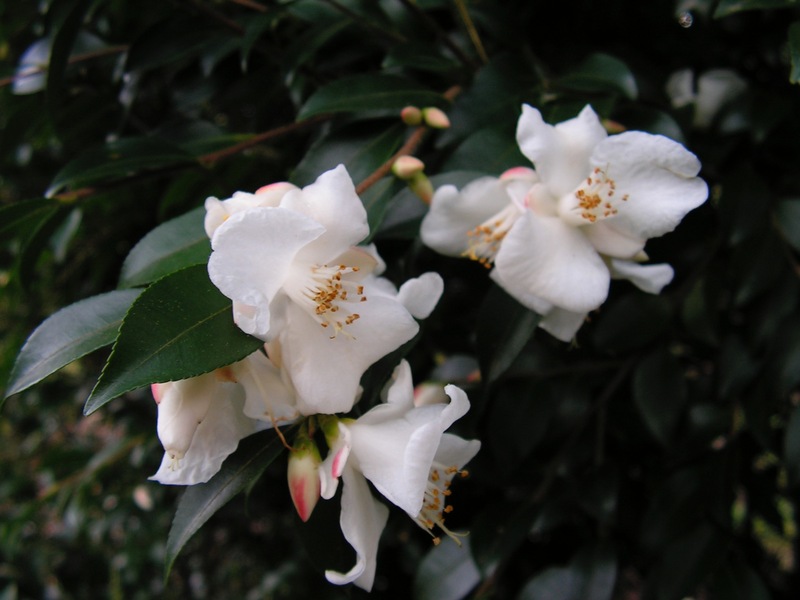 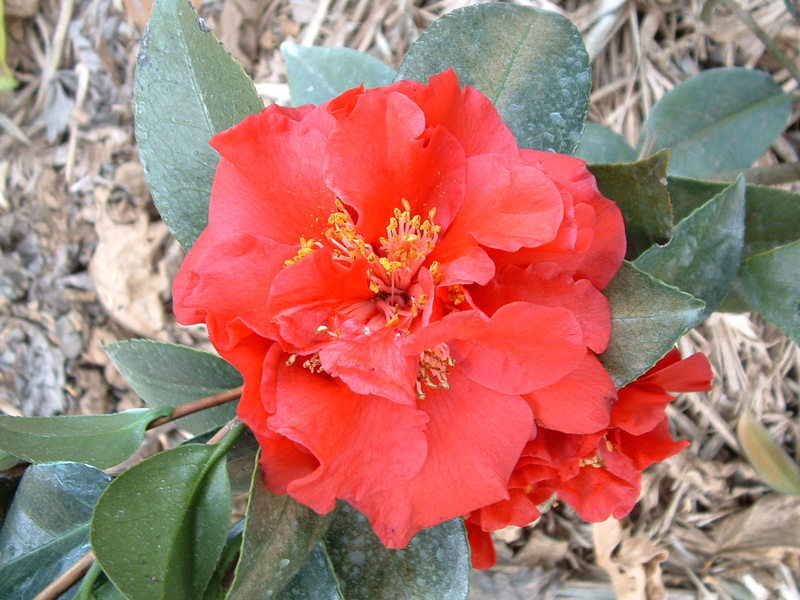 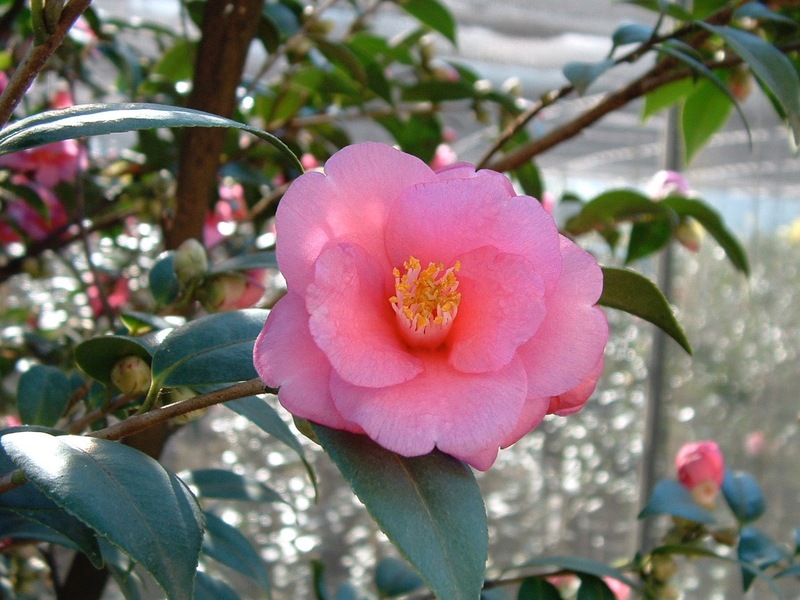 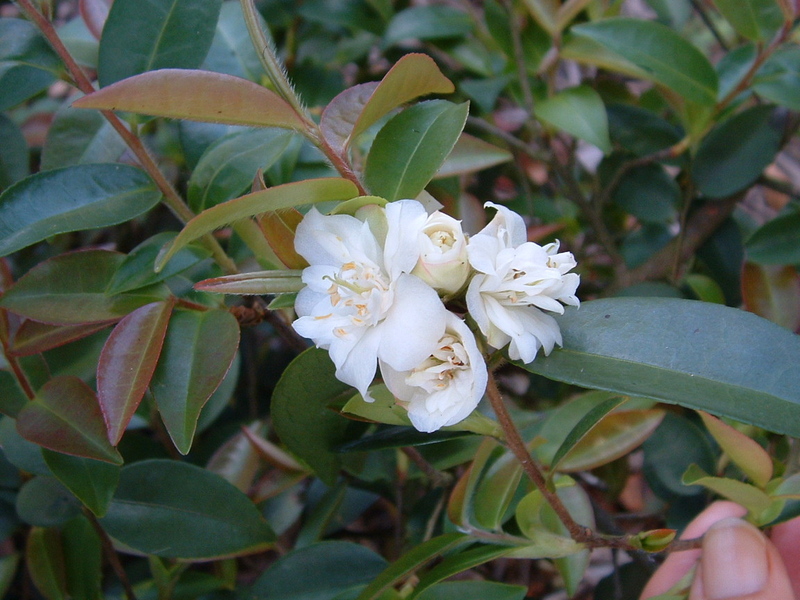 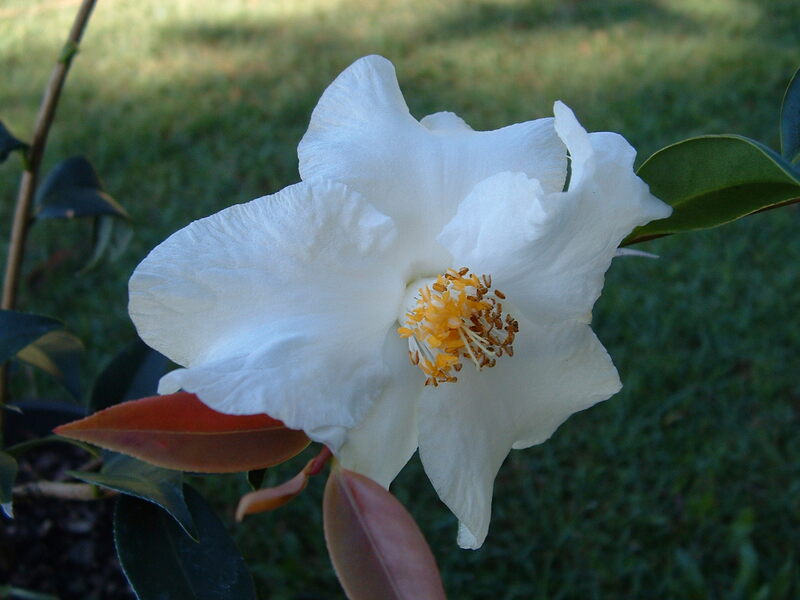 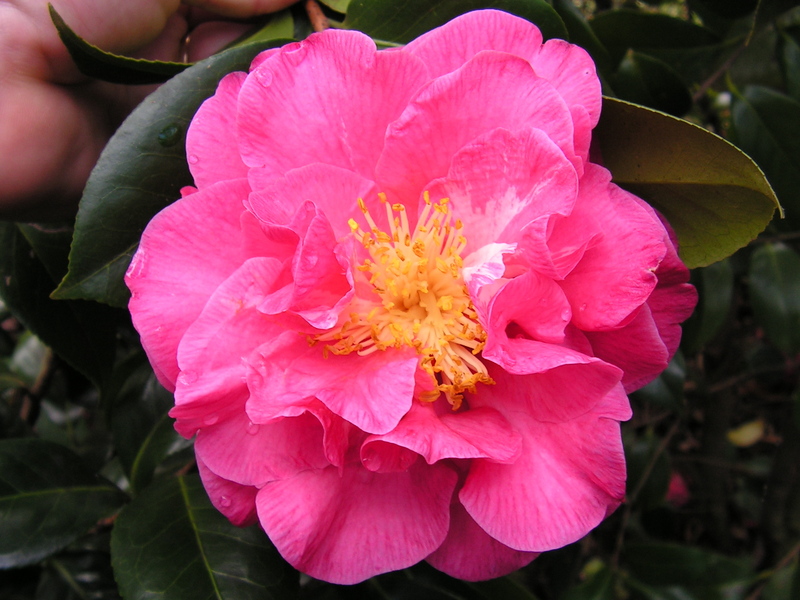 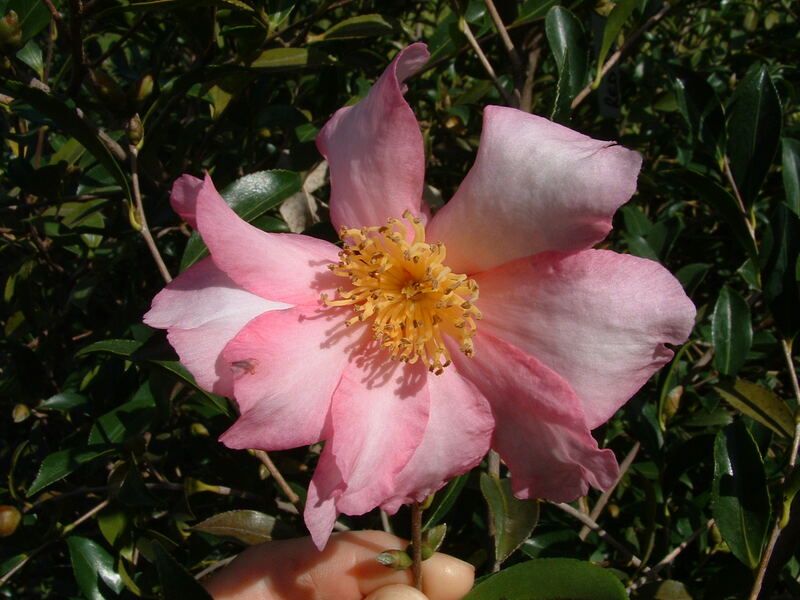 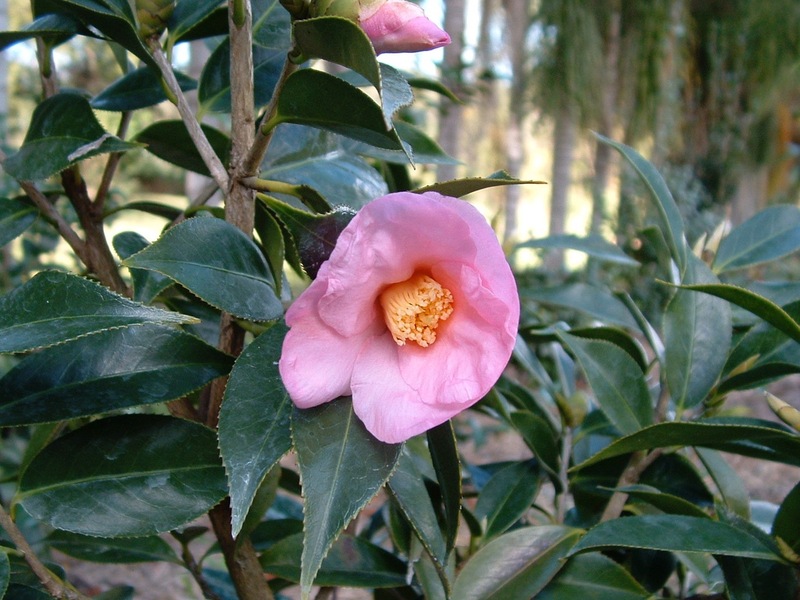 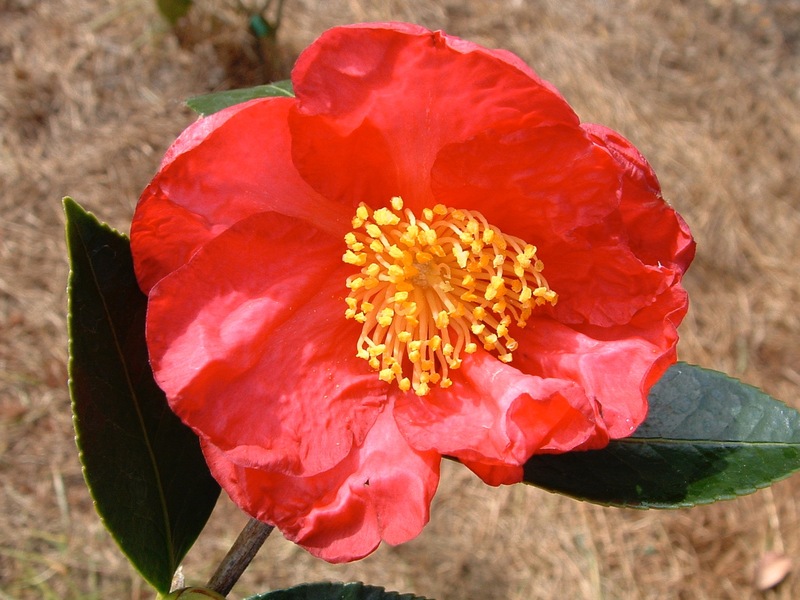 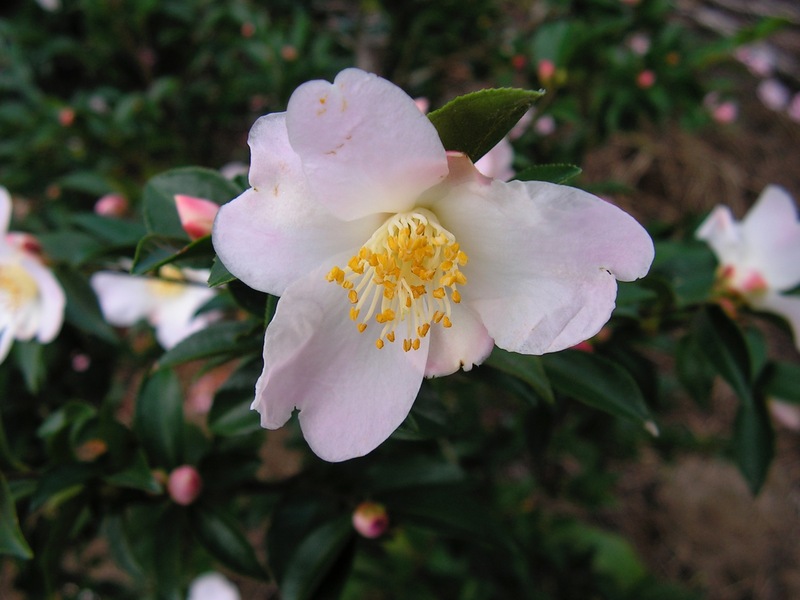 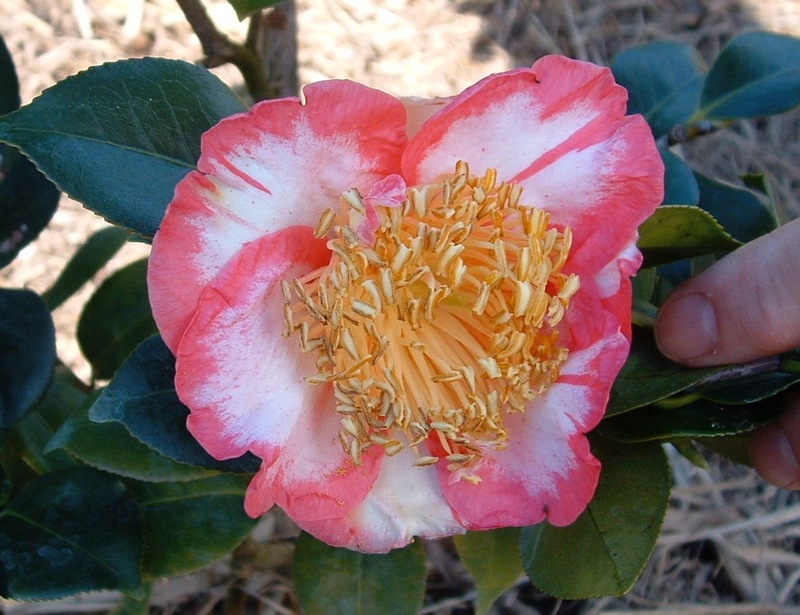 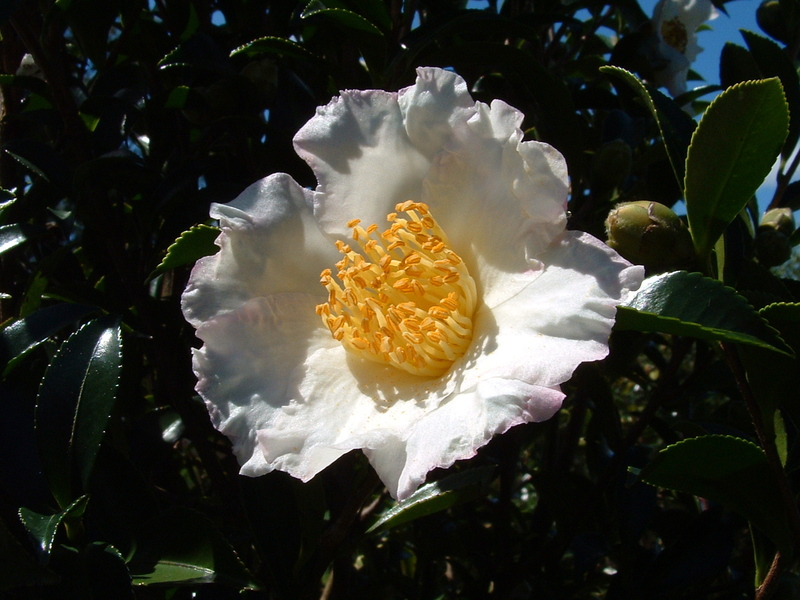 Includes sinensis, the tea camellia. 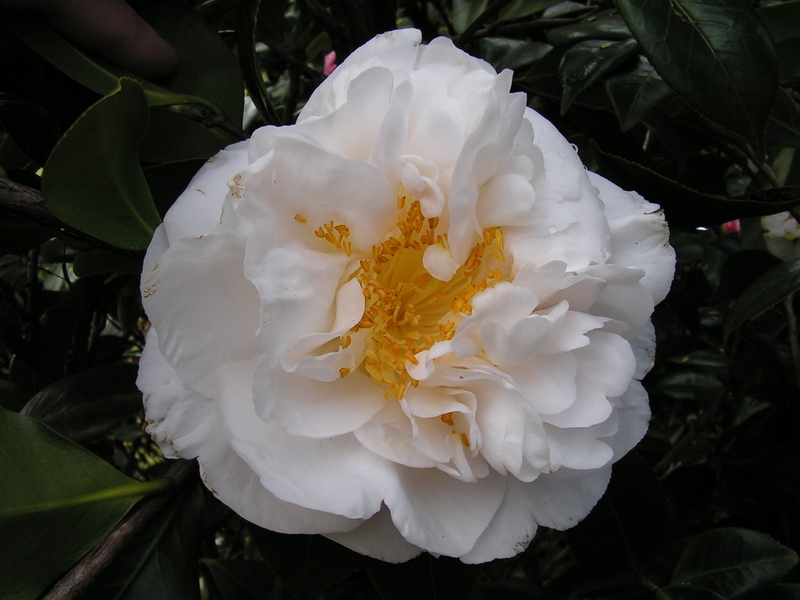 Every endeavour is made to keep our list up to date. 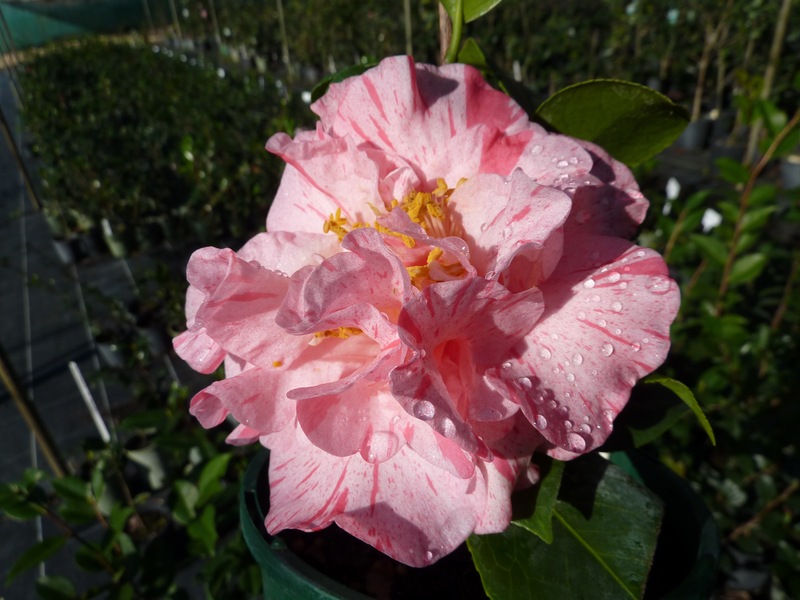 However some varieties may be unavailable at the time of order either because we have sold out and/or we do not consider that the plants are sale ready. 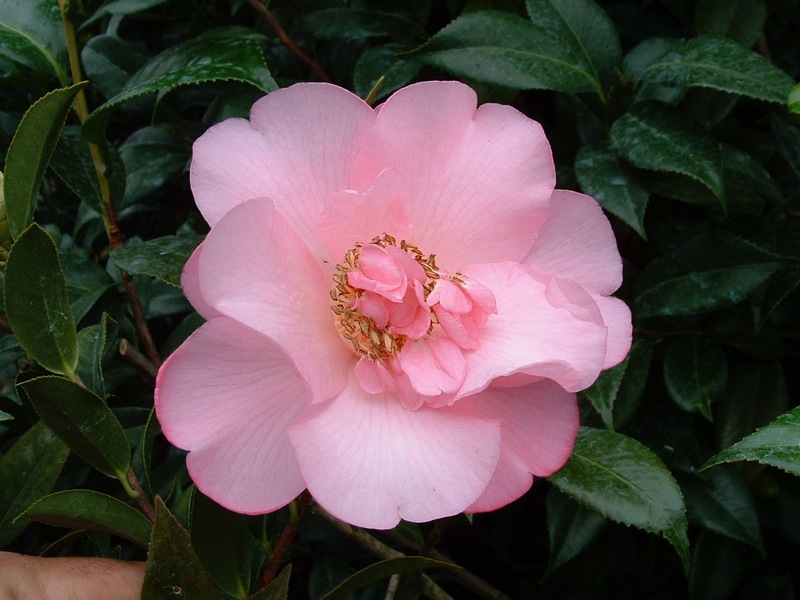 Please contact us by phone or email for price and delivery costs. 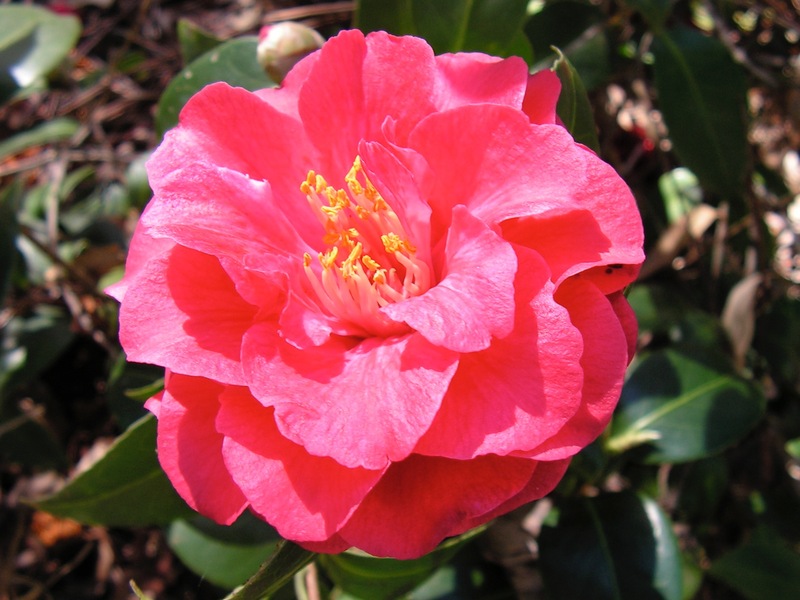 We are open to the public most weekends or by appointment for special cases – please phone, fax or email to arrange an appointment. 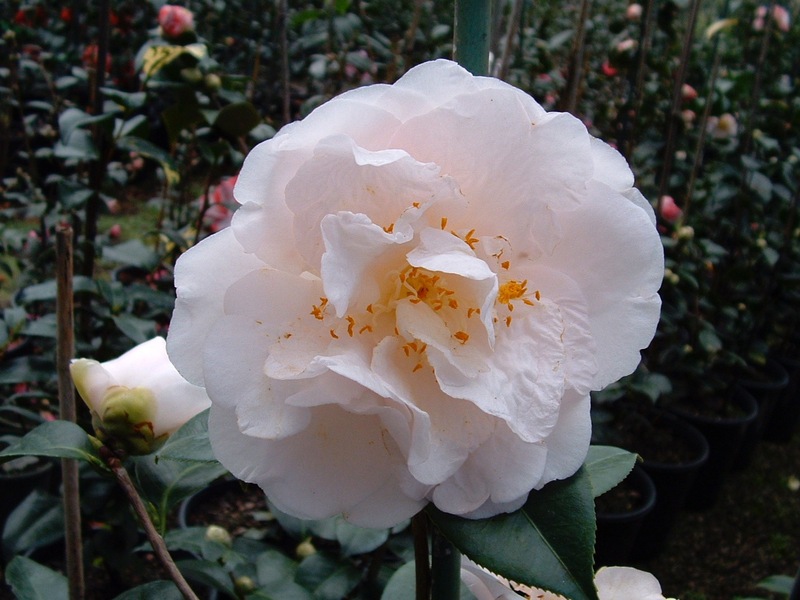 Every endeavour is made to keep our list up to date. 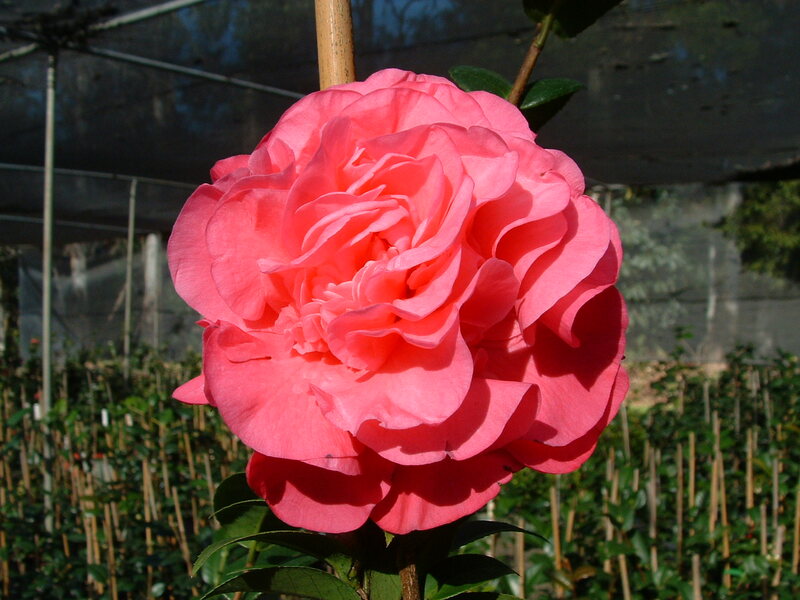 Not all varieties are available for sale every year and some may not be available because we do not consider that the plants are sale ready. 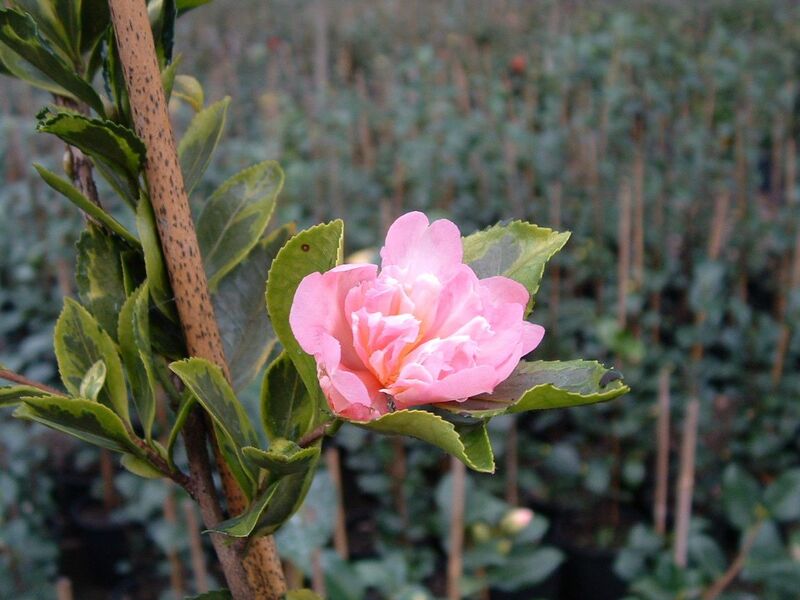 For information regarding availability, please email us. 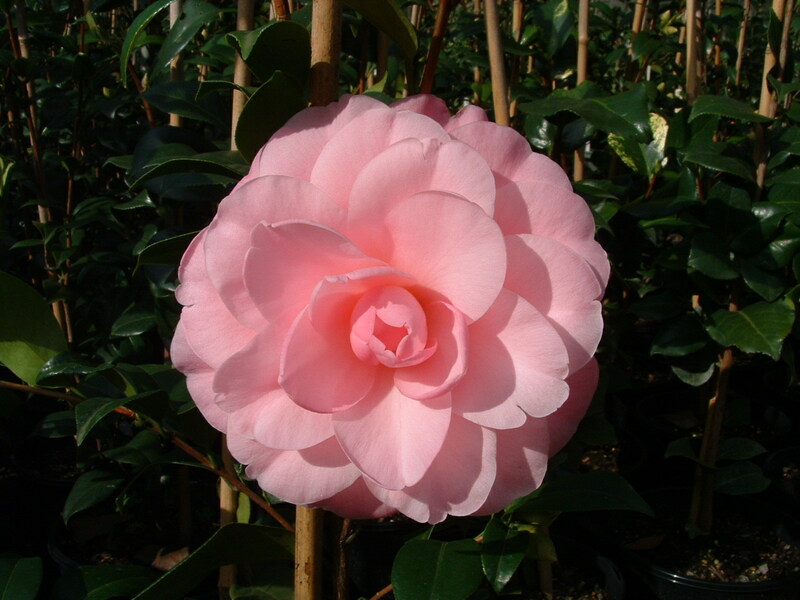 Please contact us by phone or email for price and delivery costs. 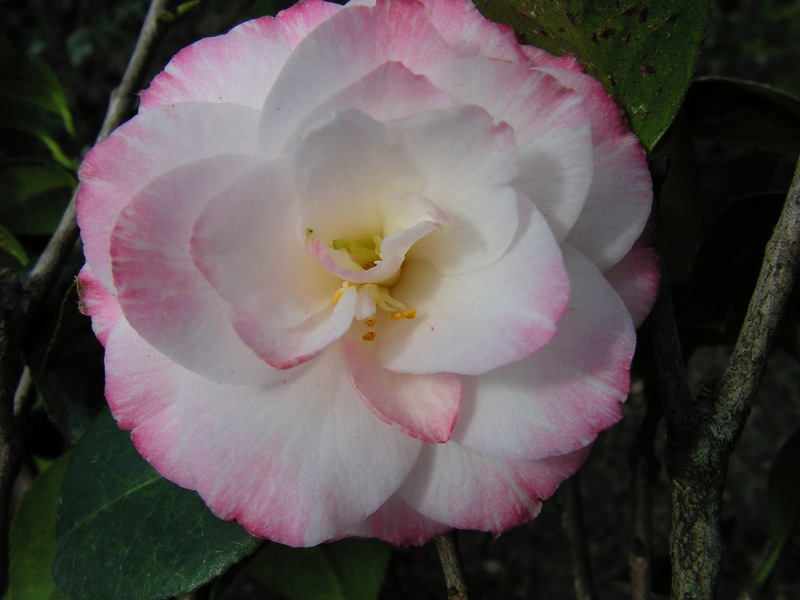 We are open on advertised open days and by appointment only – please phone or email to arrange an appointment.